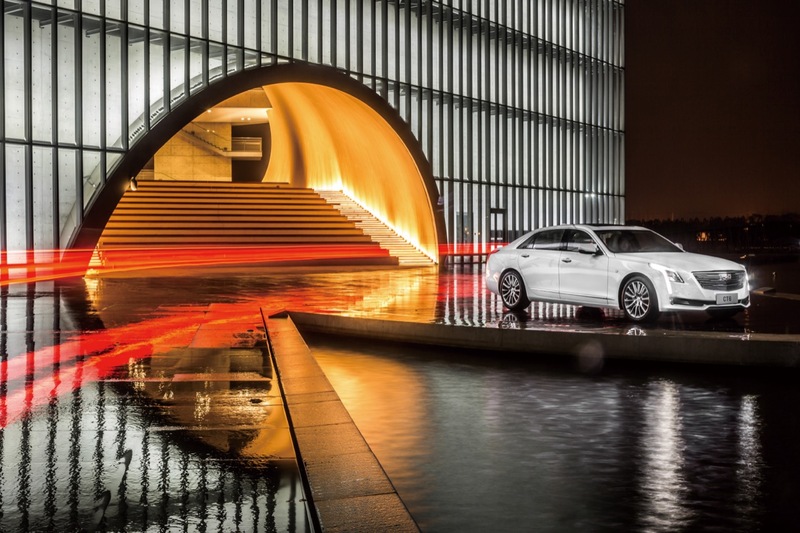 What’s most intriguing is how the engineering team approached the design intent of the car. 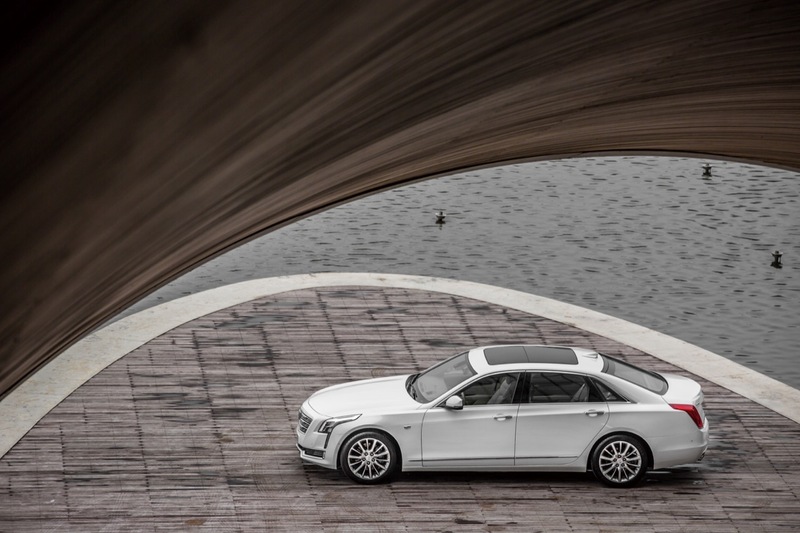 On paper, the car is aimed squarely at the full-size German sedans. 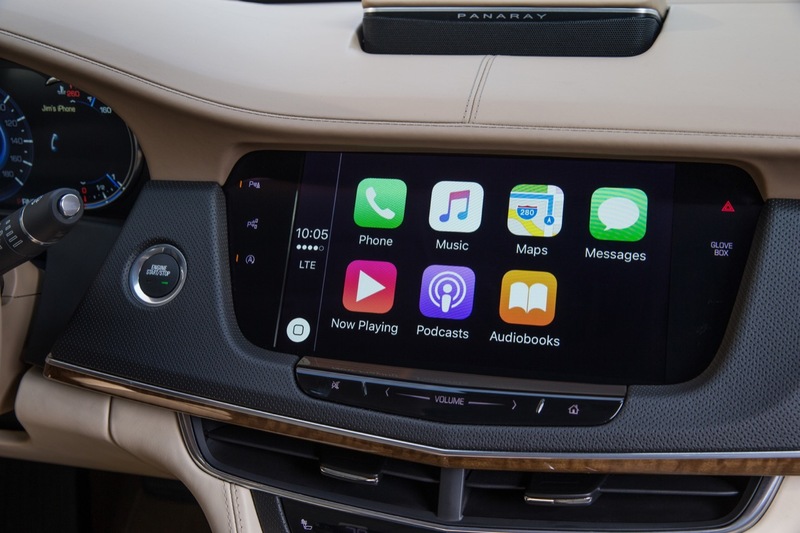 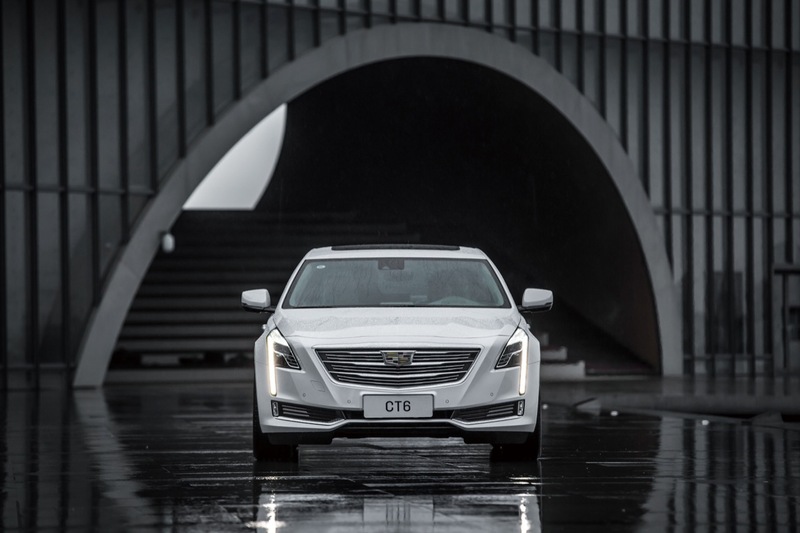 But, in reality, Hester reveals the team benchmarked smaller cars like the Mercedes E-Class and Audi A6, while considering the driving characteristics of the brand’s own CTS. 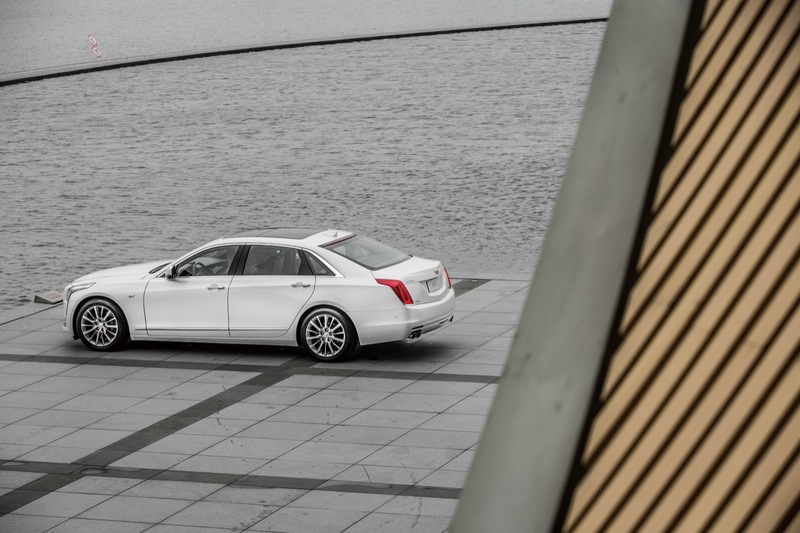 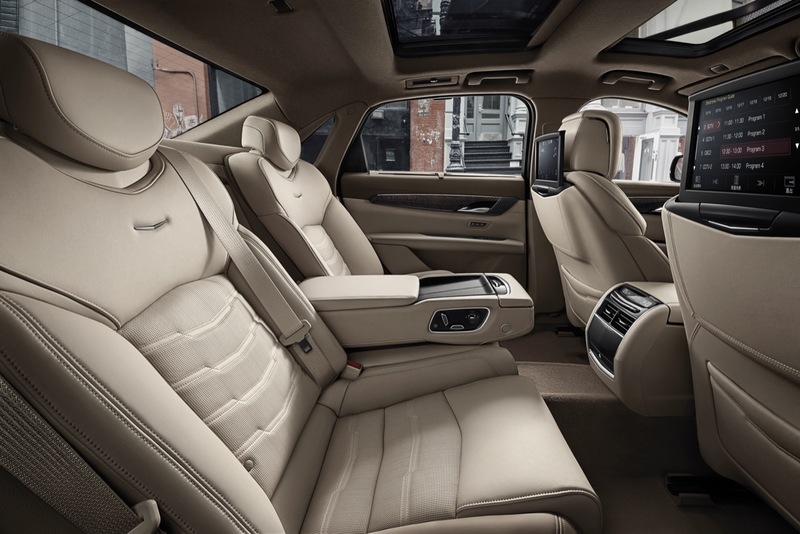 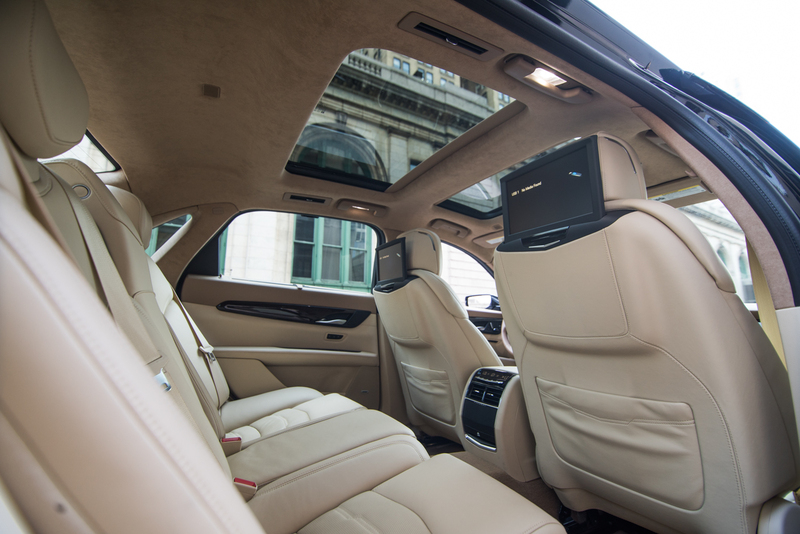 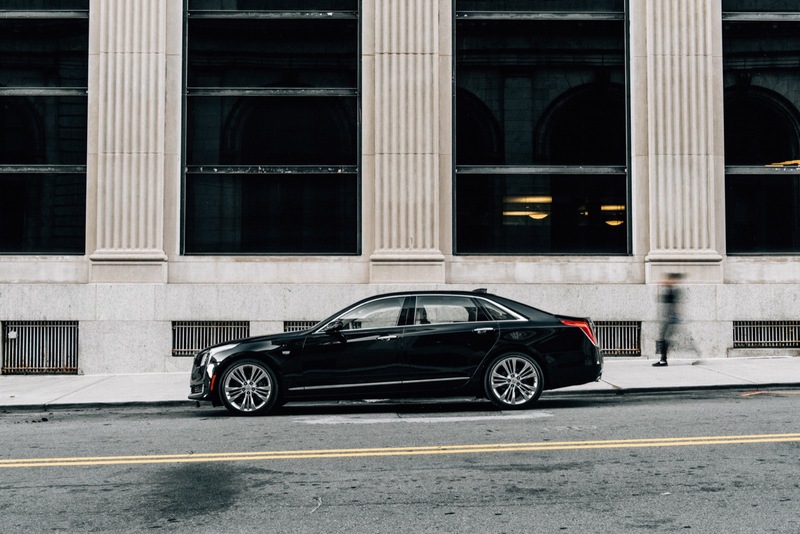 The idea behind this was to provide the large, luxurious feel of a full-size sedan, but to offer responsive and nimble driving dynamics. 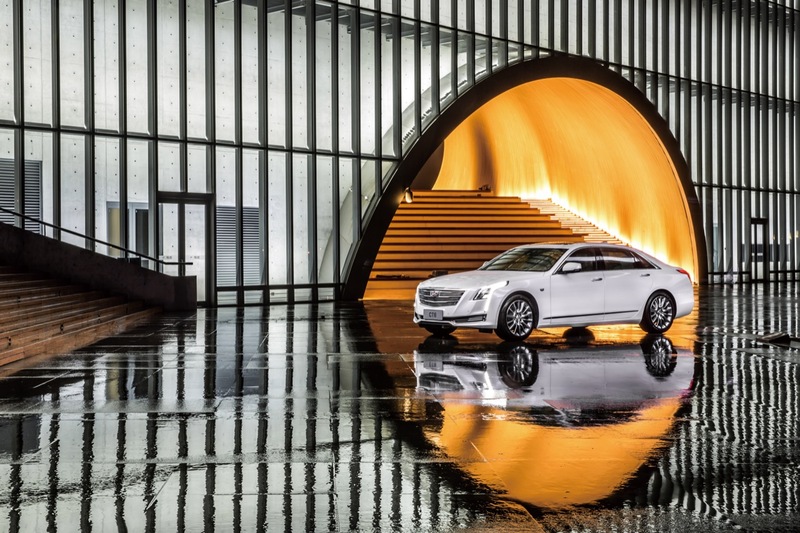 Cadillac engineers weren’t dreaming, though. 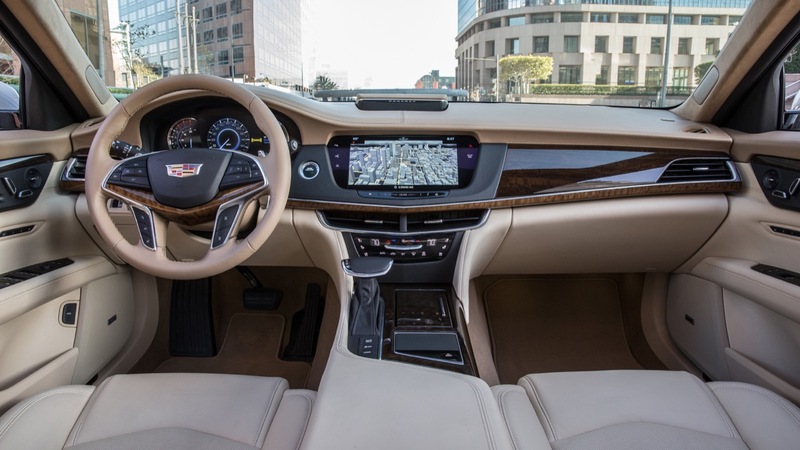 Rather than make do with the current GM parts bin, the new Omega platform emerges as a cutting-edge recipe of engineering. 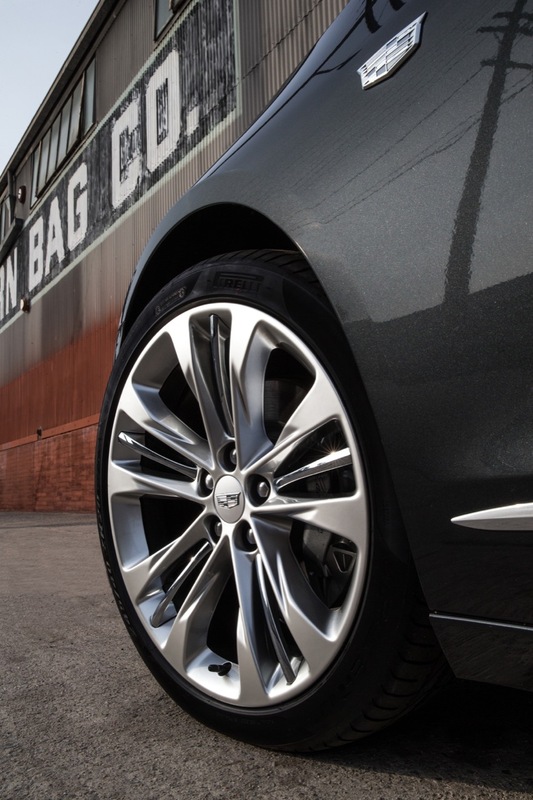 As such, Omega utilizes lightweight materials and advanced casting technology to provide the most dynamic driving experience ever seen on a full-size sedan. 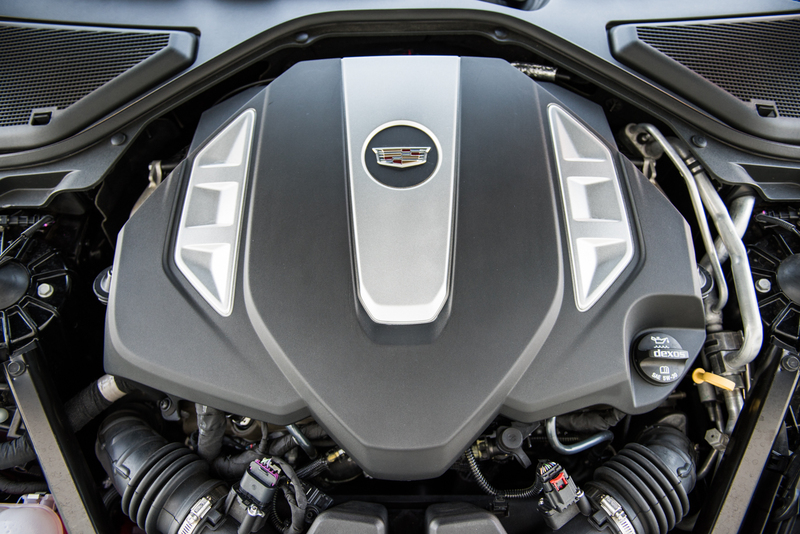 An example of the aforementioned advanced casting can be seen in a ribbed aluminum casting, which begins at the shock tower and runs to the rear of the CT6. 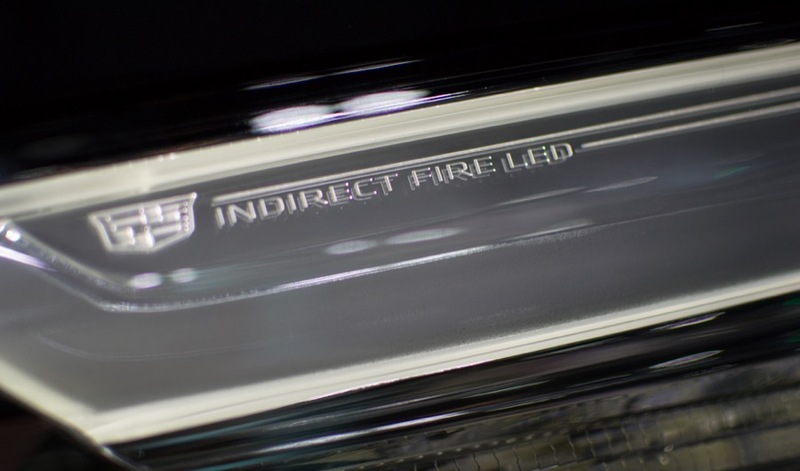 Hester explains normally this structural component would take some 35 pieces to assemble, but with the new casting technology, it’s one single piece. 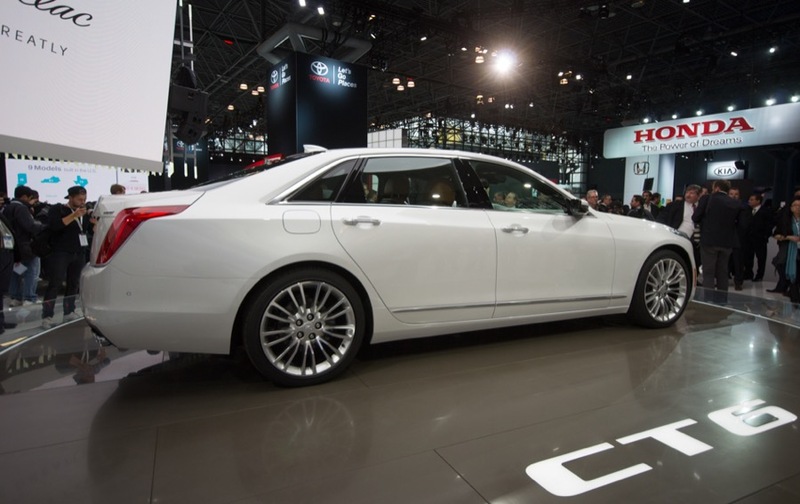 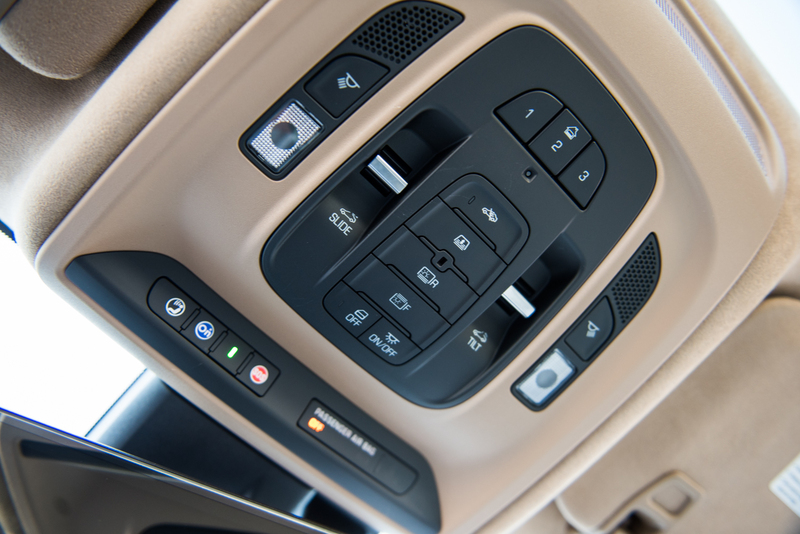 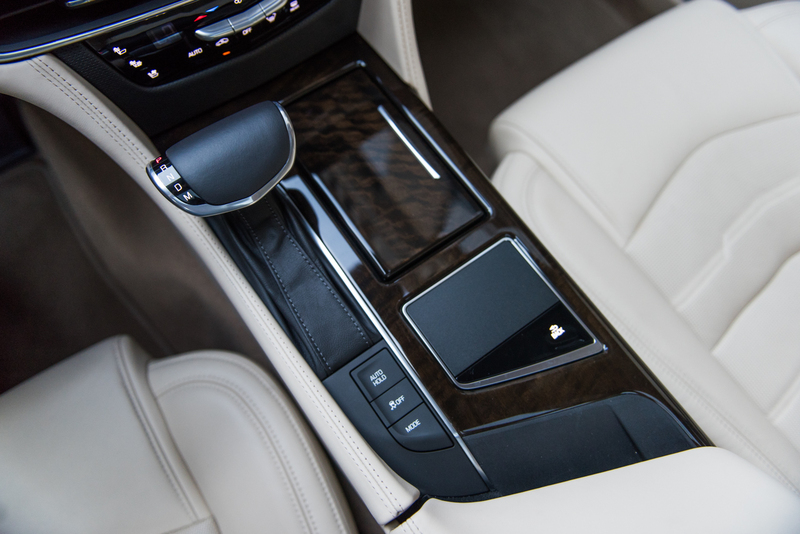 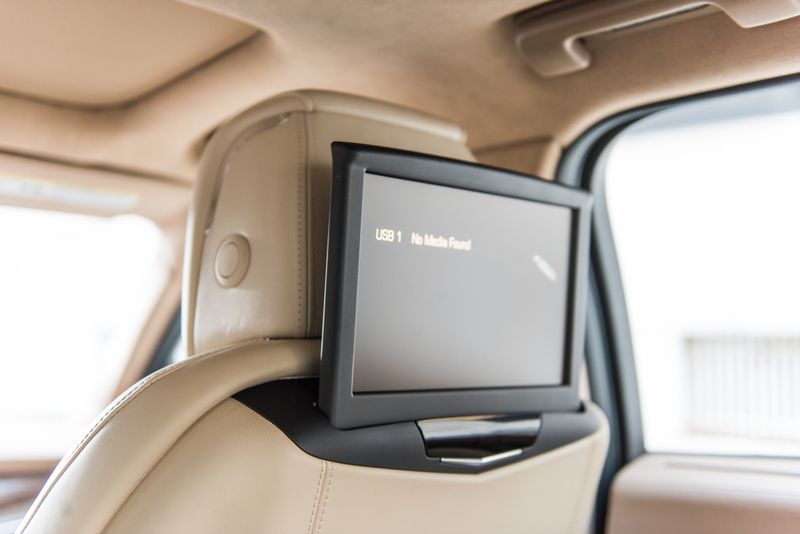 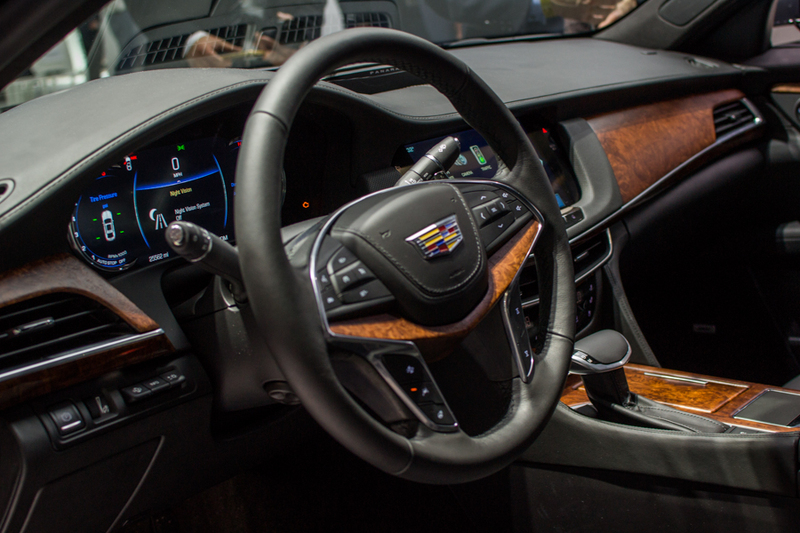 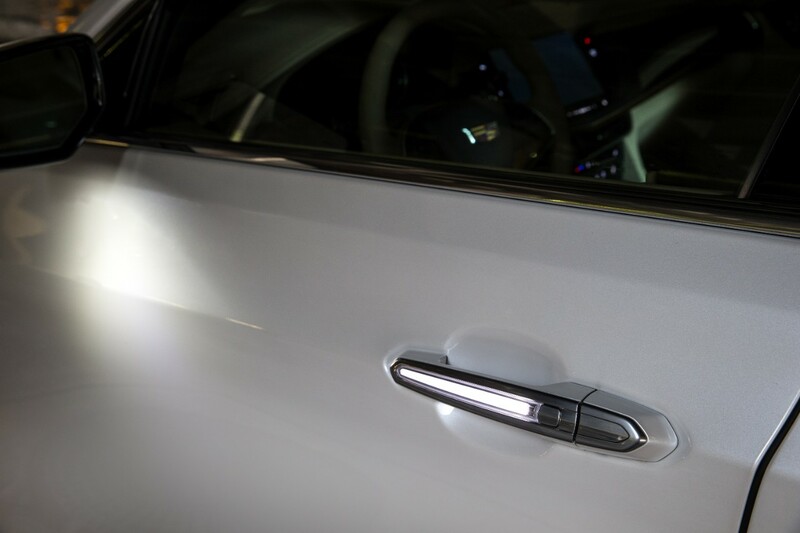 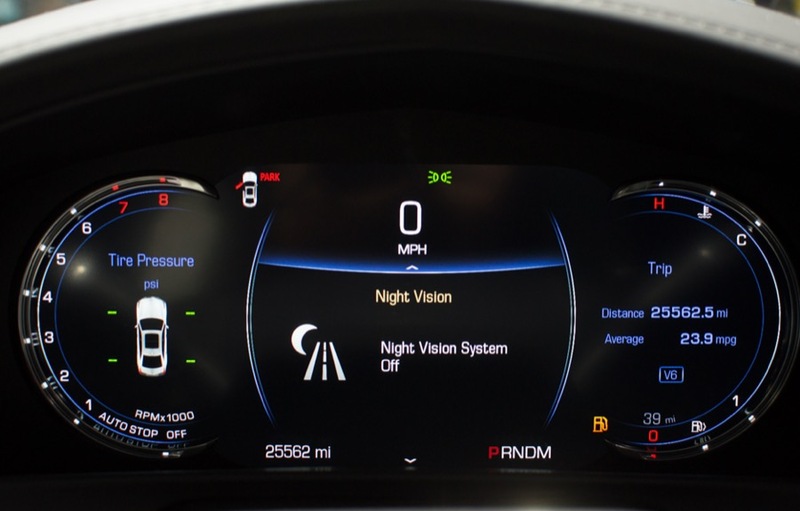 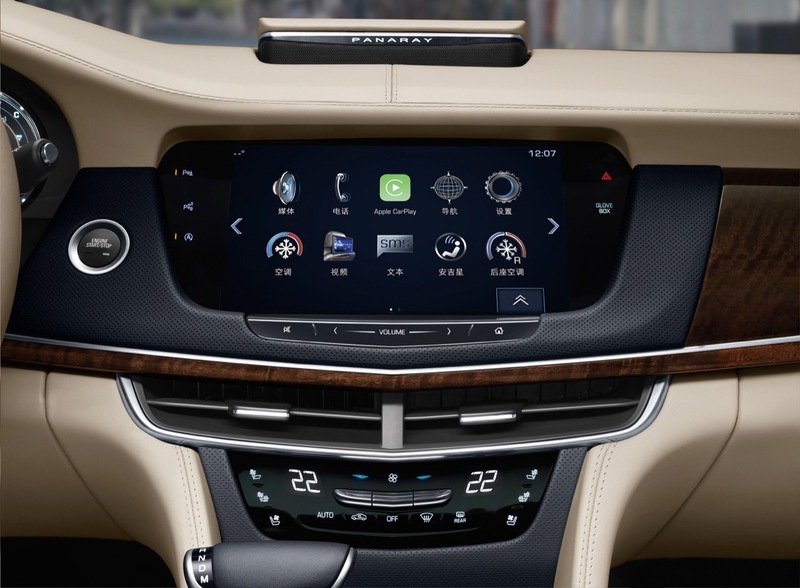 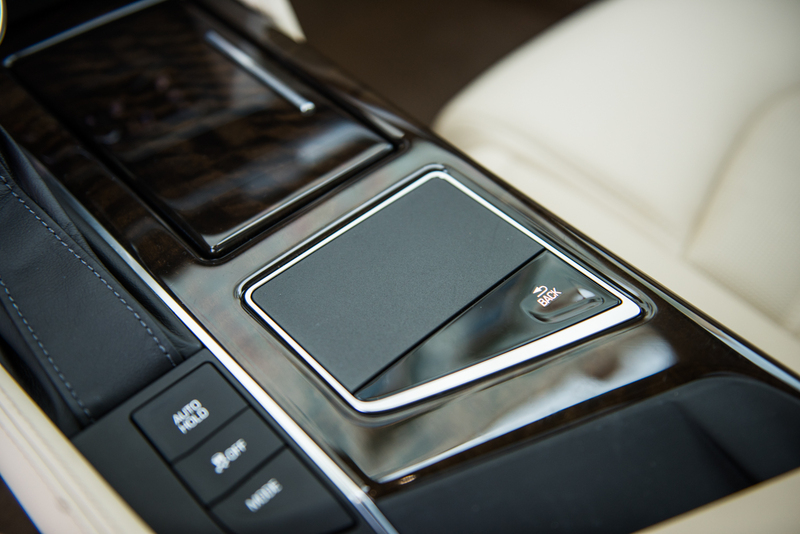 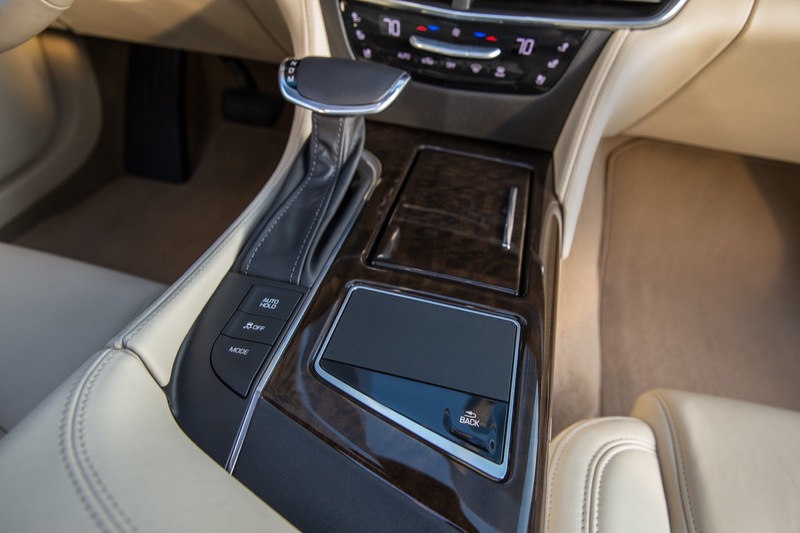 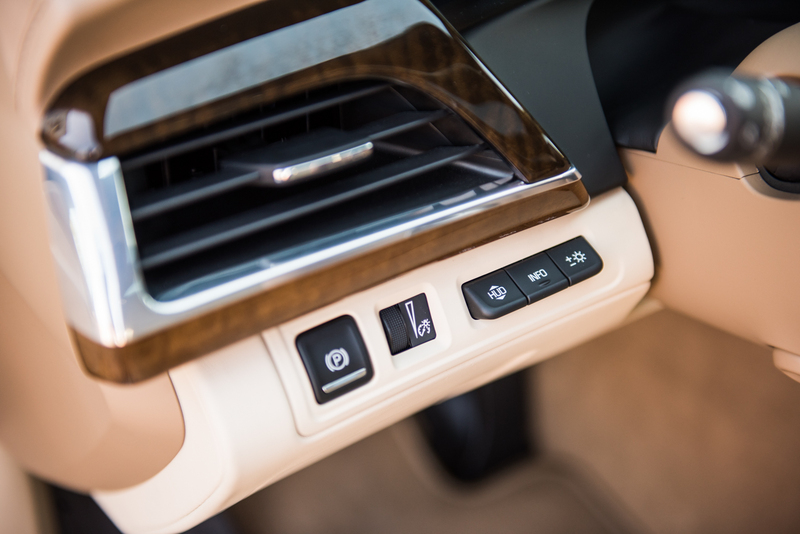 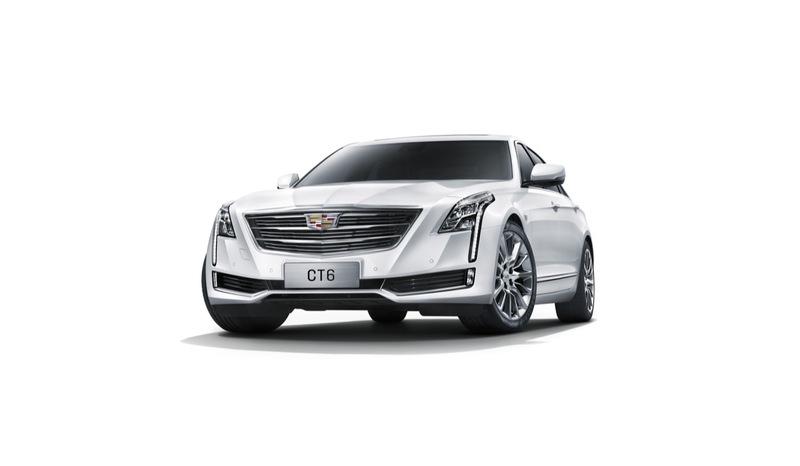 He also noted that there are no less than 13 high-pressure die-cast aluminum pieces in the structure of the CT6. 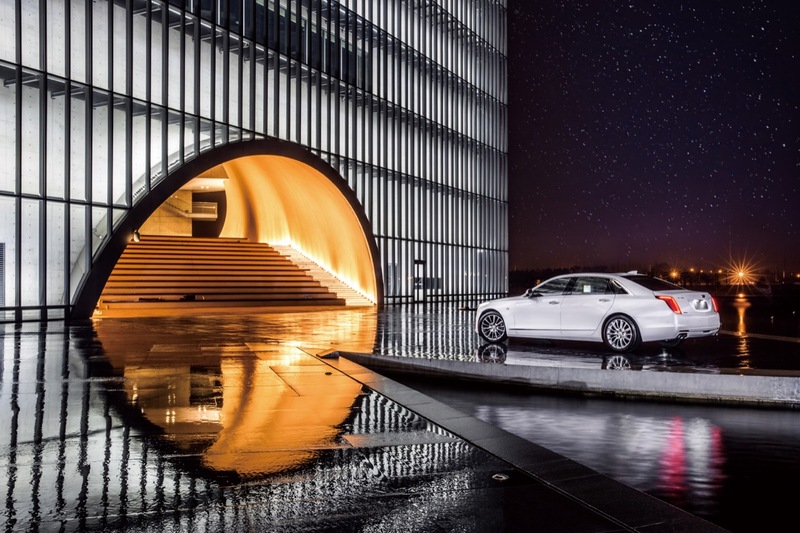 Including the transmission tunnel. 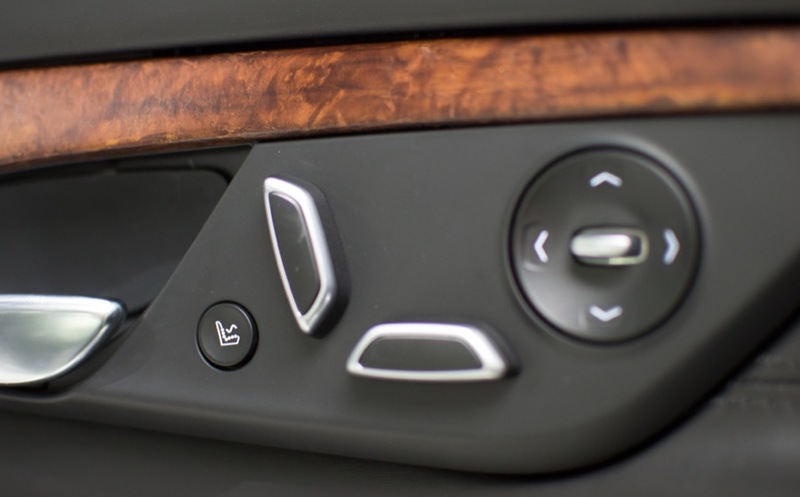 These futuristic components lead to increased structural rigidity at critical stress points for the car. 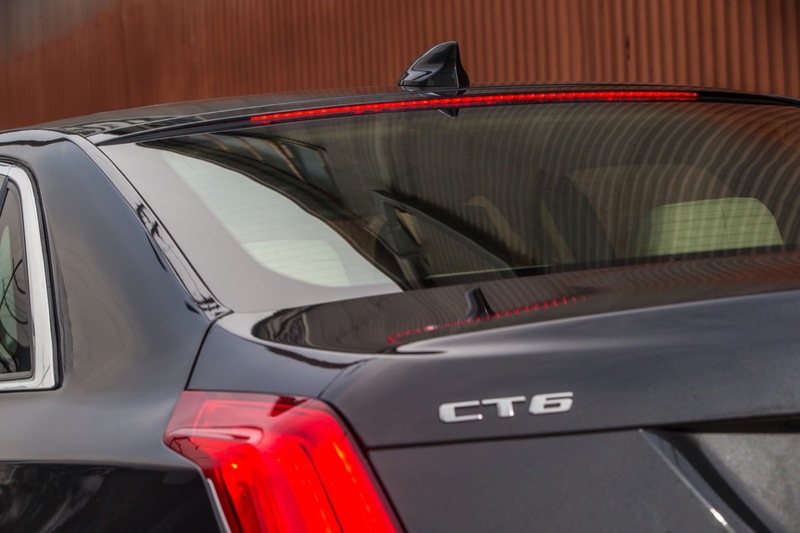 It also allows for unnecessary weight to stay off the car, embracing the goal of the engineering team further. 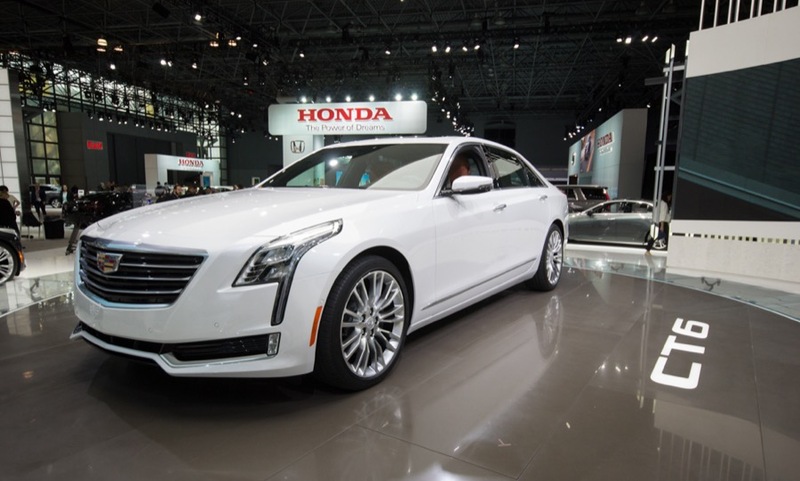 While aluminum is also used extensively with the Omega platform, it isn’t the sole material used in the 2016 CT6, and there are some drawbacks. 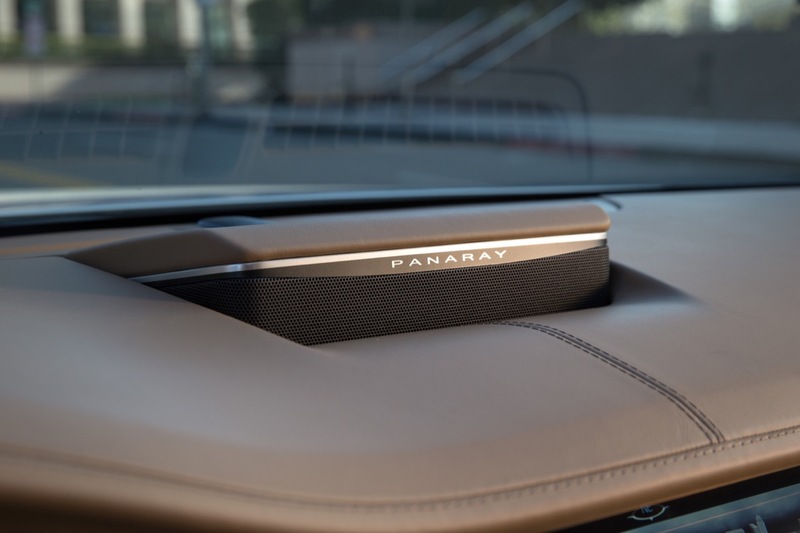 For example, its density makes for a downright terrible sound buffer from the outside. 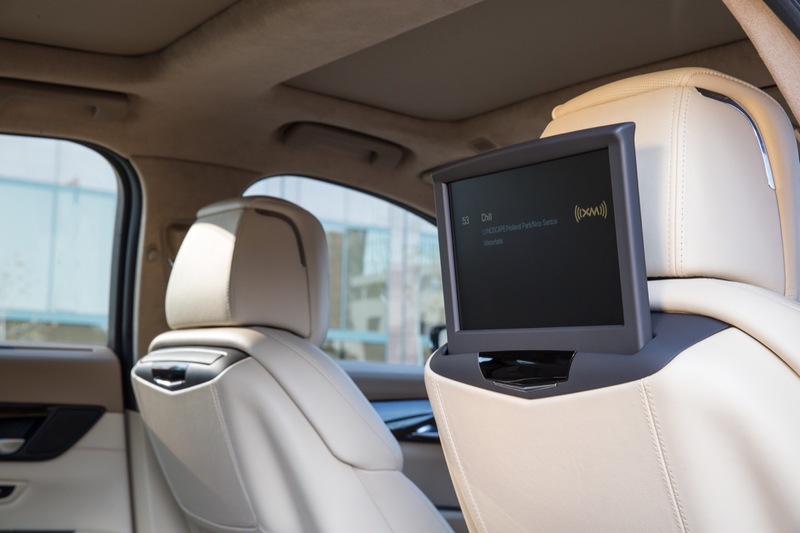 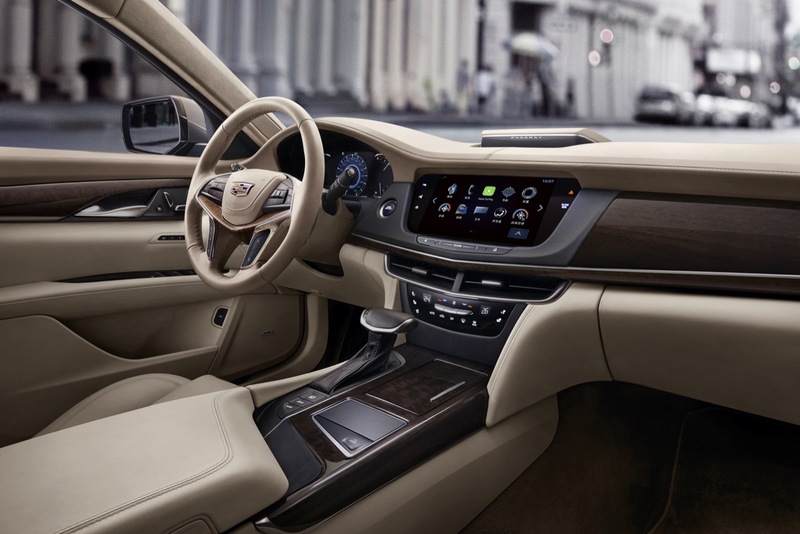 Because of this, a lot of sound insulation would have been required to achieve the goal of “bank vault” quietness in the cabin of the CT6. 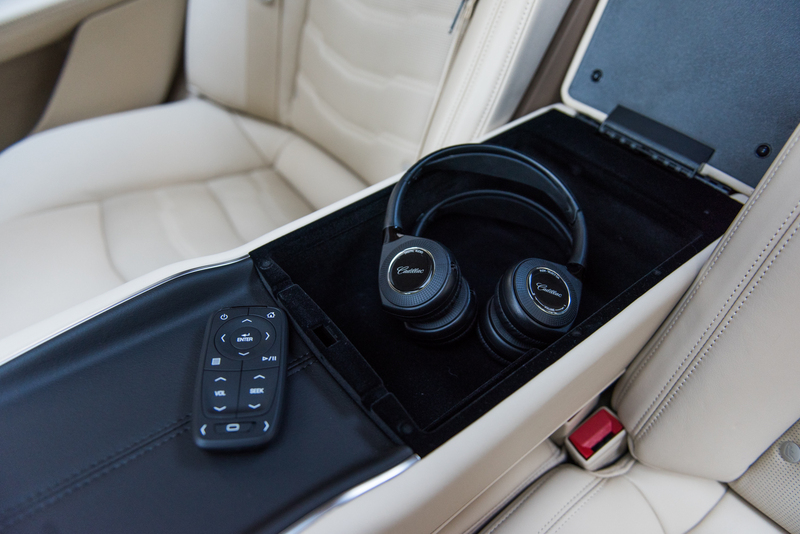 Sound insulation, of course, is dead weight. 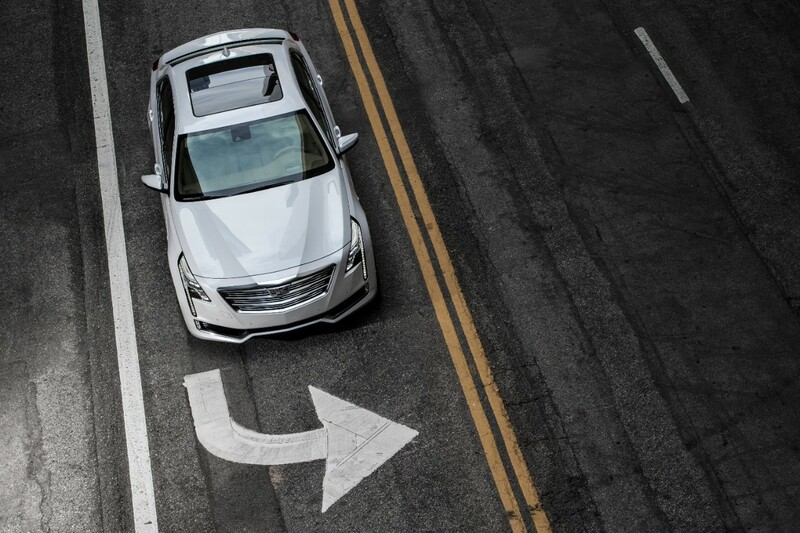 Hester doesn’t like dead weight. 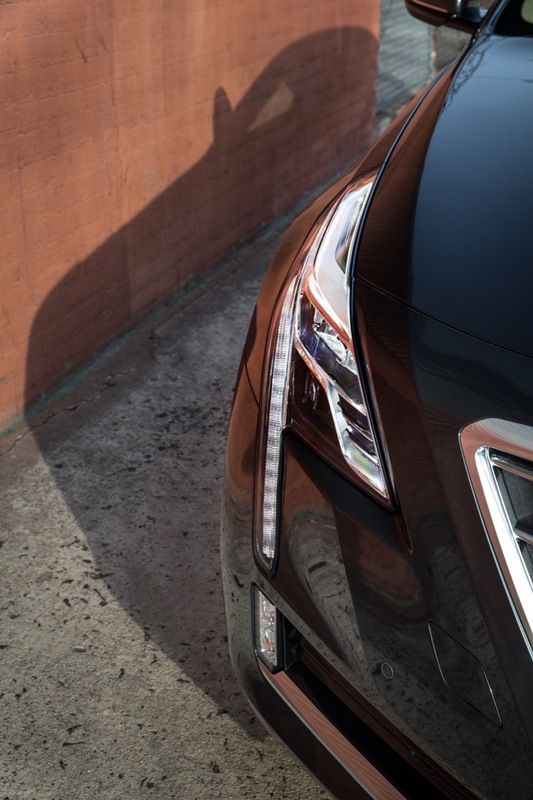 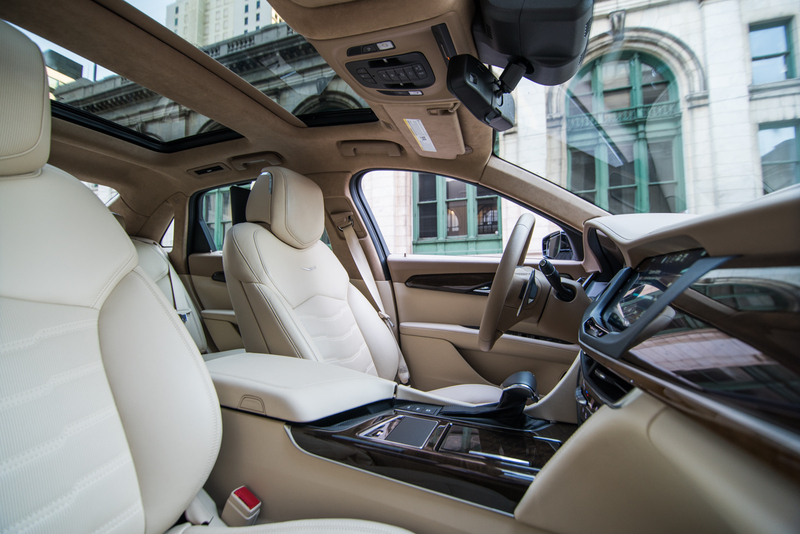 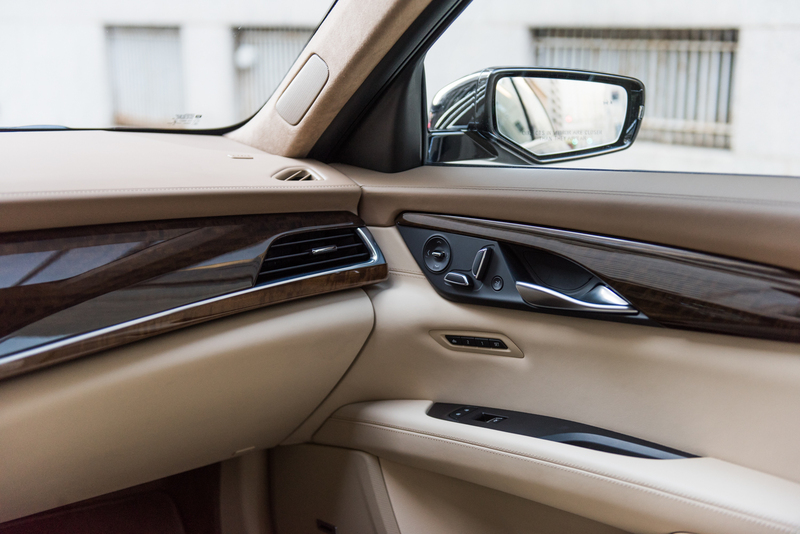 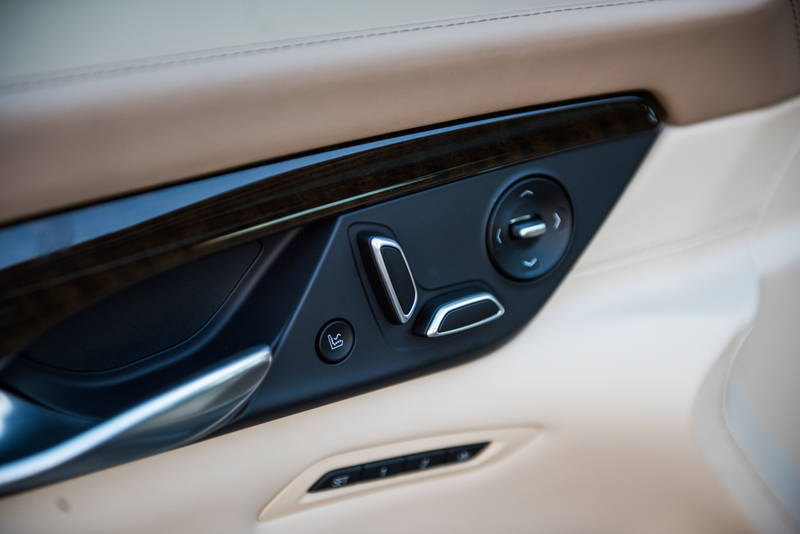 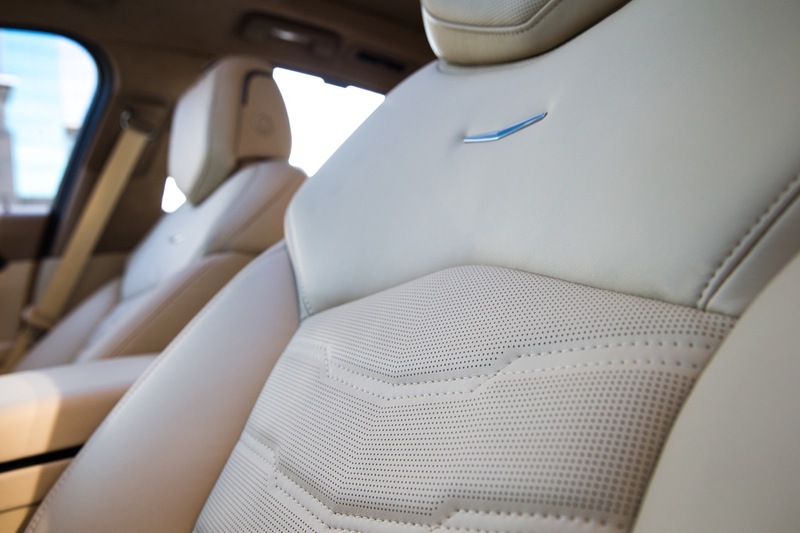 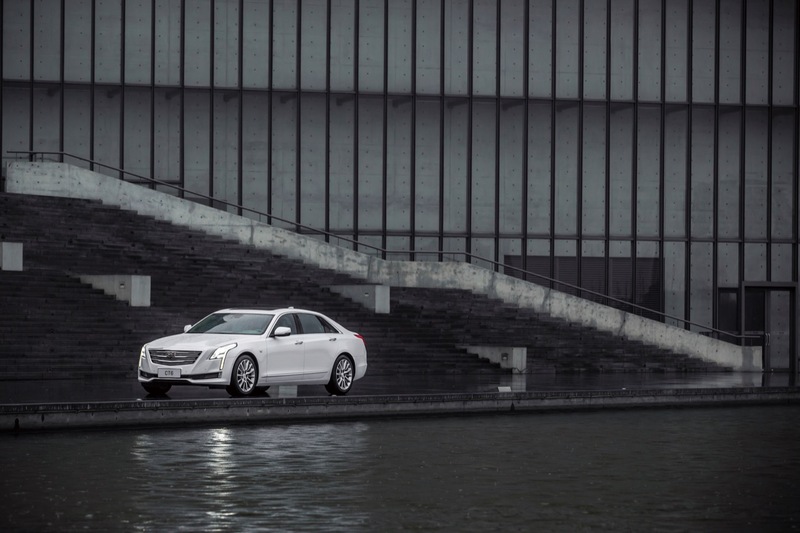 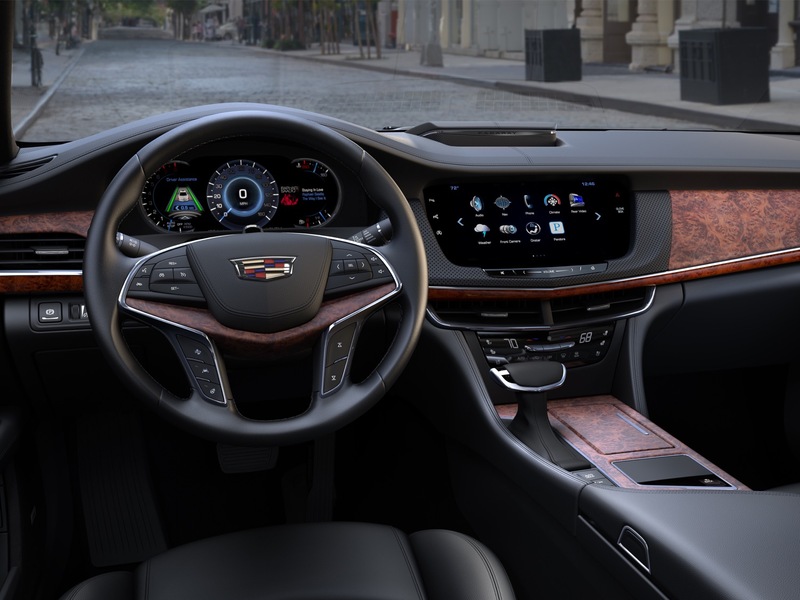 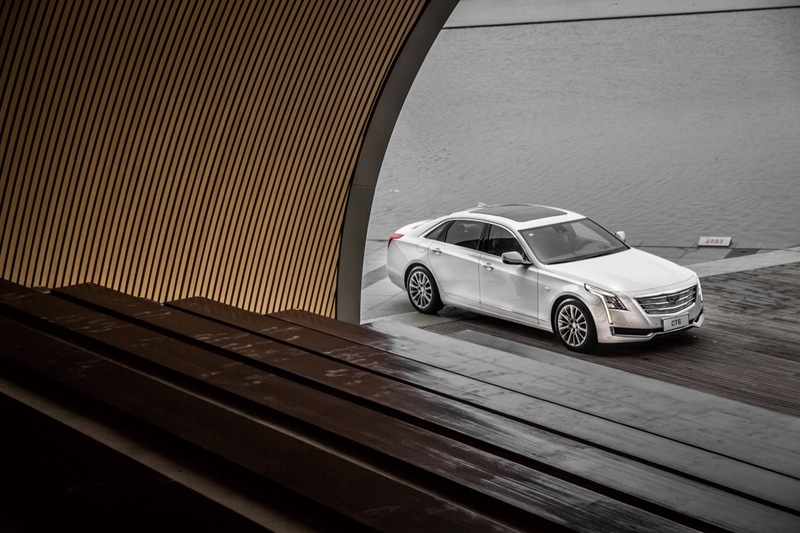 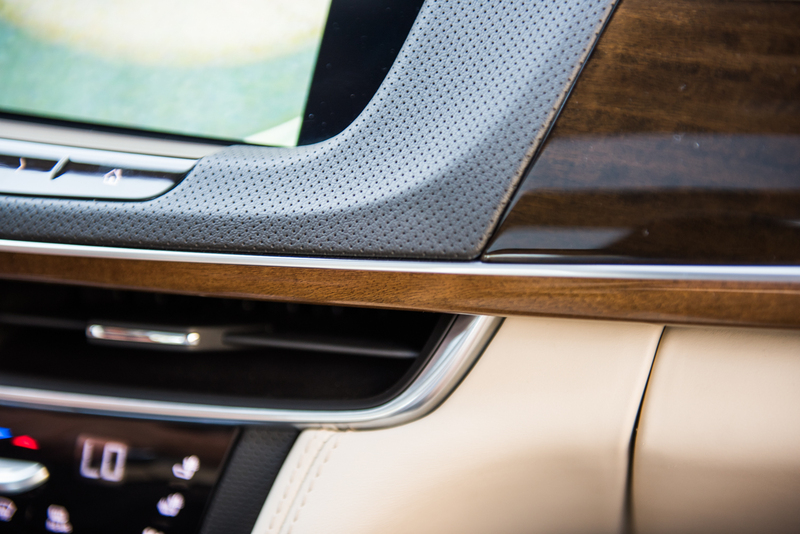 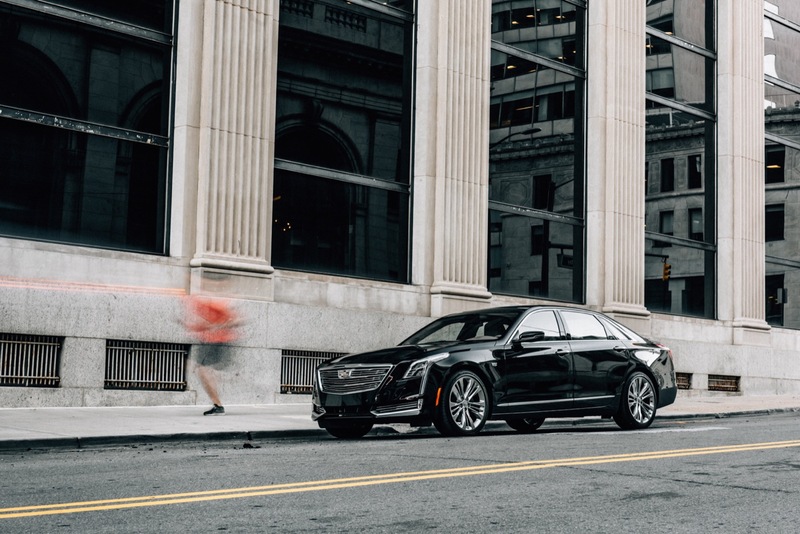 As a solution, Hester and the rest of the CT6 team implemented high-strength steel in strategic points around the body that surrounds the cabin. 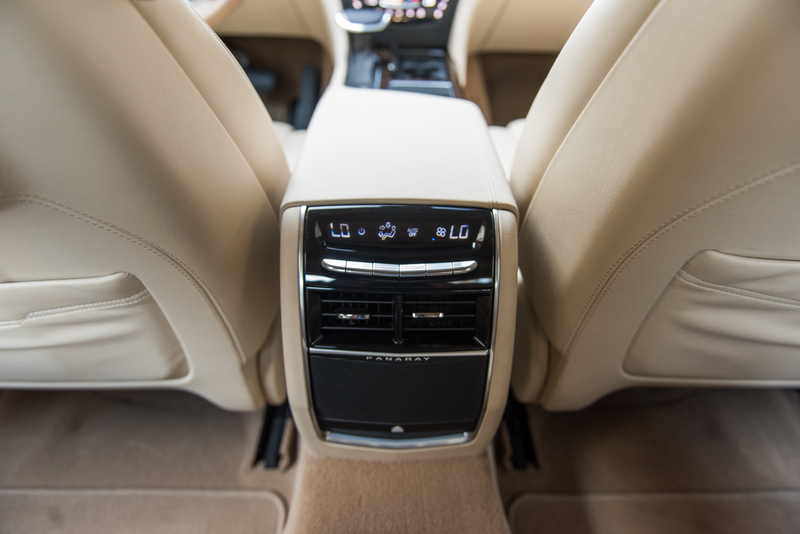 In doing so, far less sound insulation (read: weight) was needed. 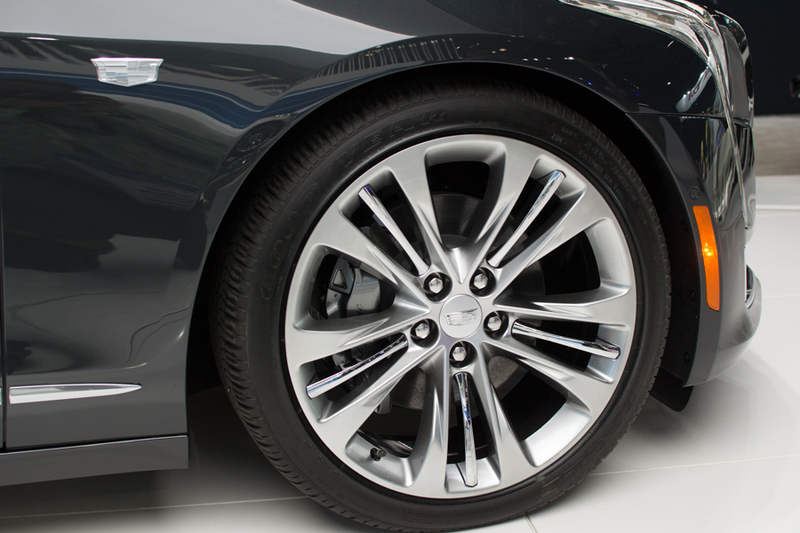 Proving that sometimes, the heavier metal can still contribute to the lightest solution possible. 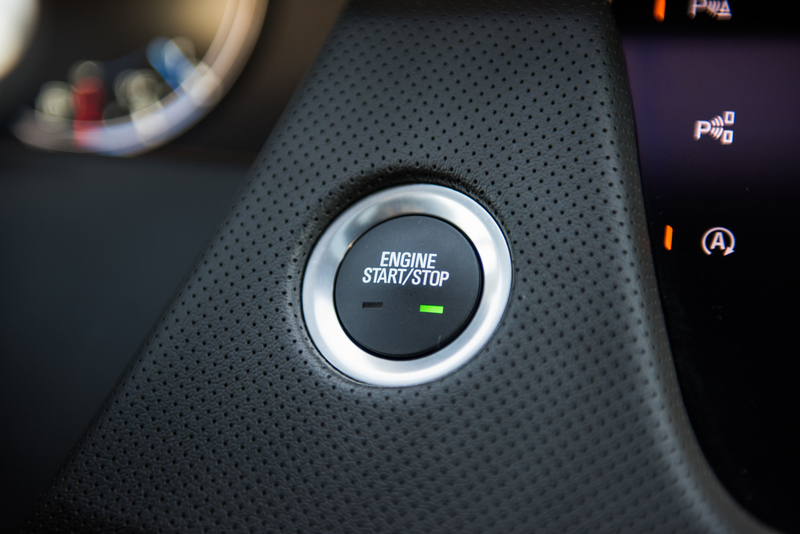 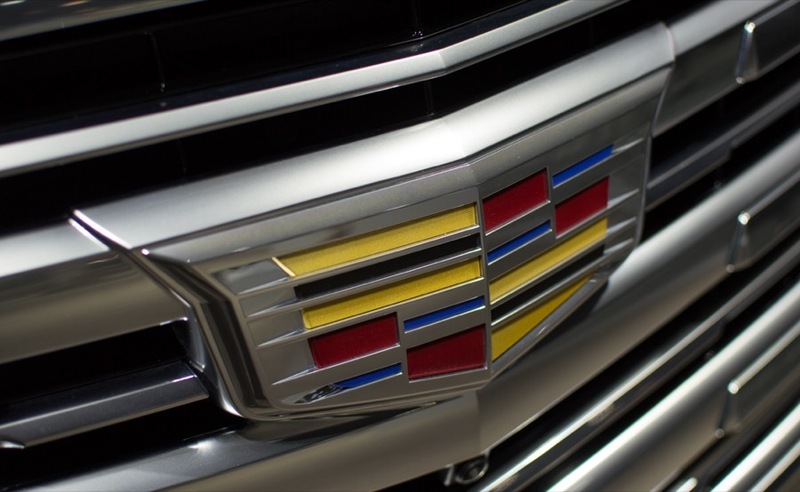 The mixed material usage, which also includes doses of magnesium, is something we expect to see more of from General Motors to combat rising fuel economy standards. 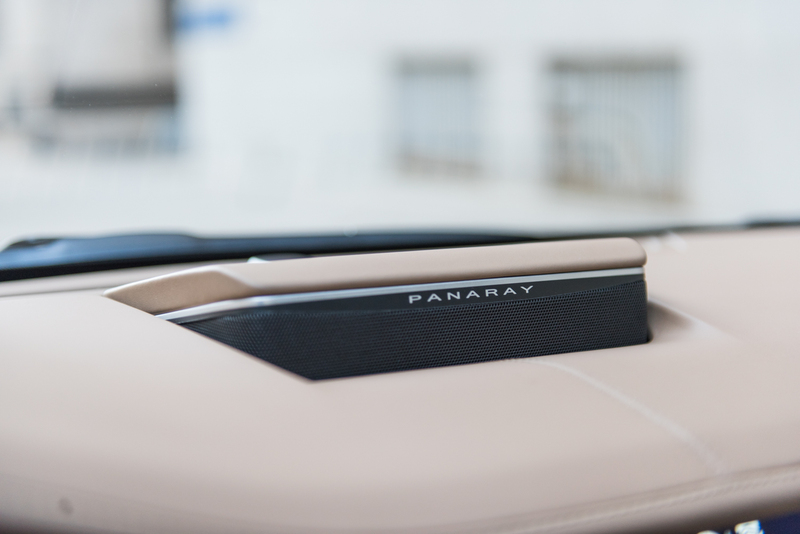 Piecing all of these metals together are flow-drilled screwed rivets, traditional welding and aluminum spot welding in strategic locations, along with a total of 118 meters of fighter-jet-like structural adhesives. 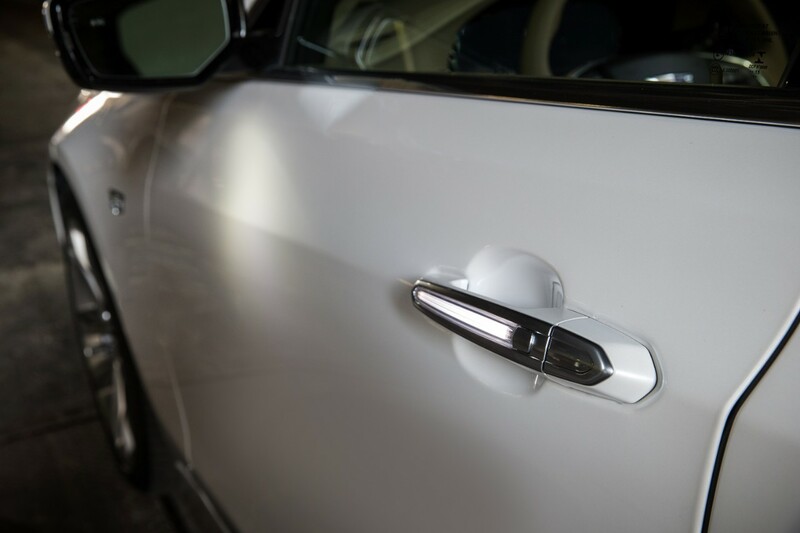 The adhesives, along with special steel coating, prevents corrosion between the different elements making up the structure. 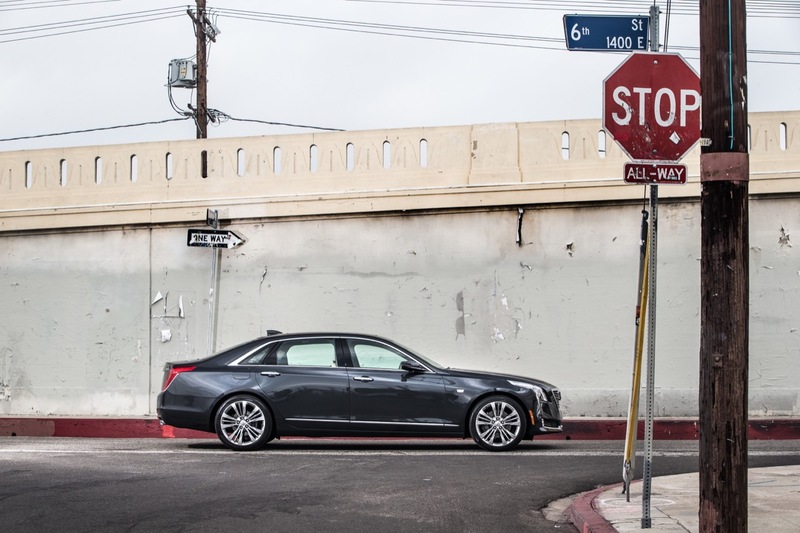 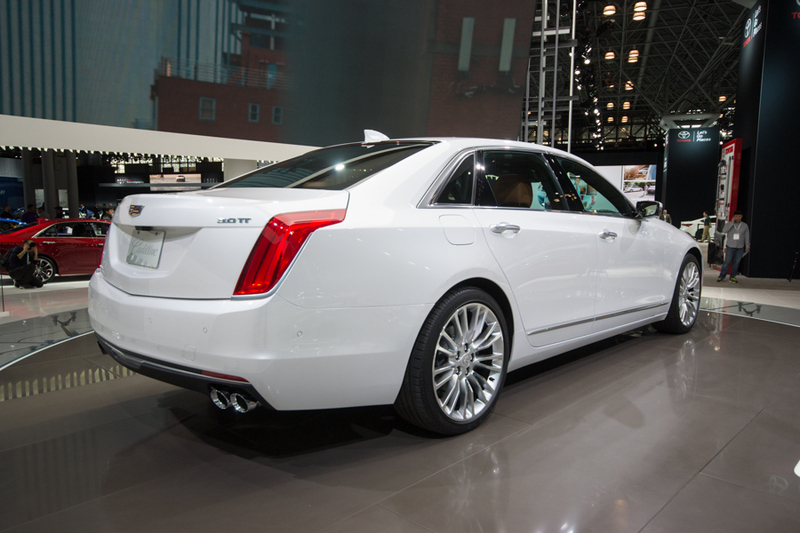 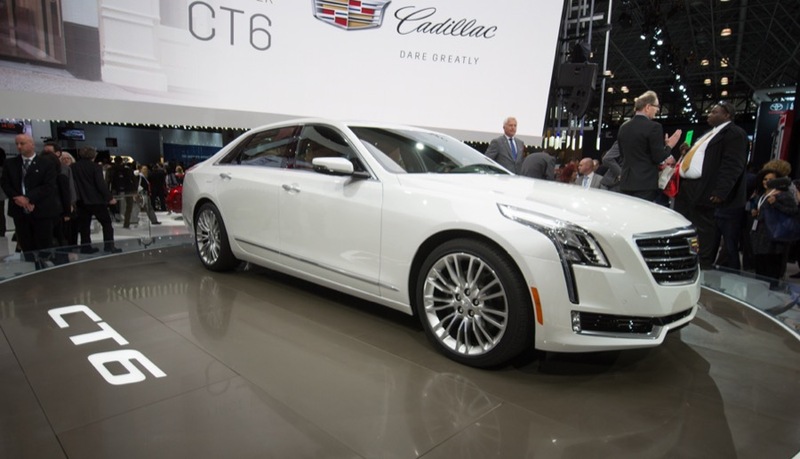 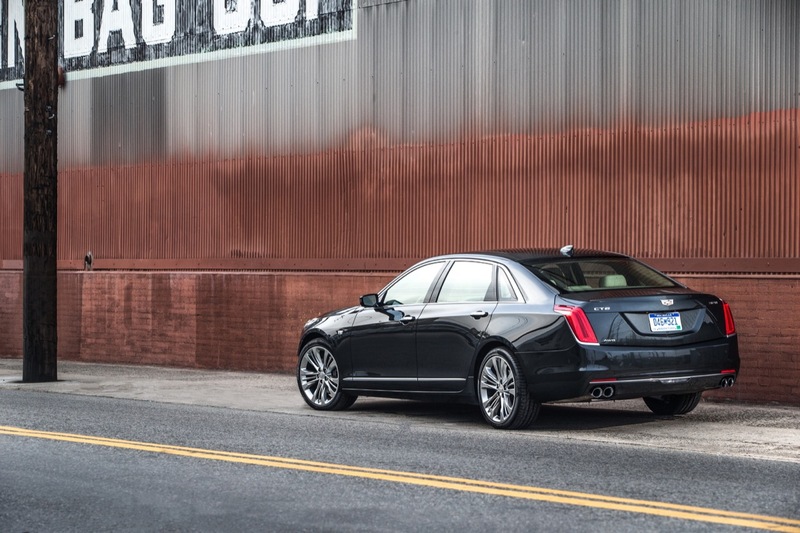 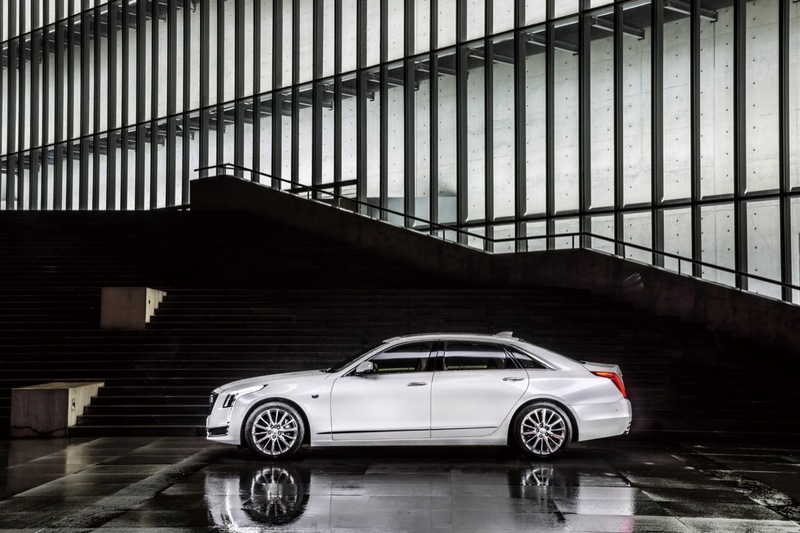 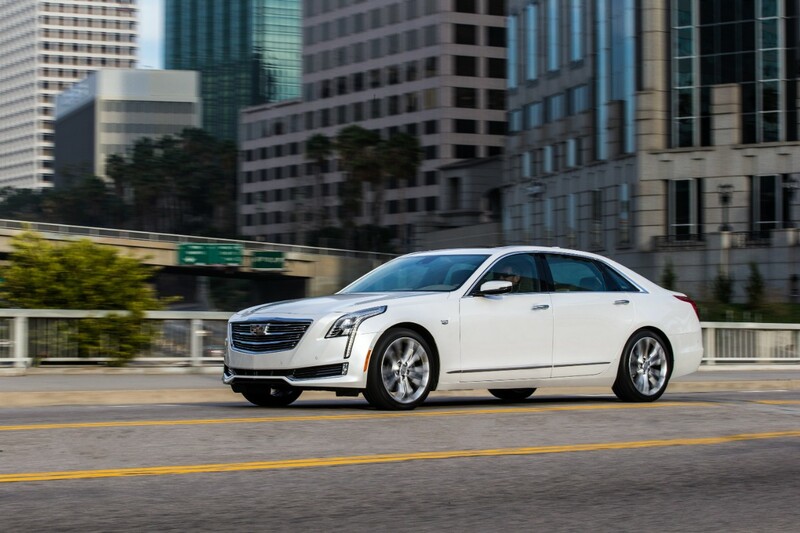 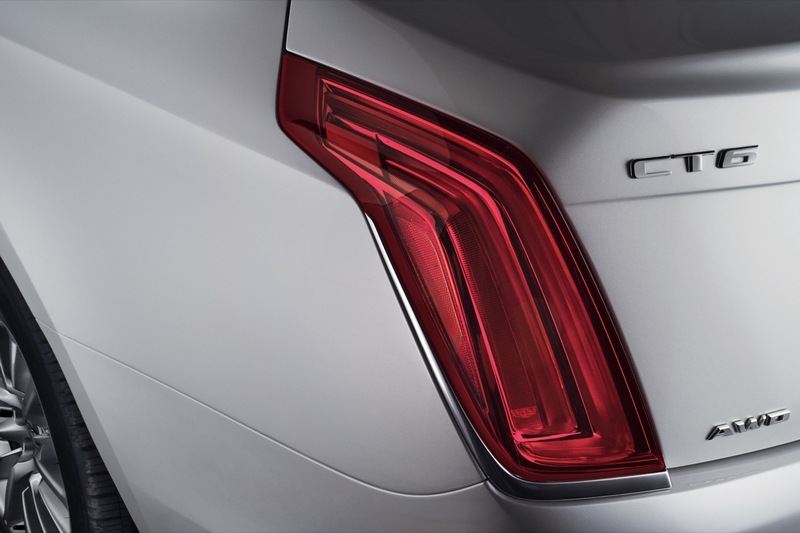 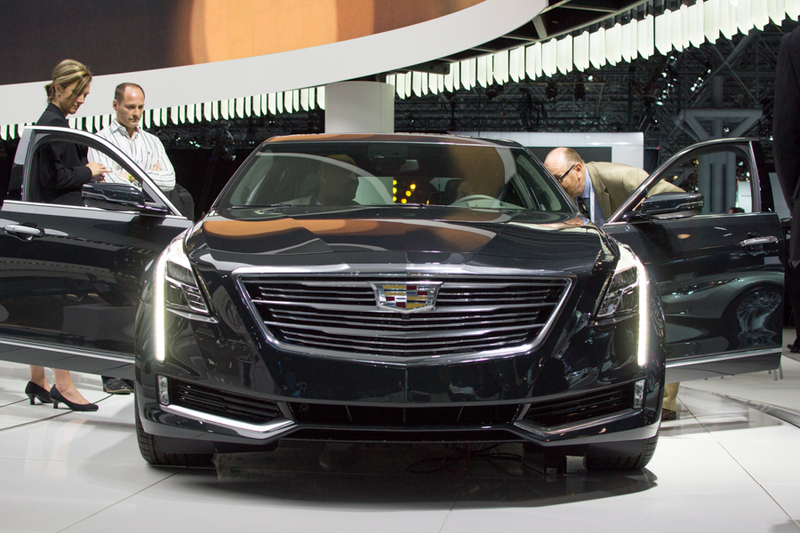 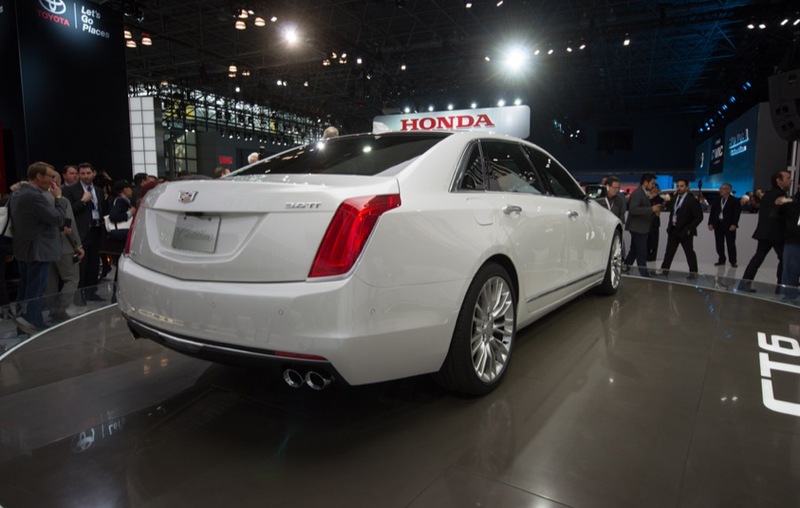 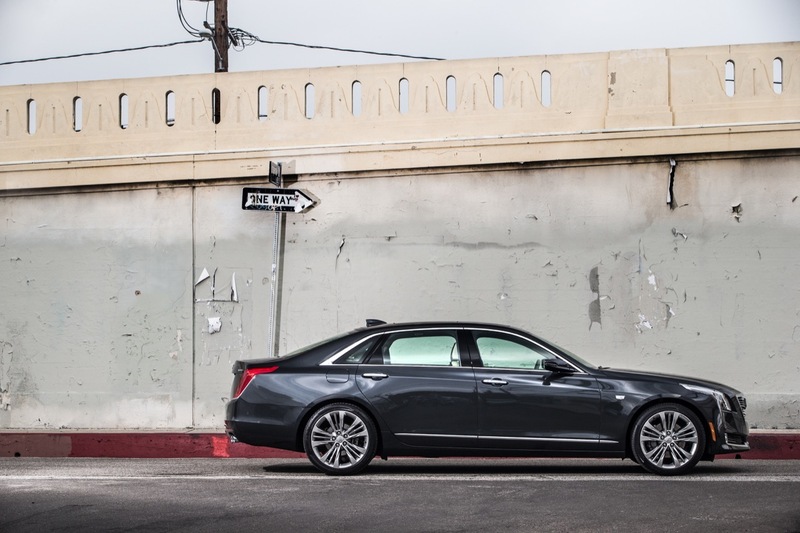 The biggest news surrounding the 2016 Cadillac CT6 is the incredibly low curb-weight, which undercuts competitors by 600 pounds. 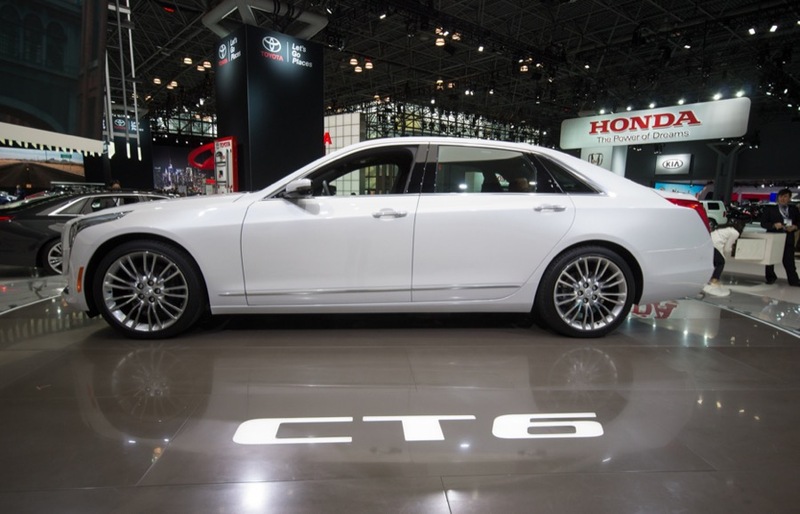 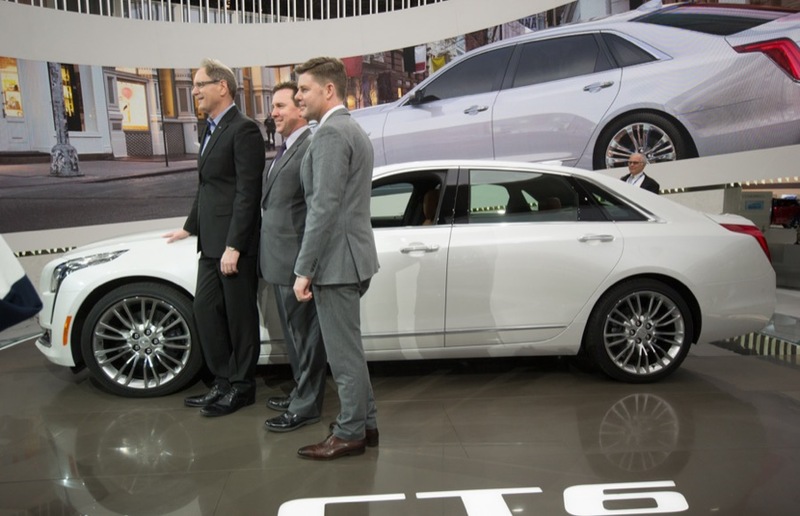 And as we all know, a base CT6 is said to weigh less than the smaller Cadillac CTS. 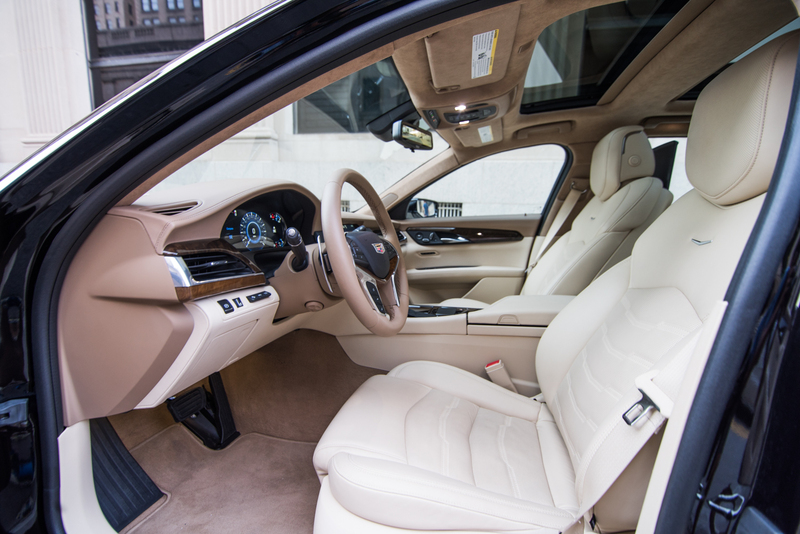 Something achieved through the right mix of materials as detailed above. 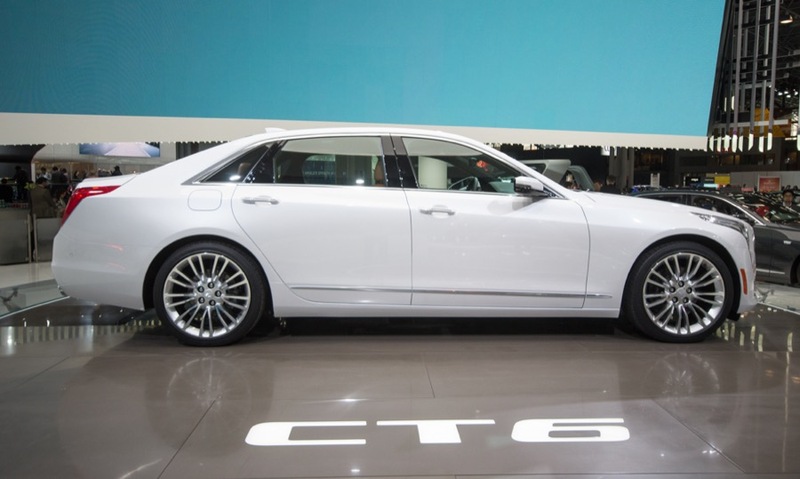 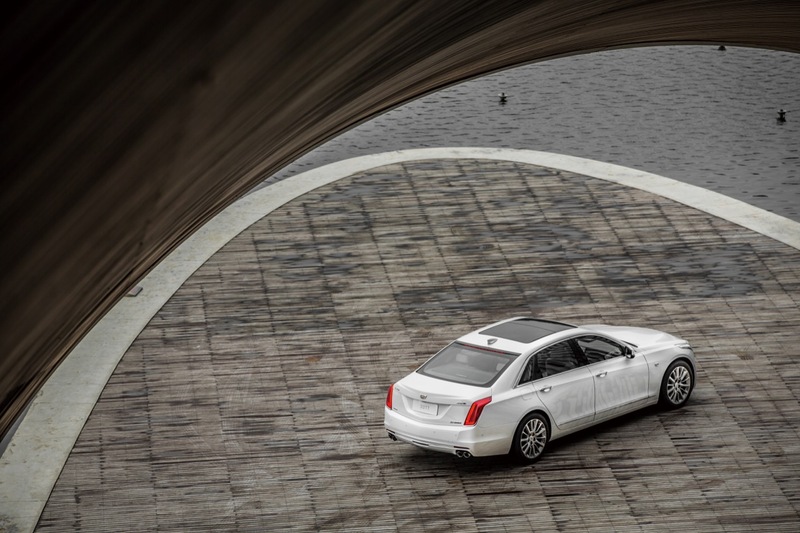 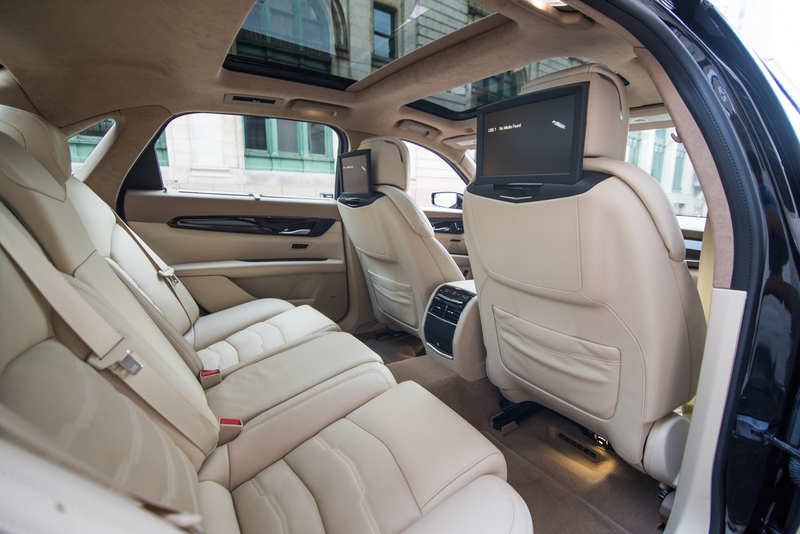 The sublime chassis engineering will only be complimented by the addition of the 2016 CT6’s suspension design, which features four-wheel steering with all-wheel-drive models with the Active Chassis System. 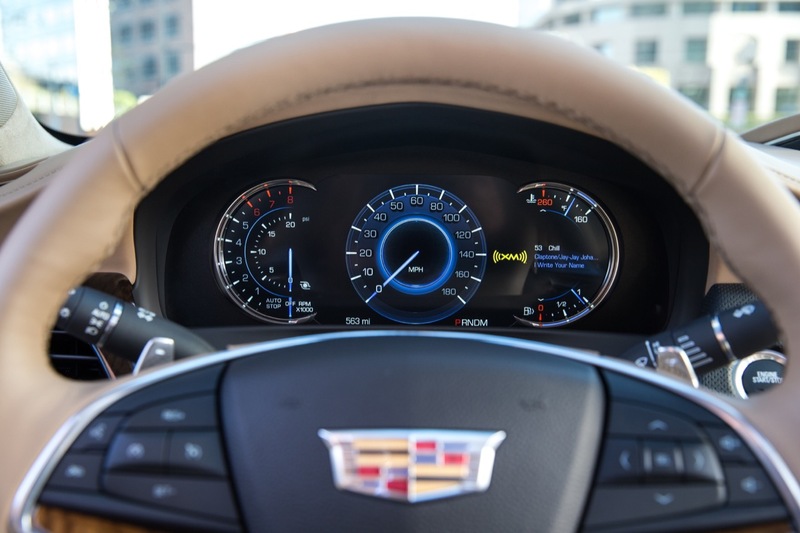 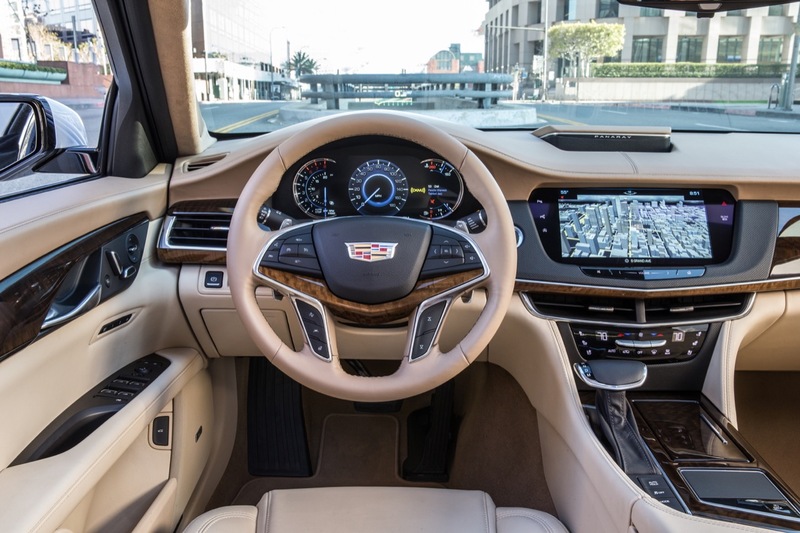 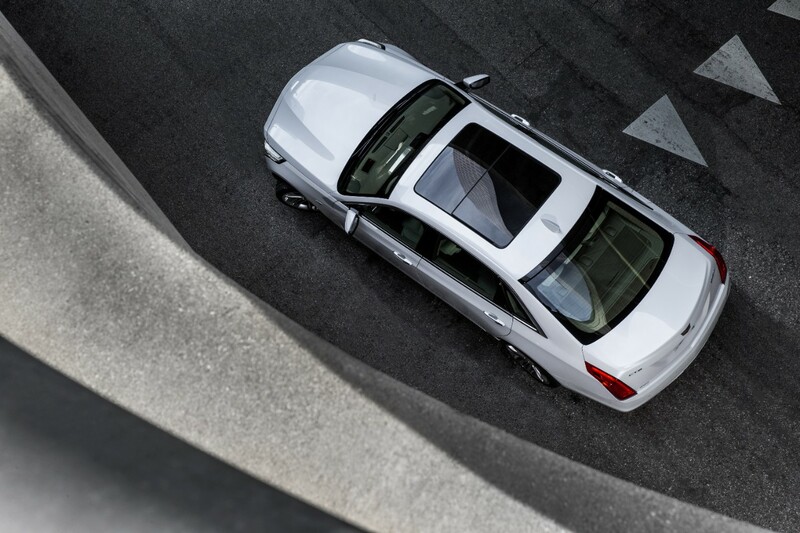 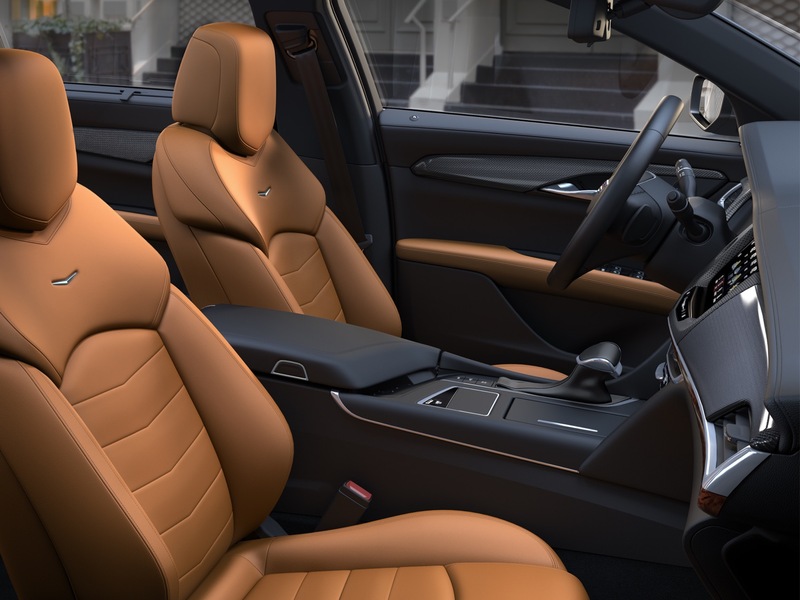 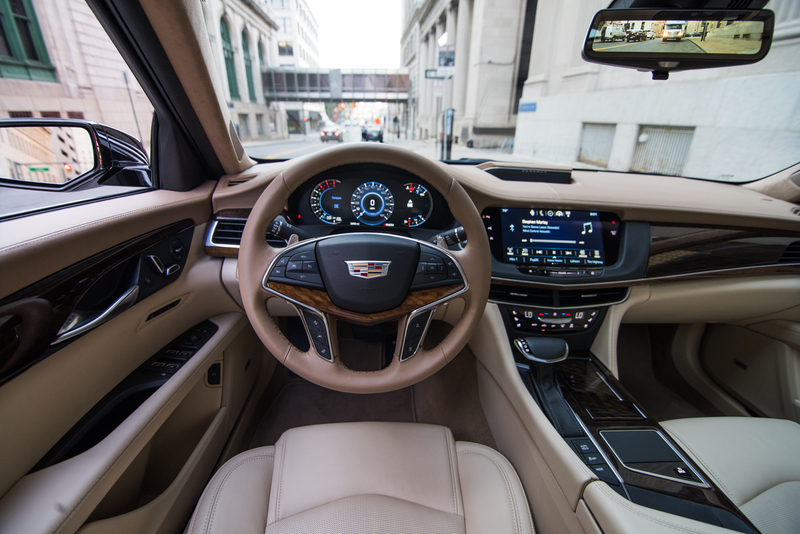 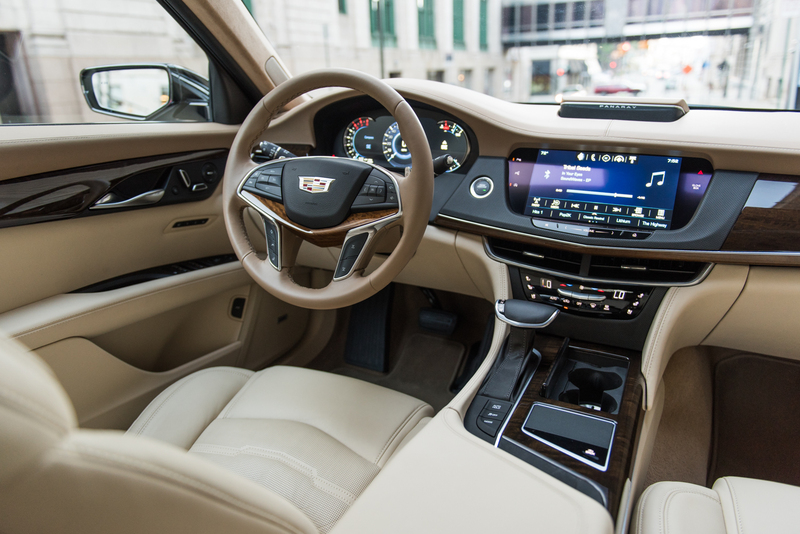 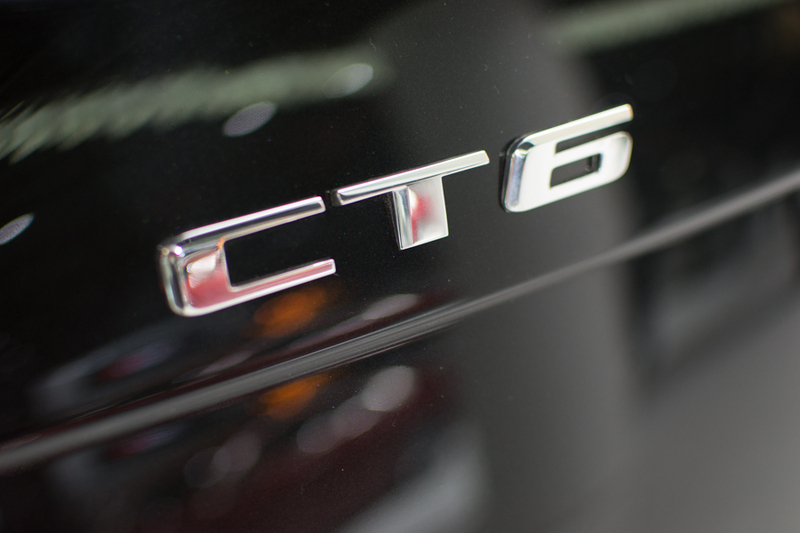 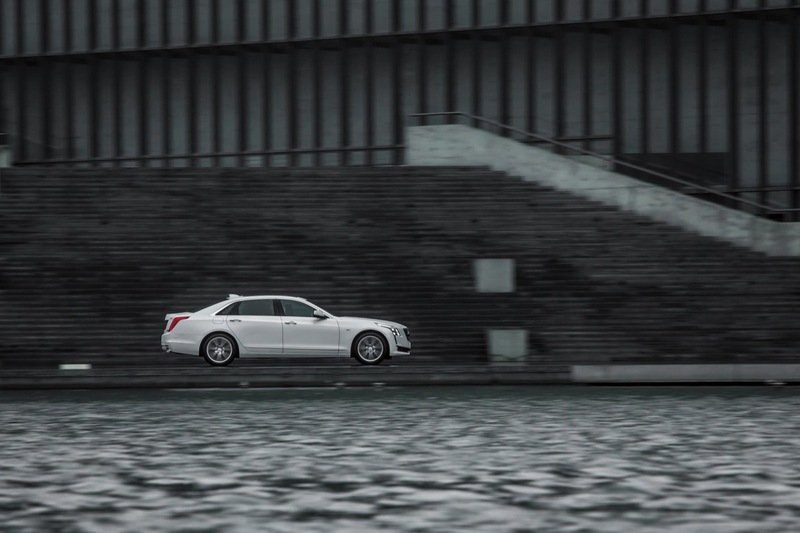 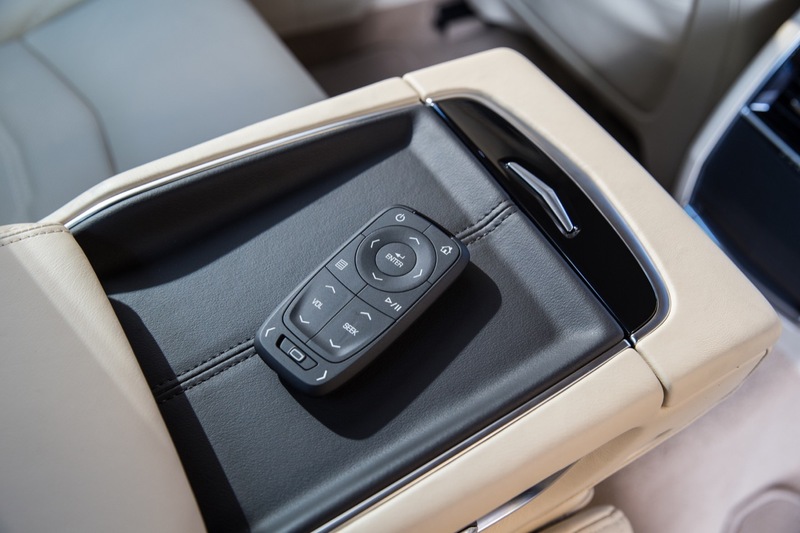 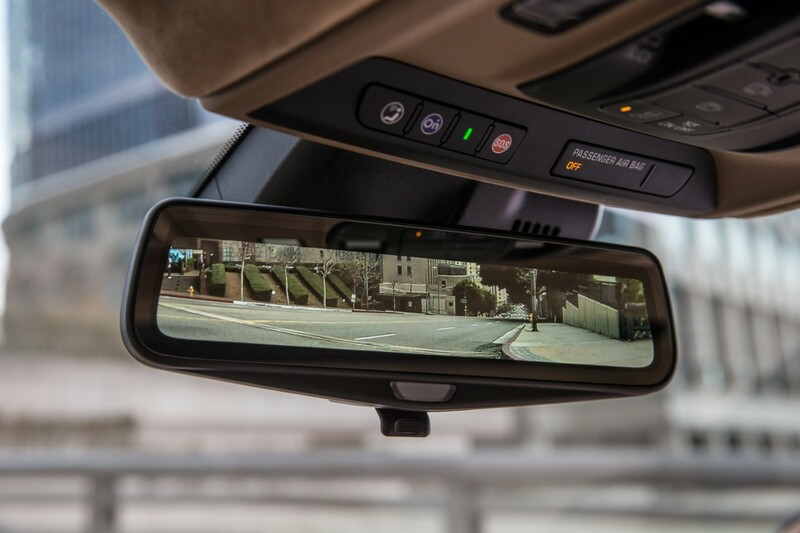 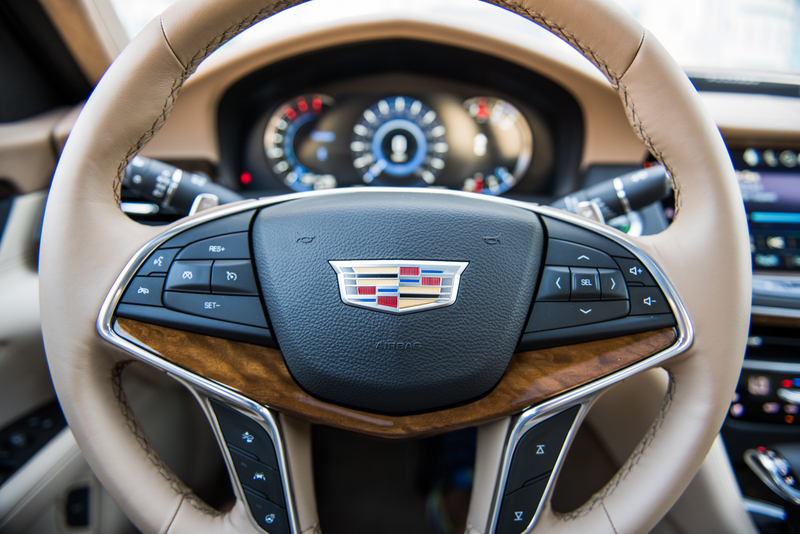 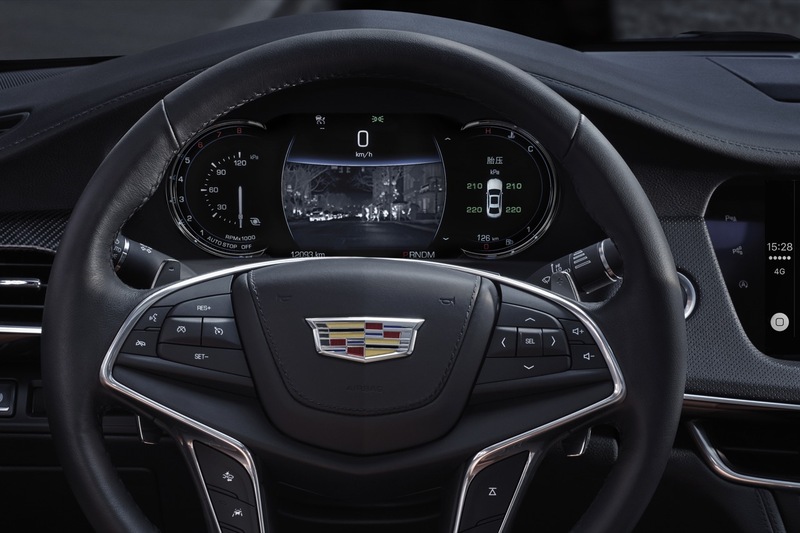 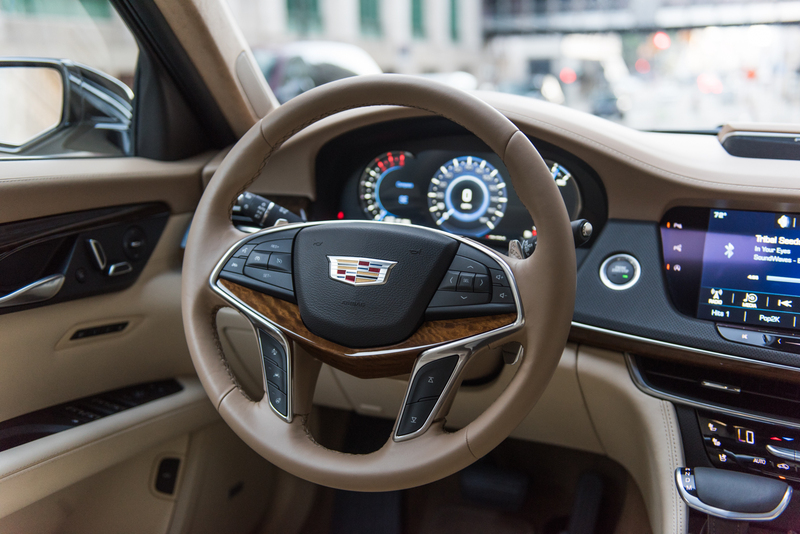 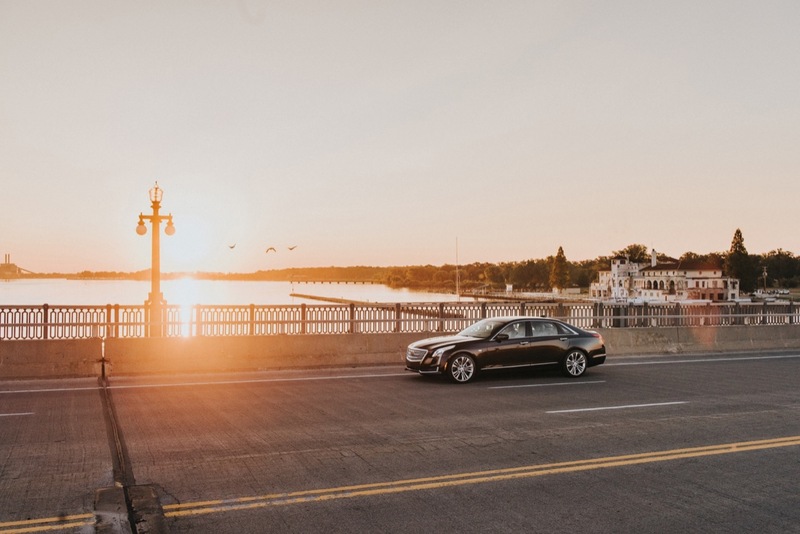 The four-wheel steering gives the CT6 sport-sedan dynamics, letting the rear wheels rotate up to 3.5 degrees in order to curb turning radius down to a neat 37 degrees altogether — which is midsize territory. 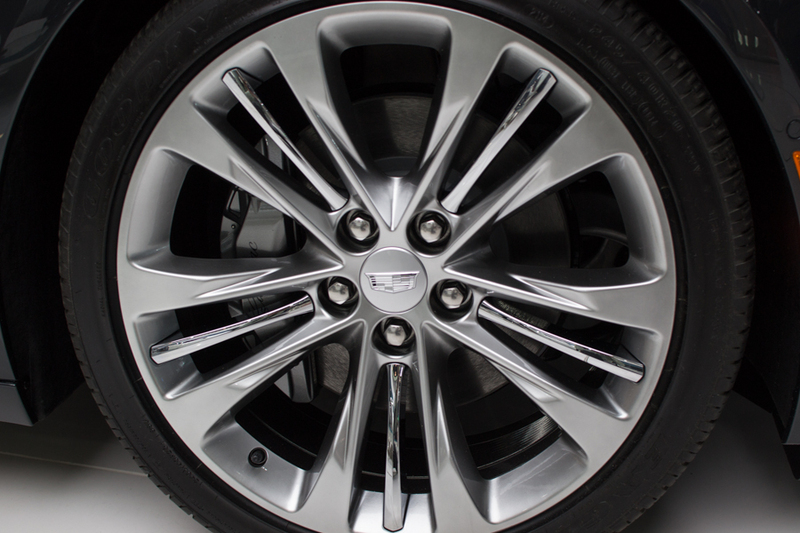 At higher speeds, the rear wheels turn in the direction of the front wheels. 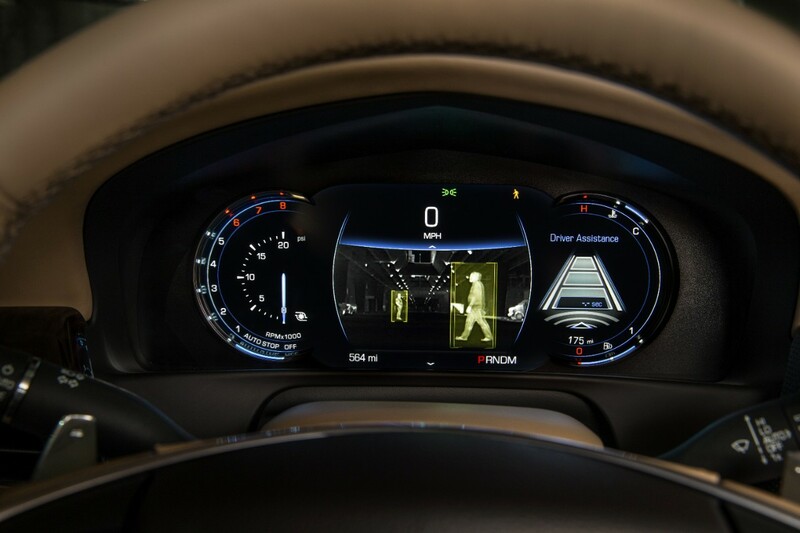 This gives better merging abilities, and less body roll as a result. 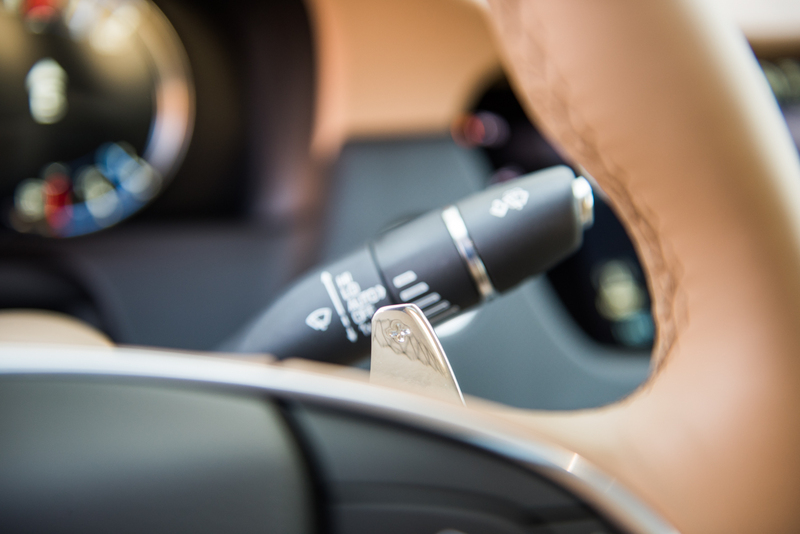 Of course, magnetic ride control is present and accounted for, as well. 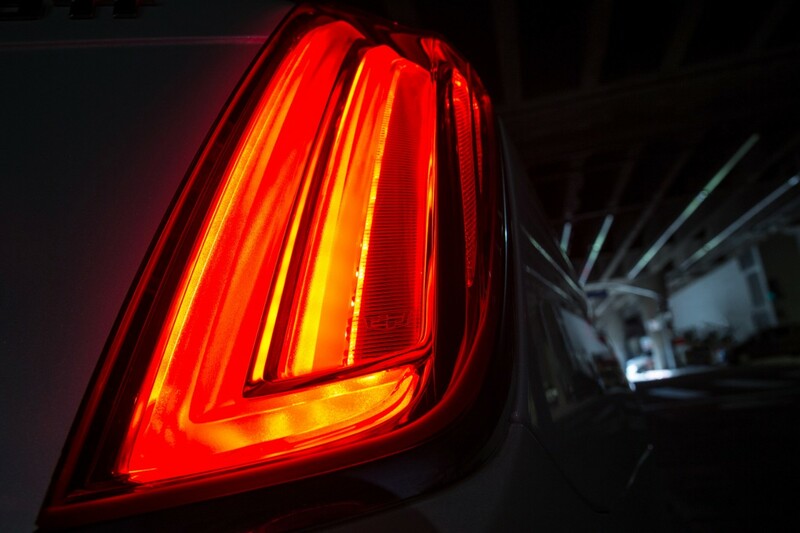 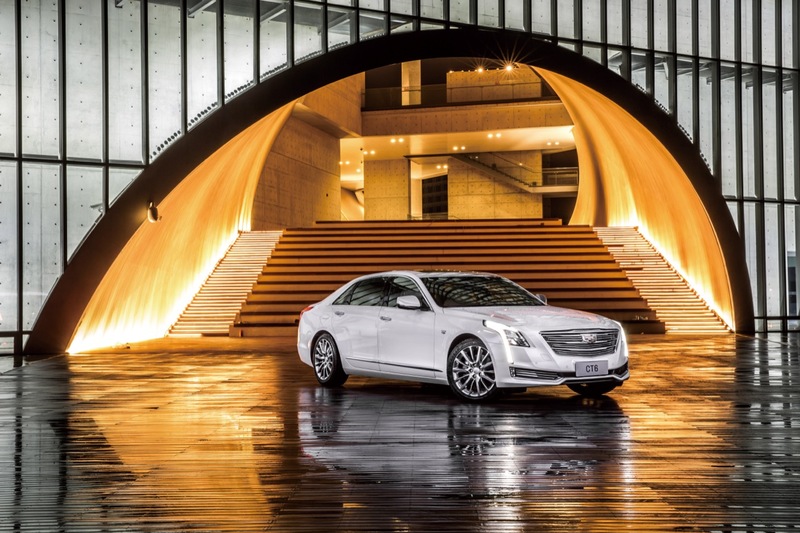 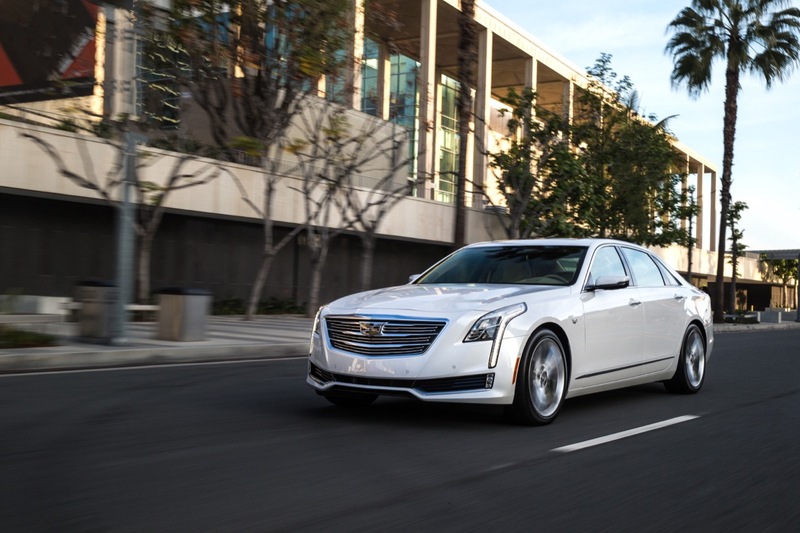 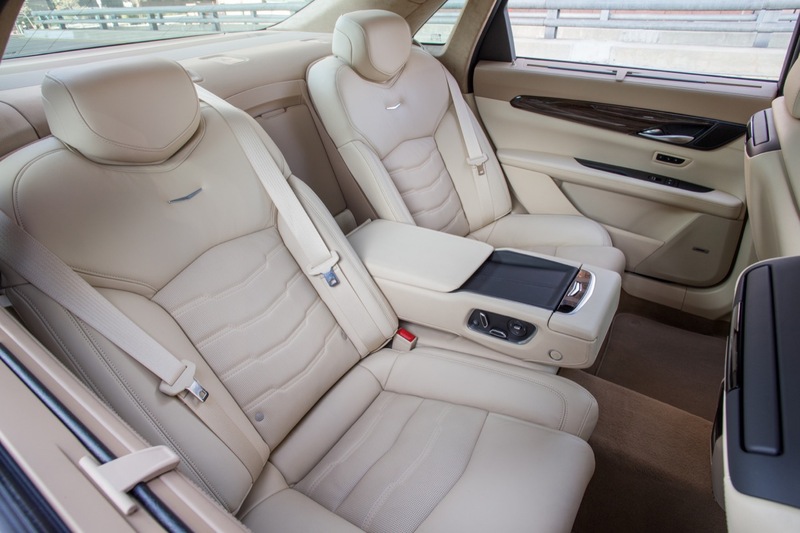 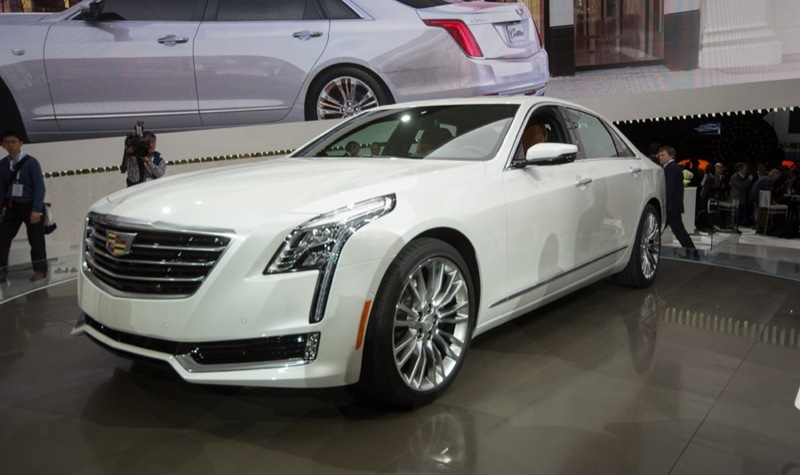 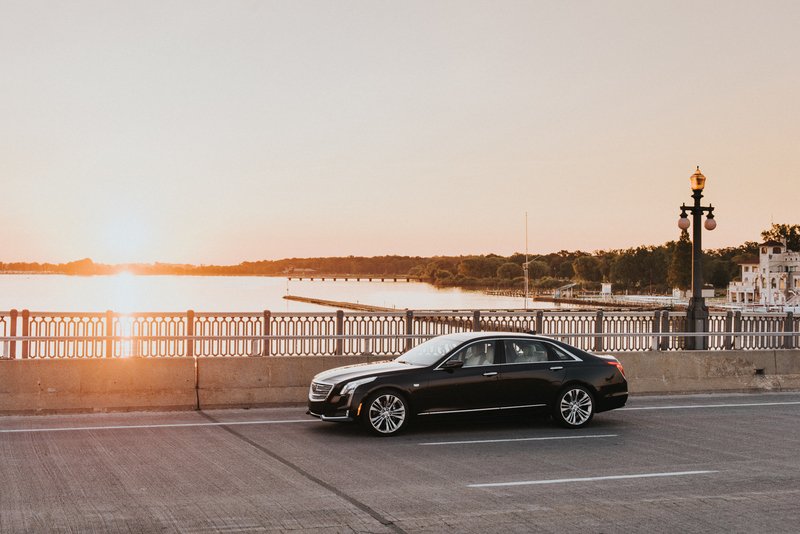 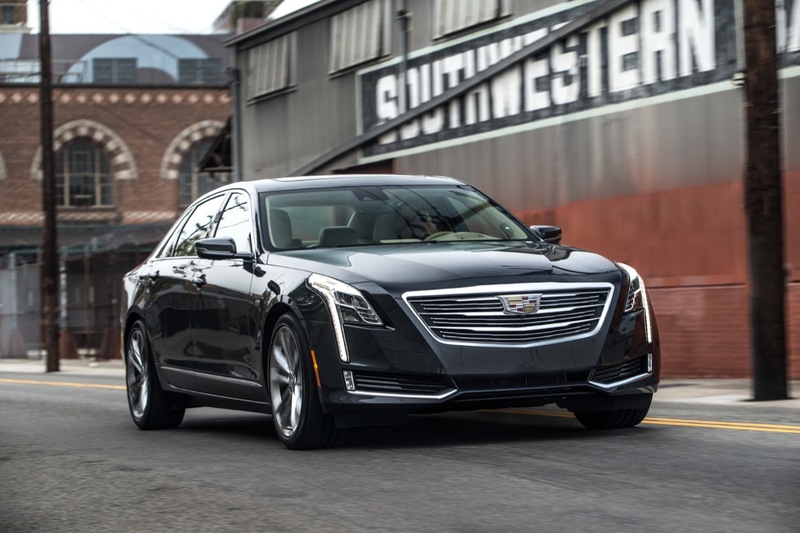 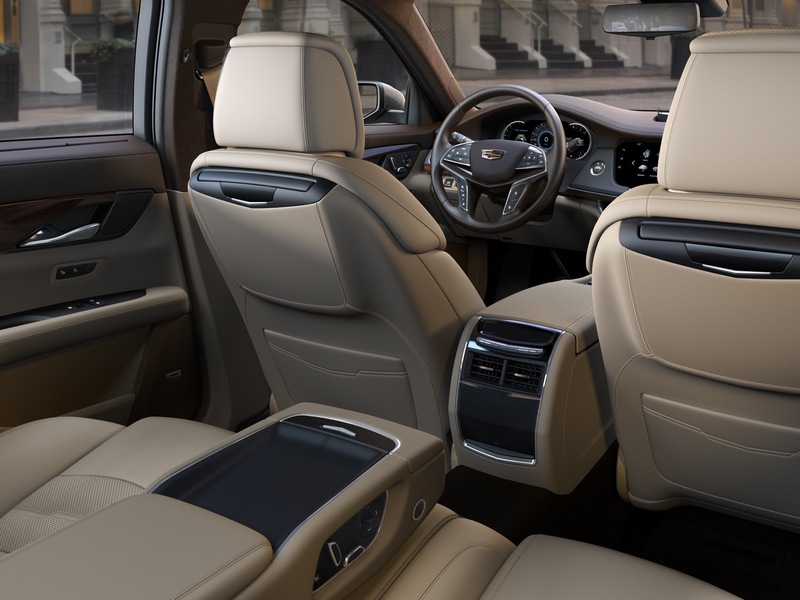 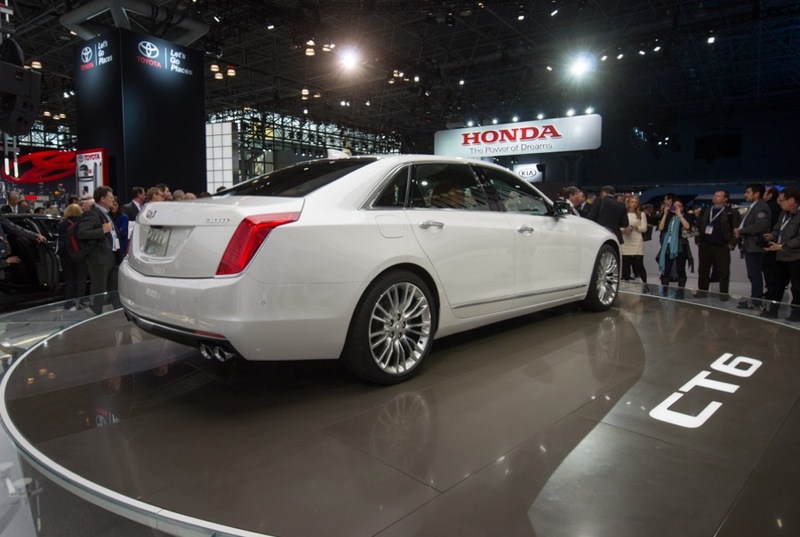 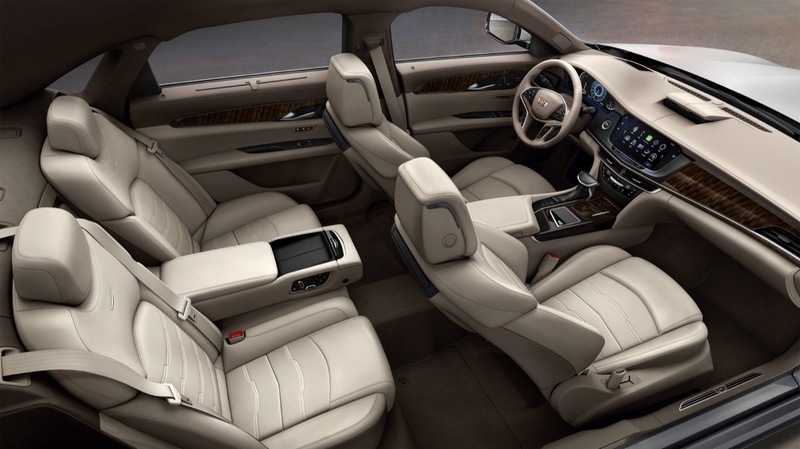 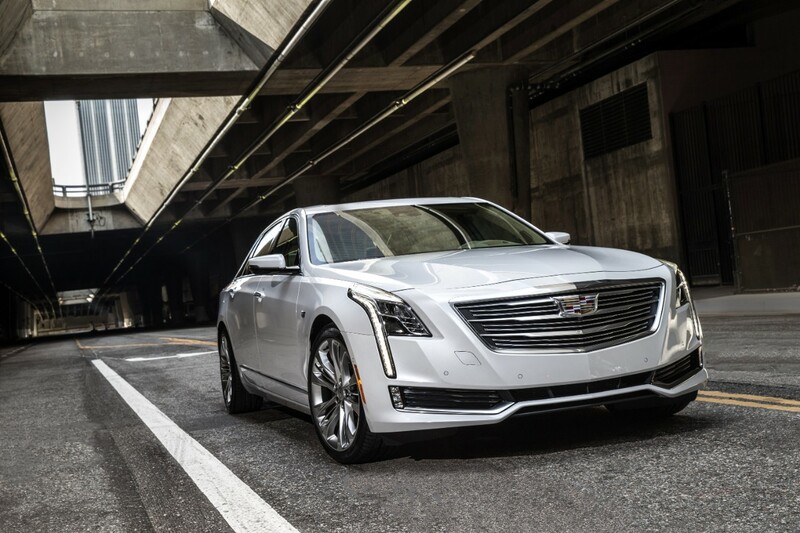 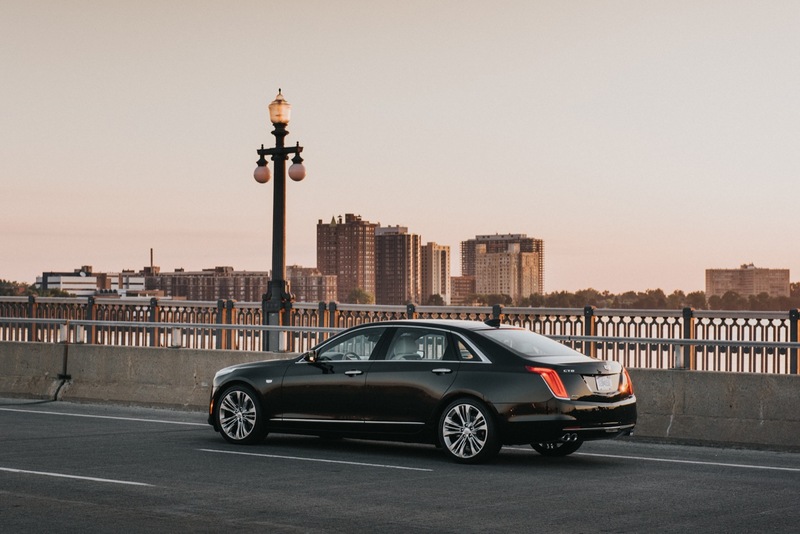 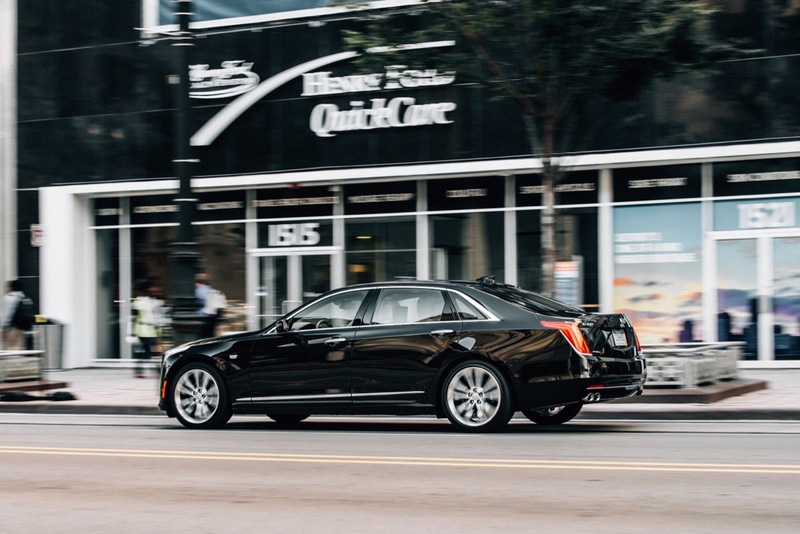 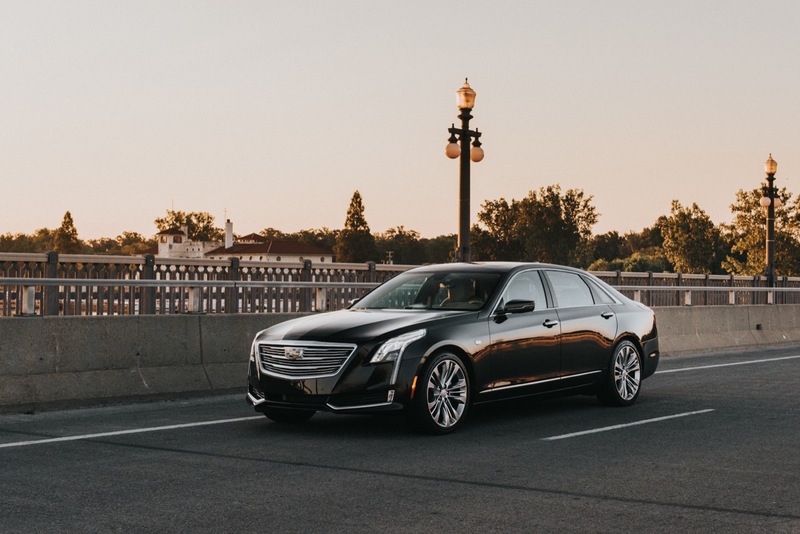 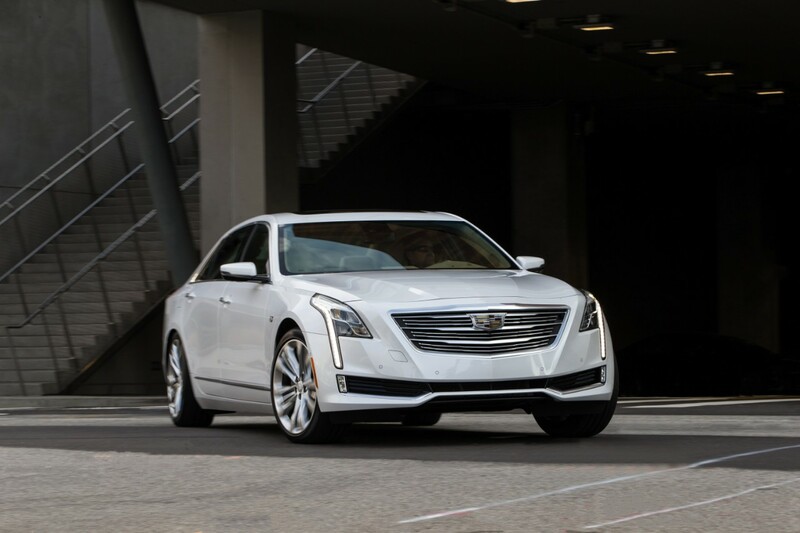 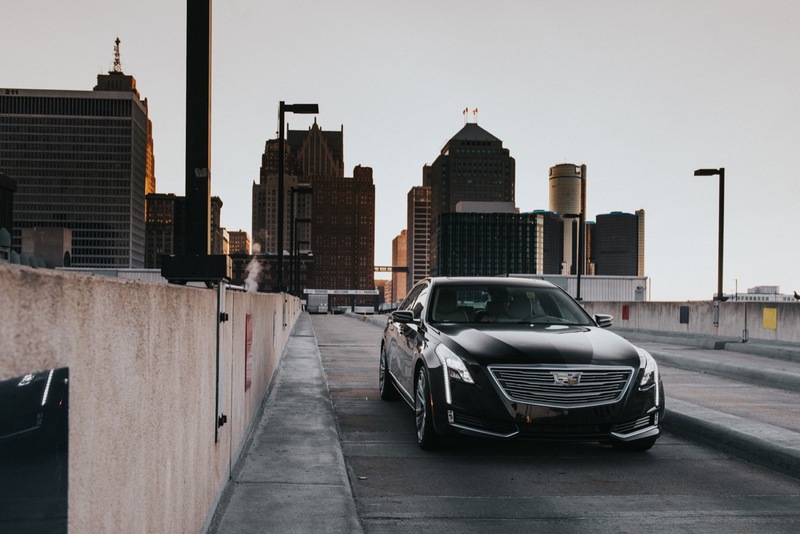 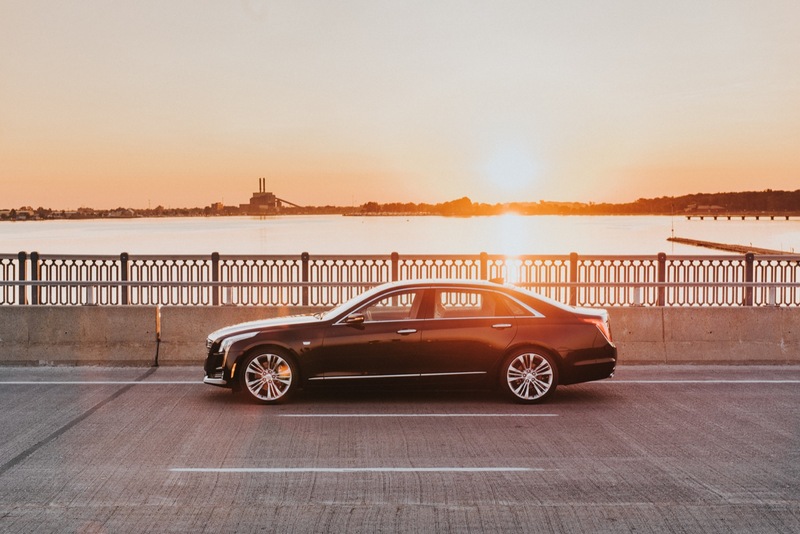 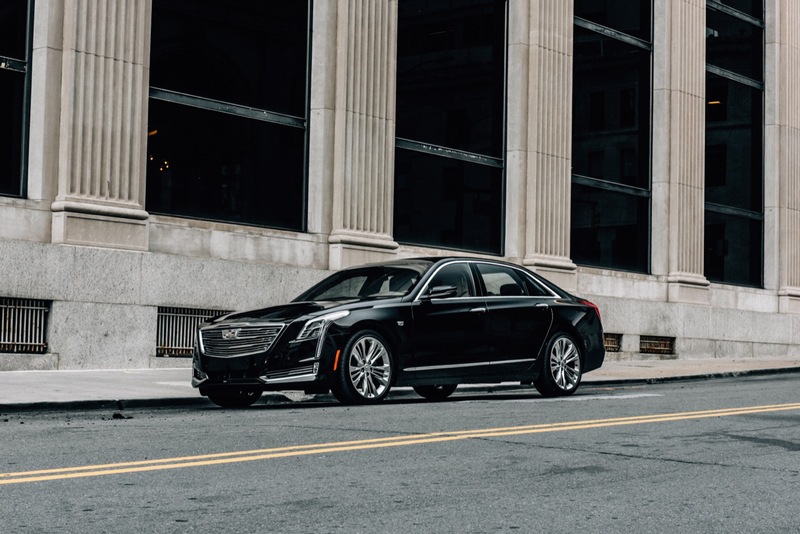 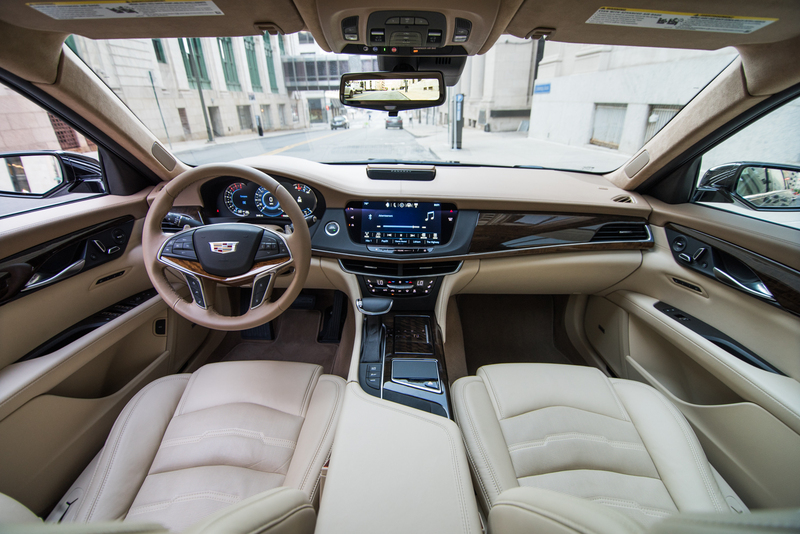 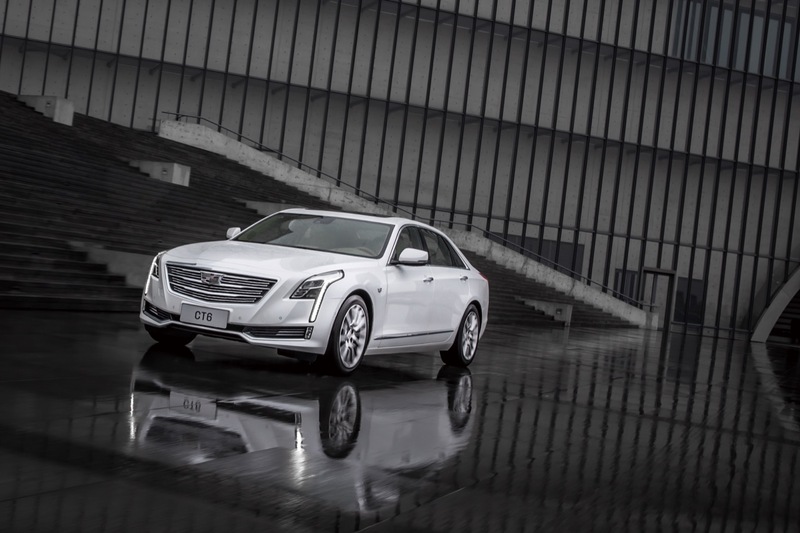 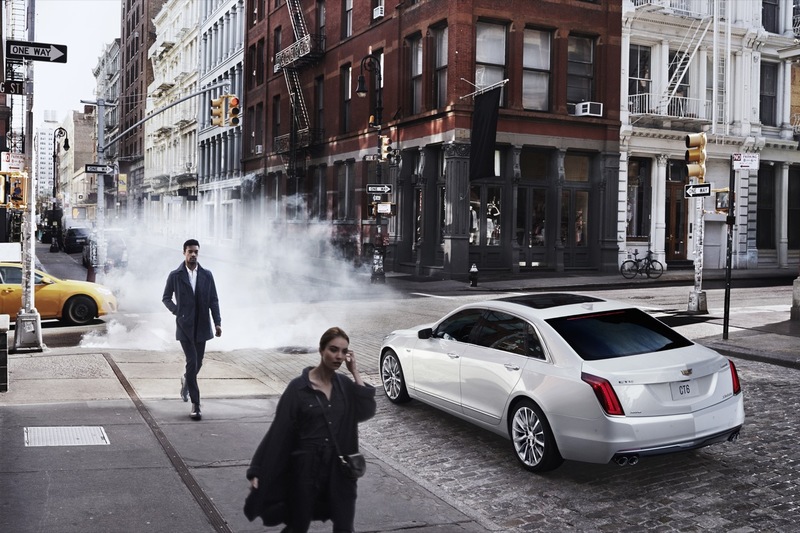 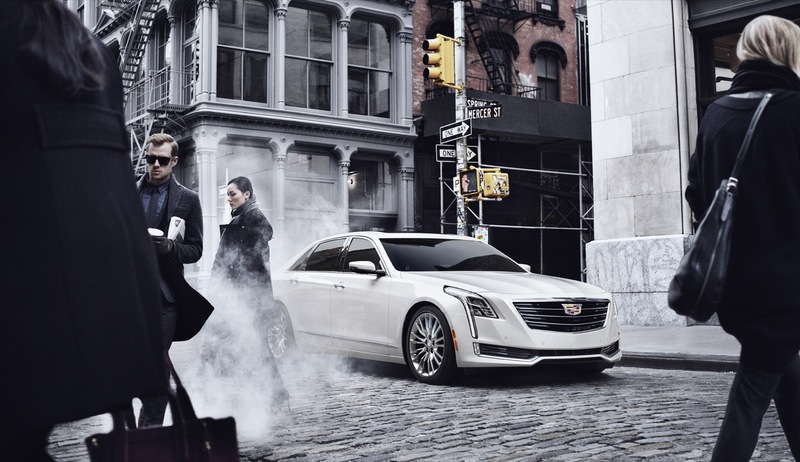 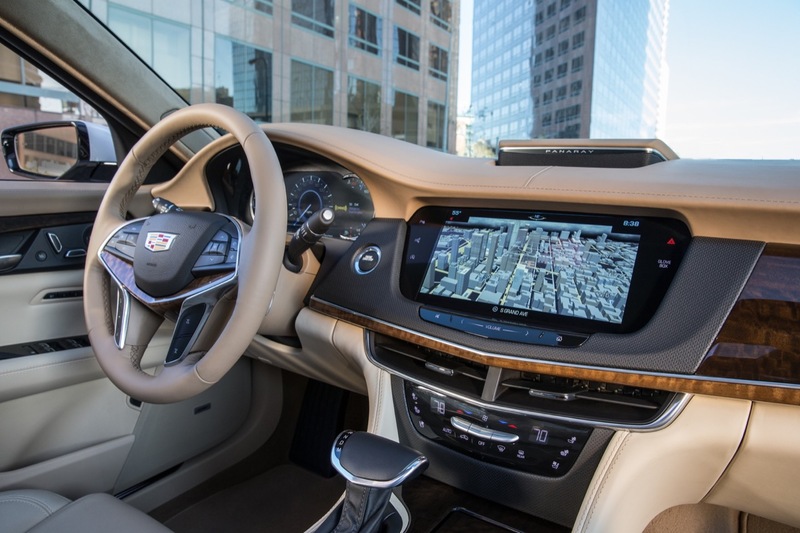 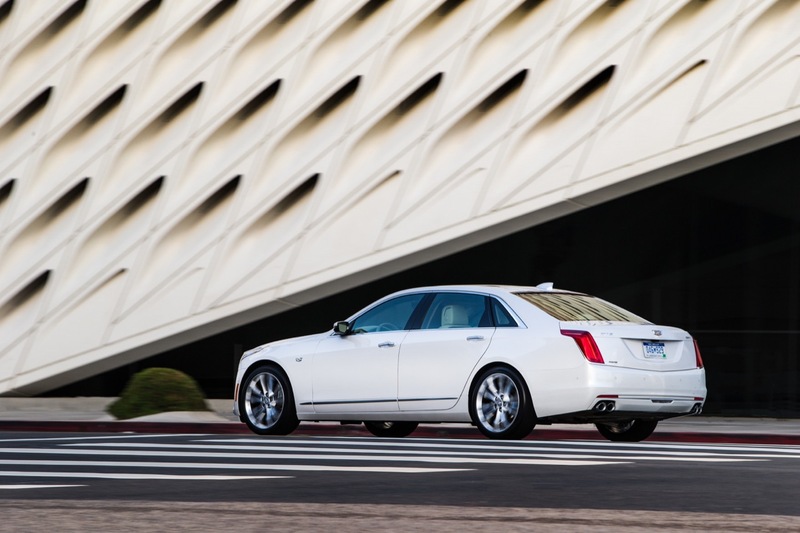 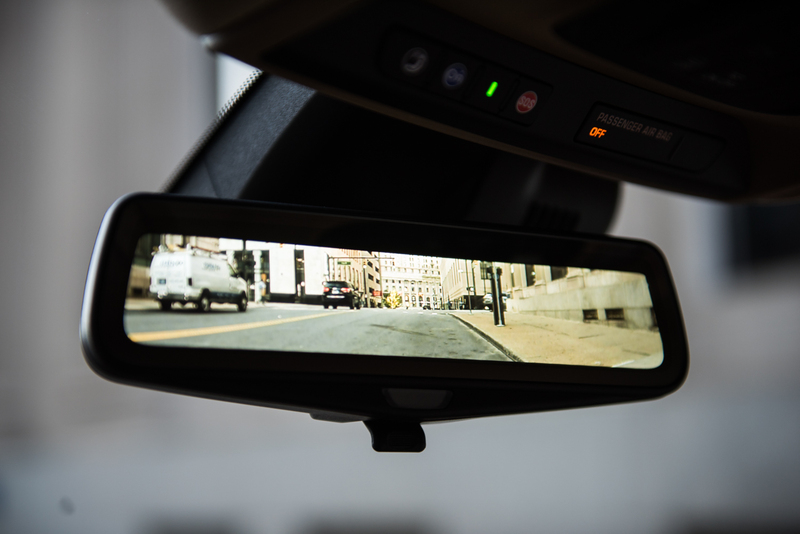 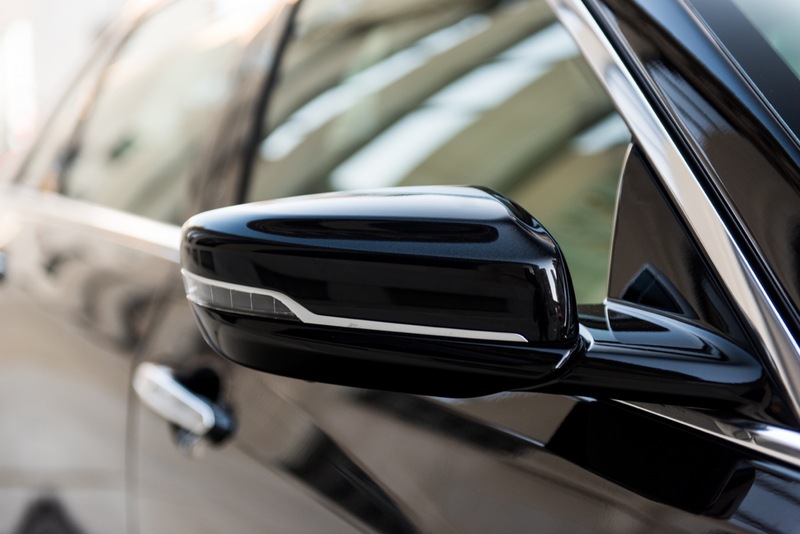 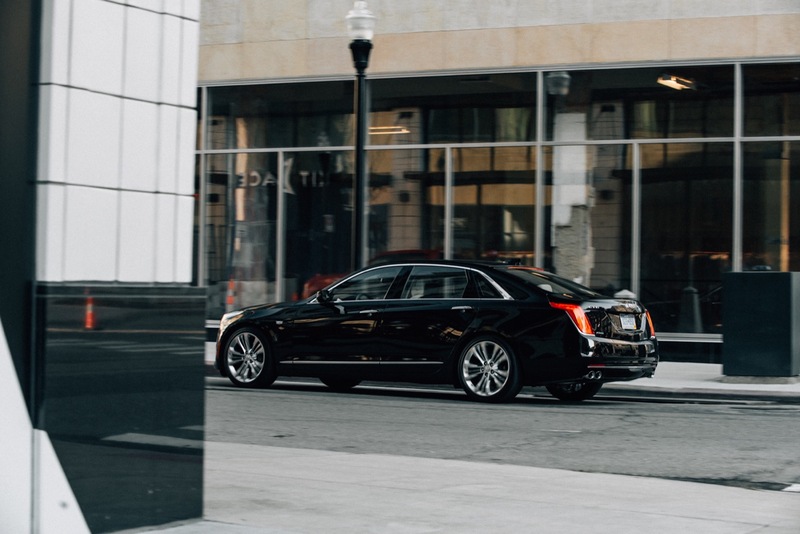 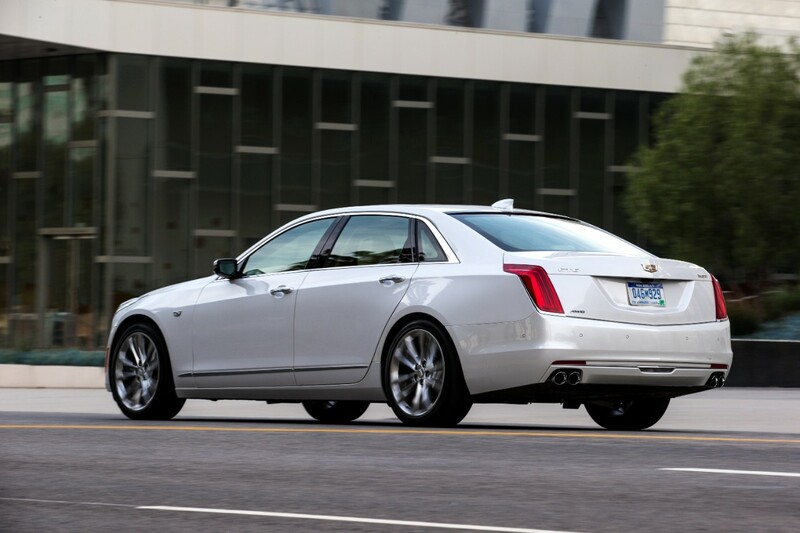 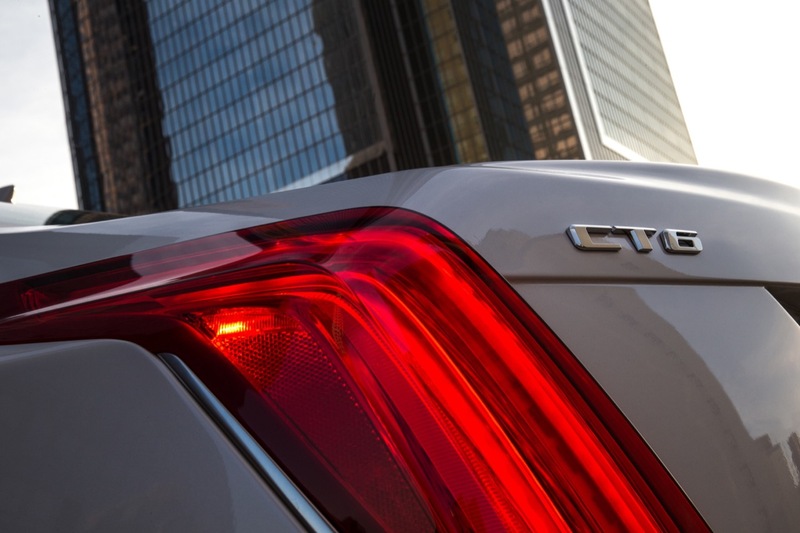 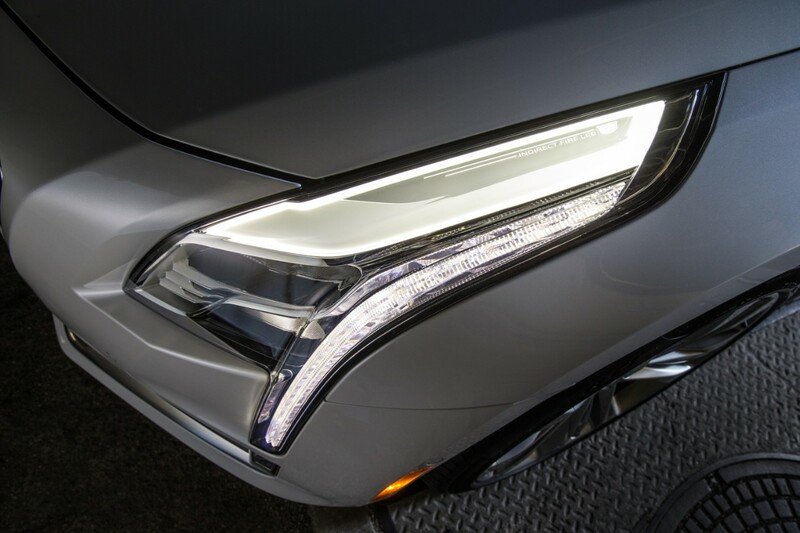 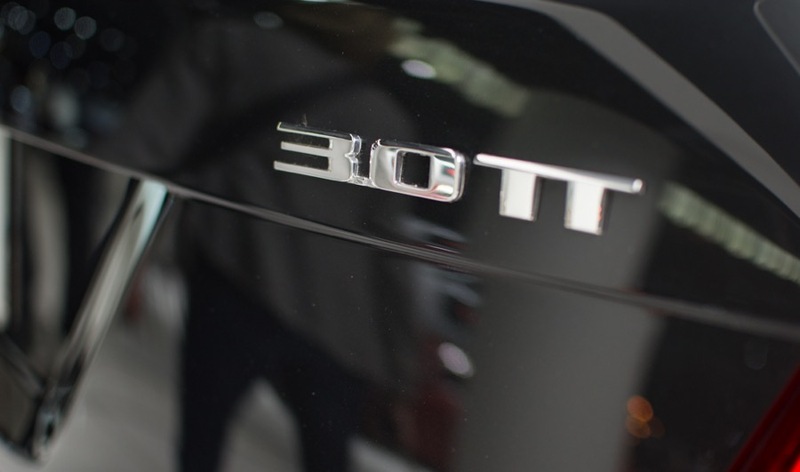 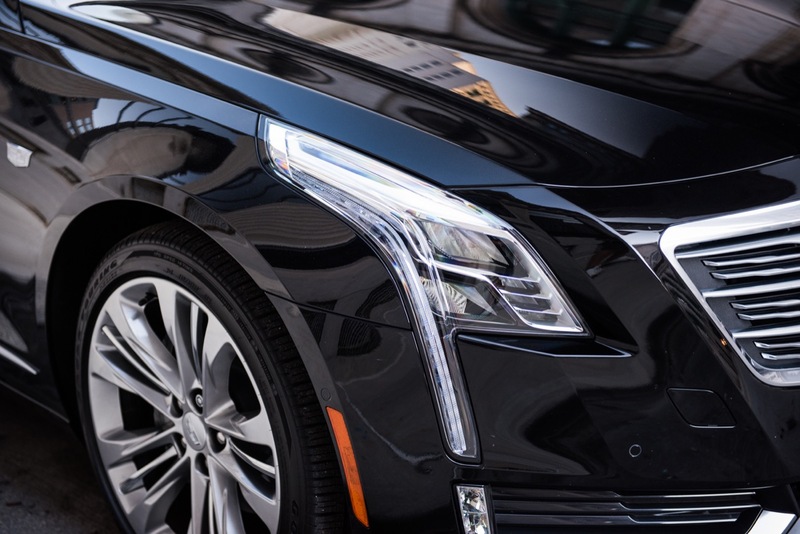 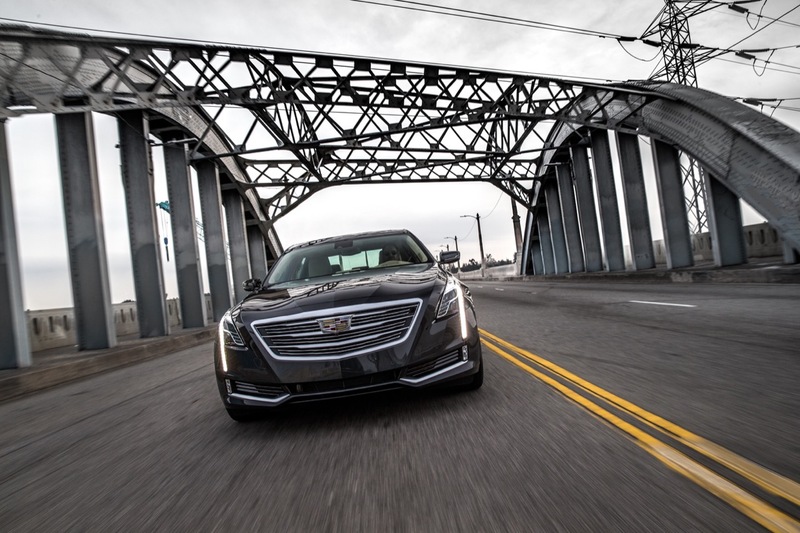 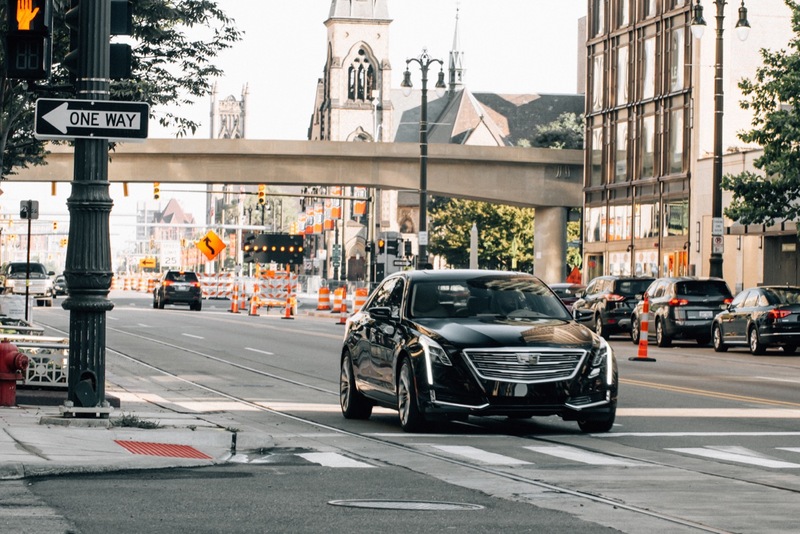 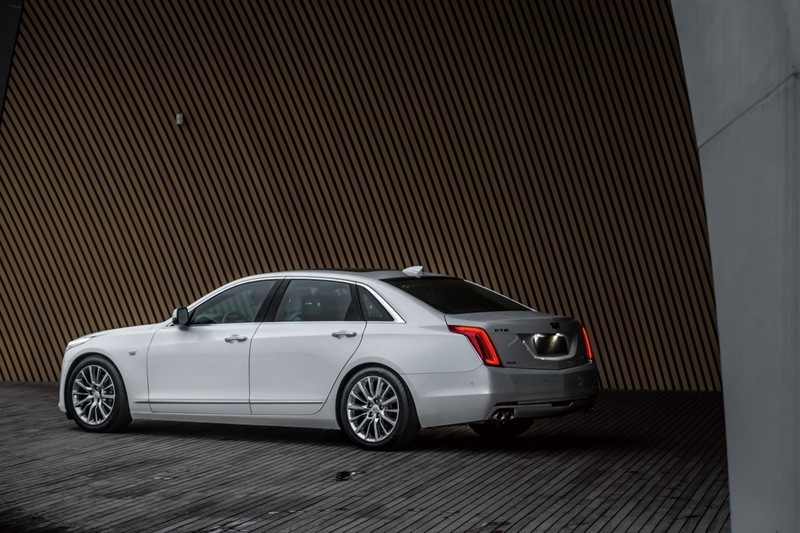 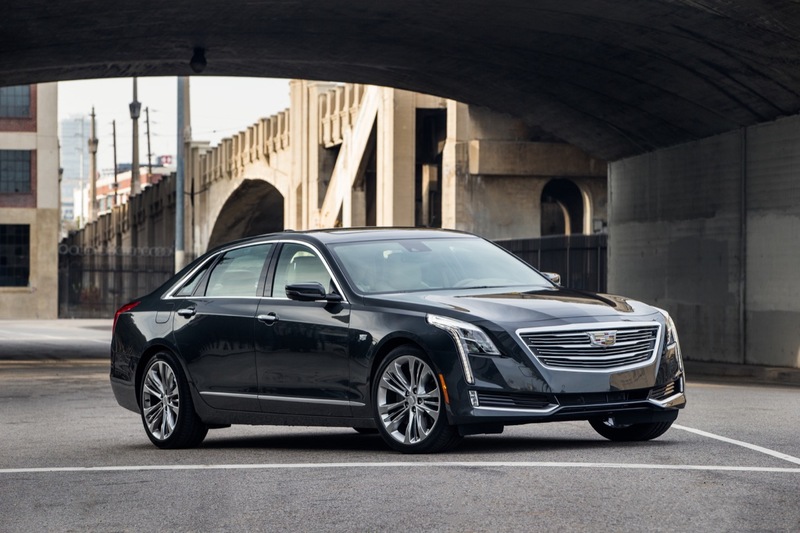 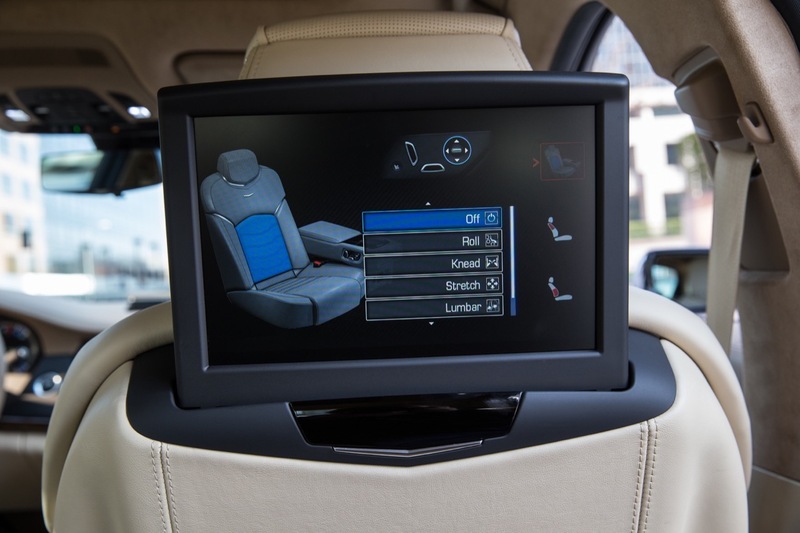 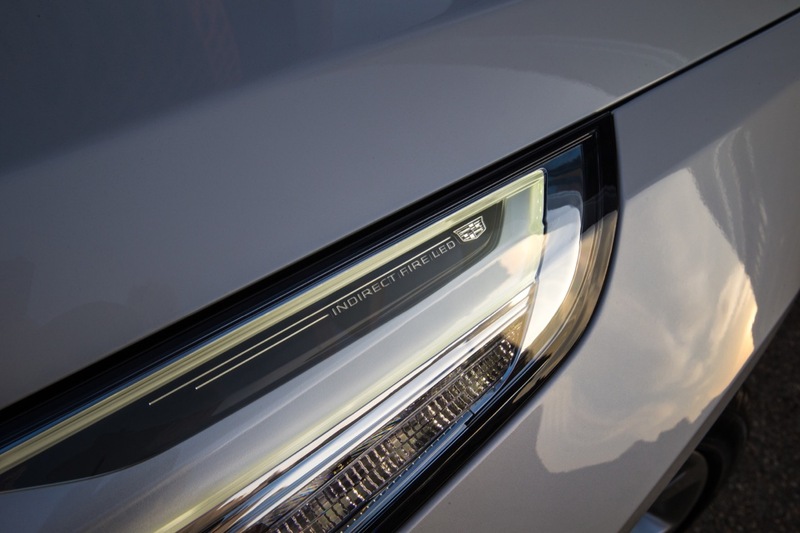 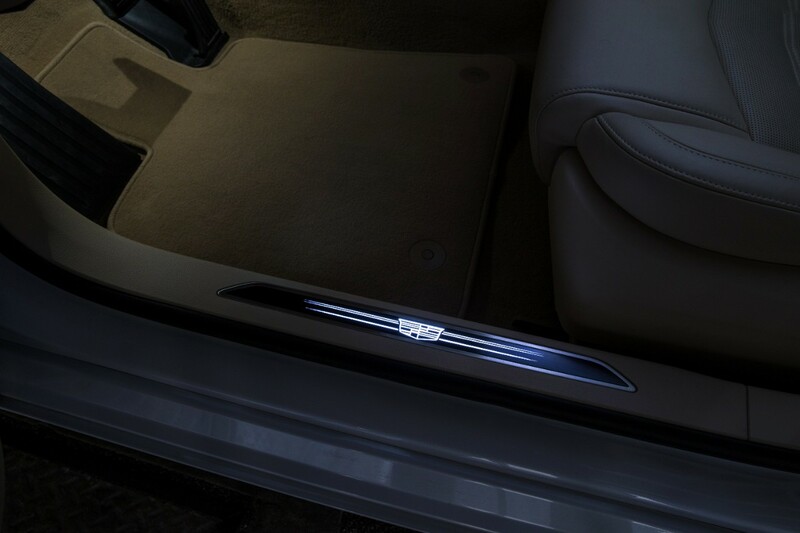 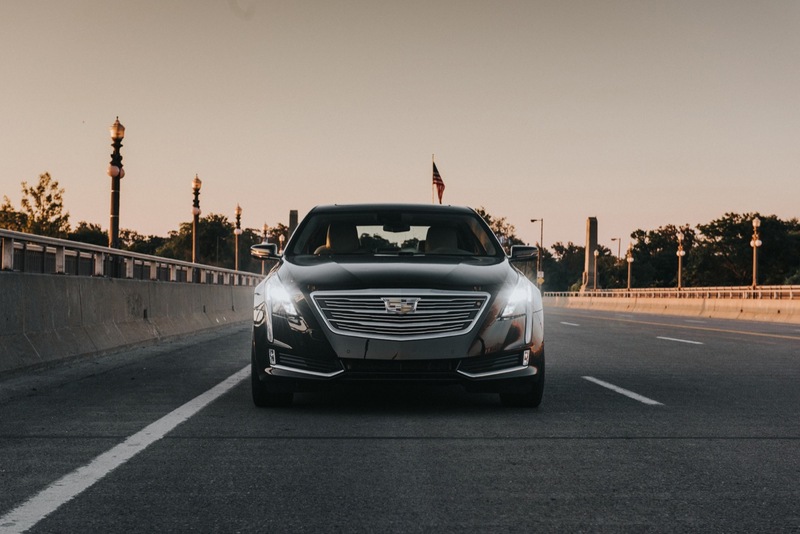 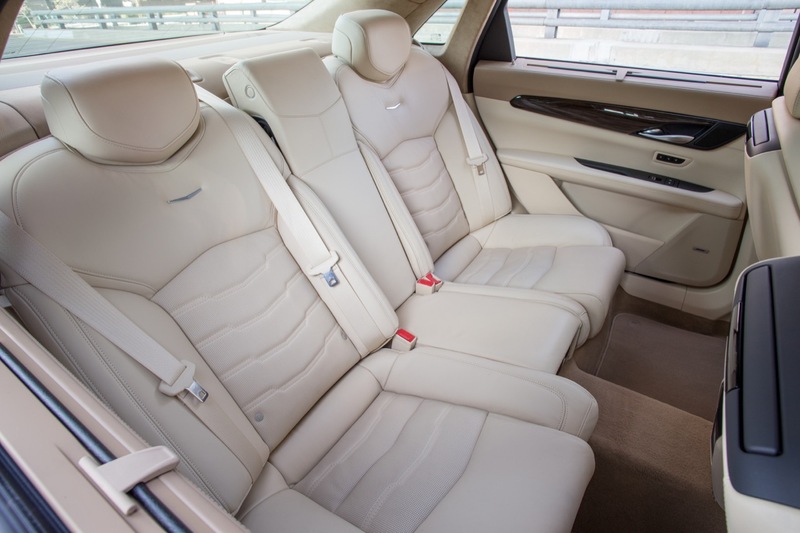 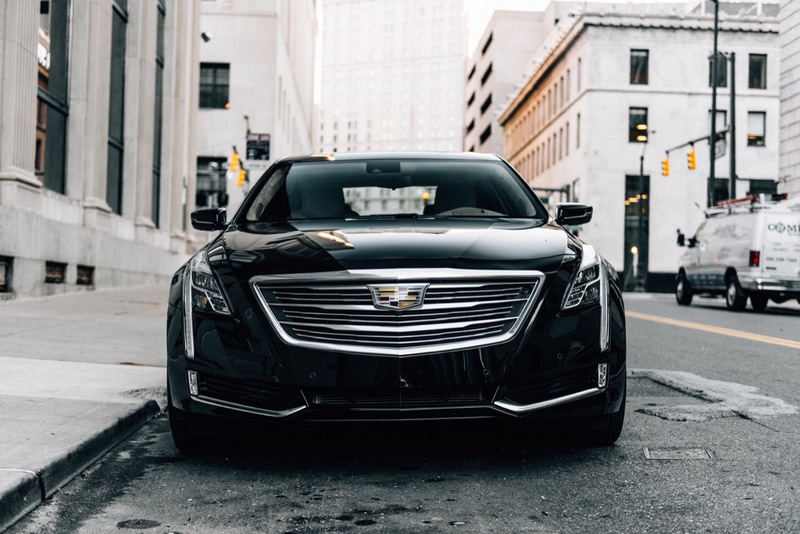 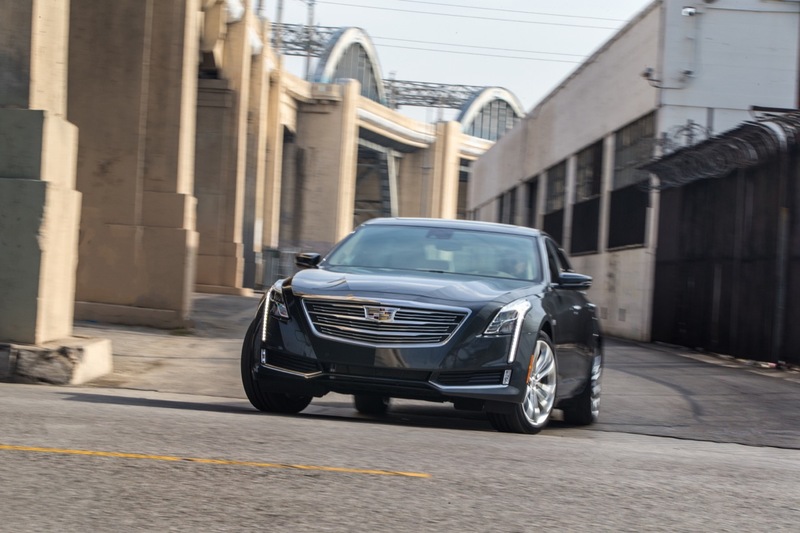 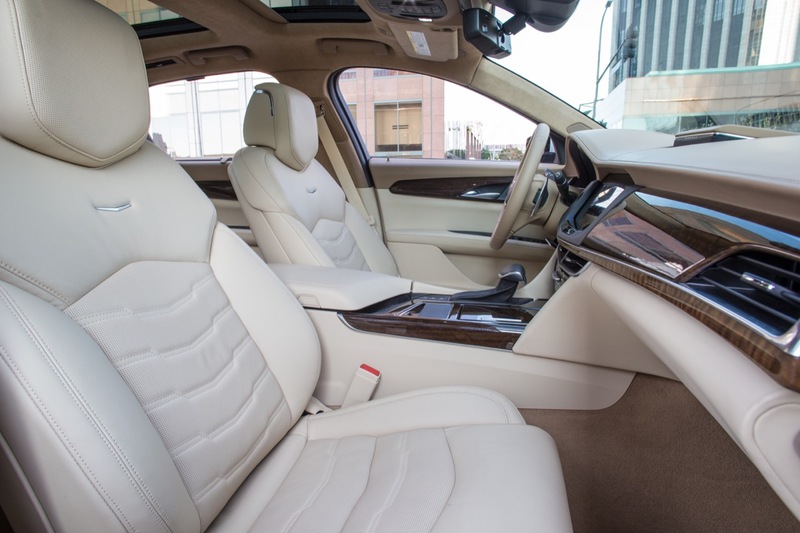 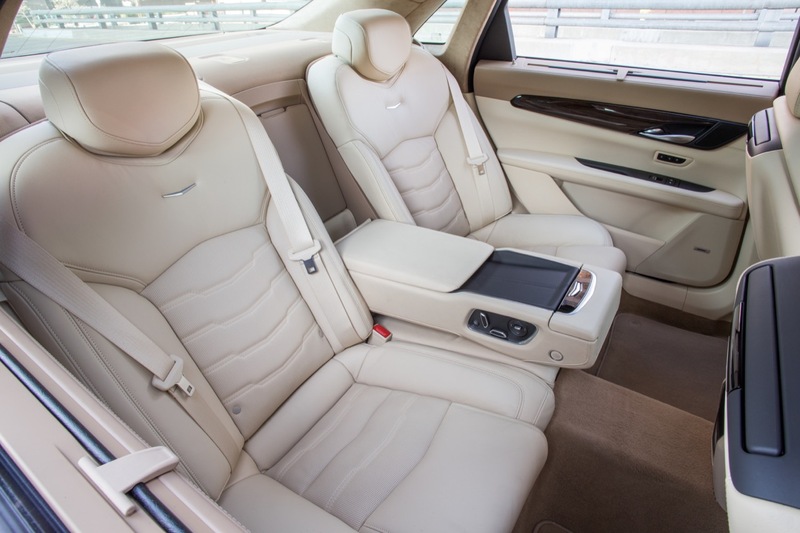 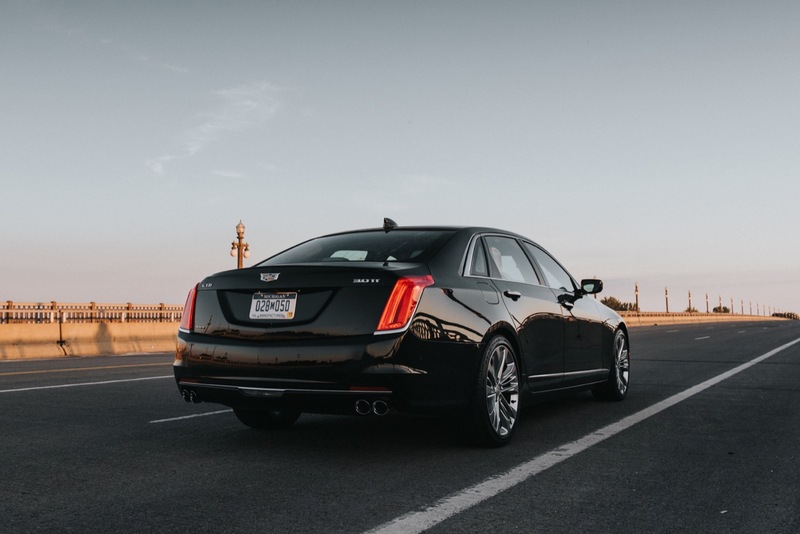 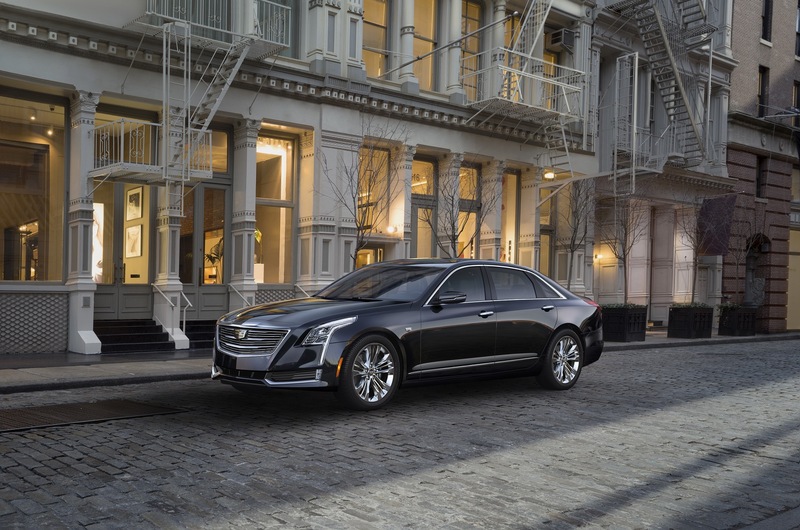 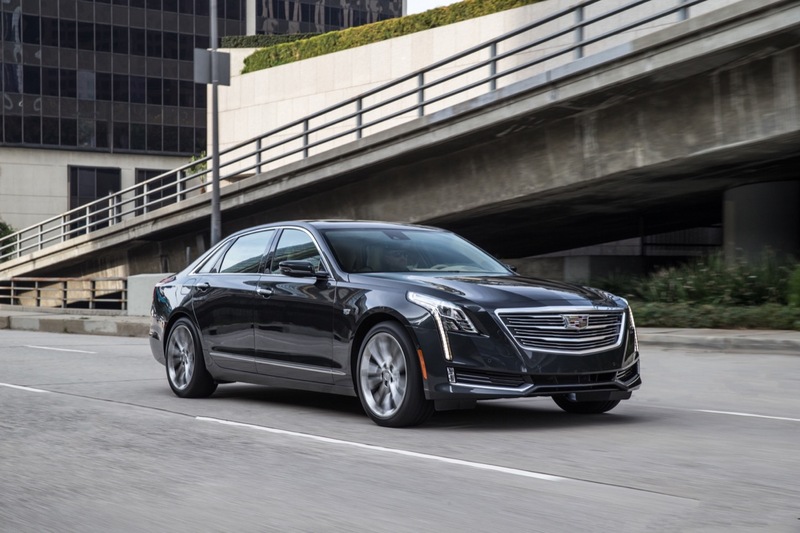 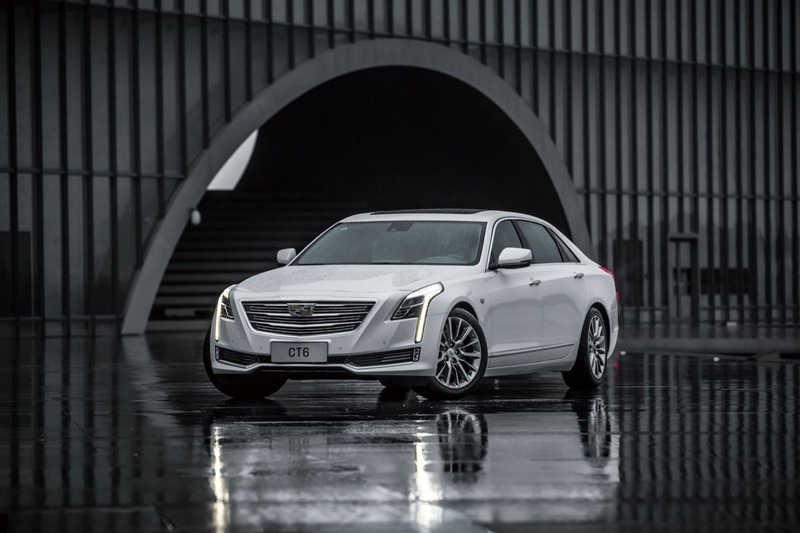 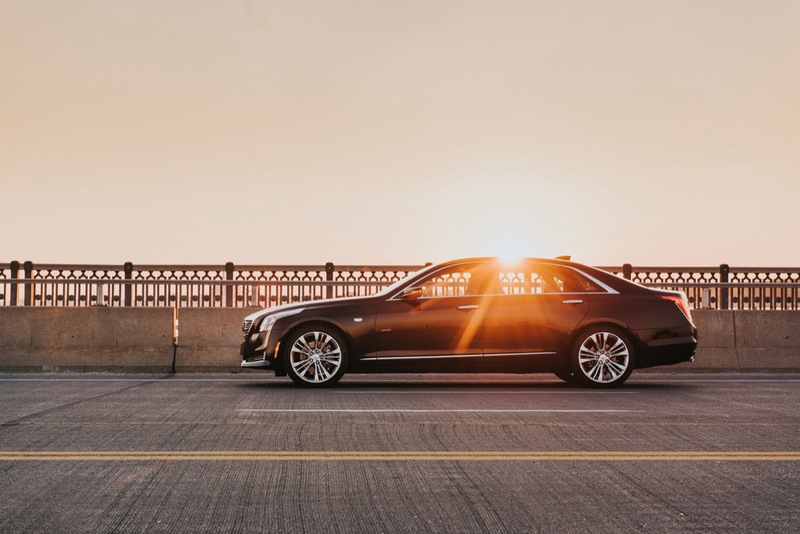 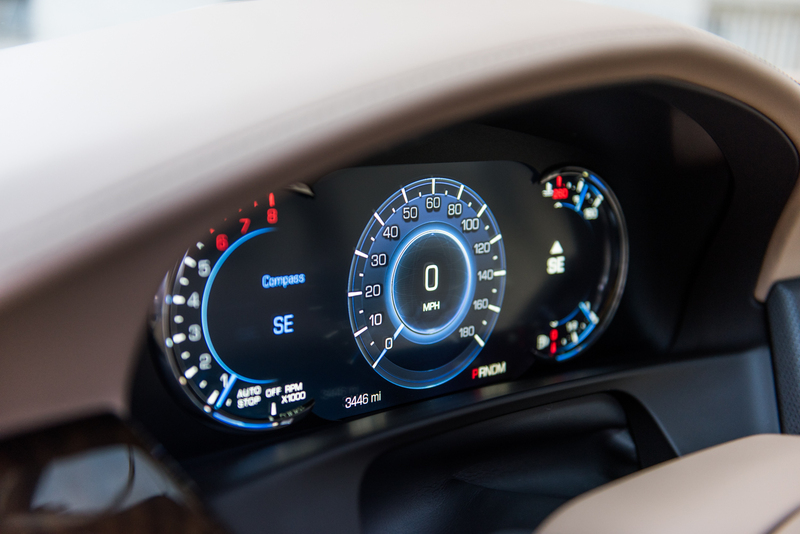 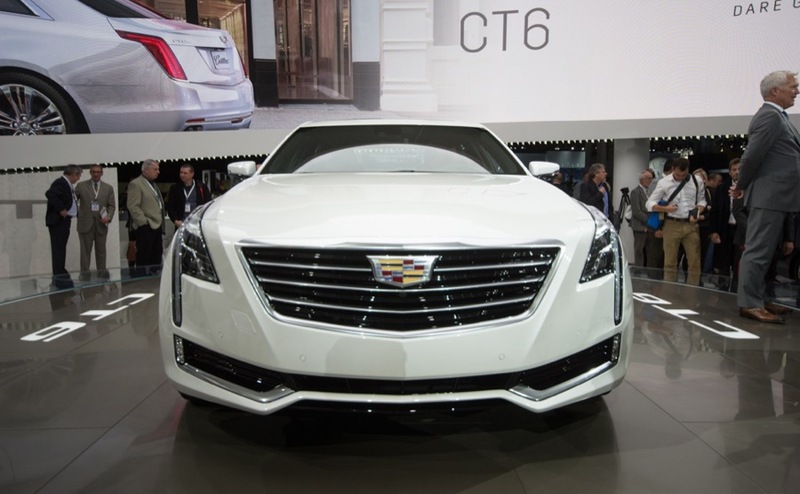 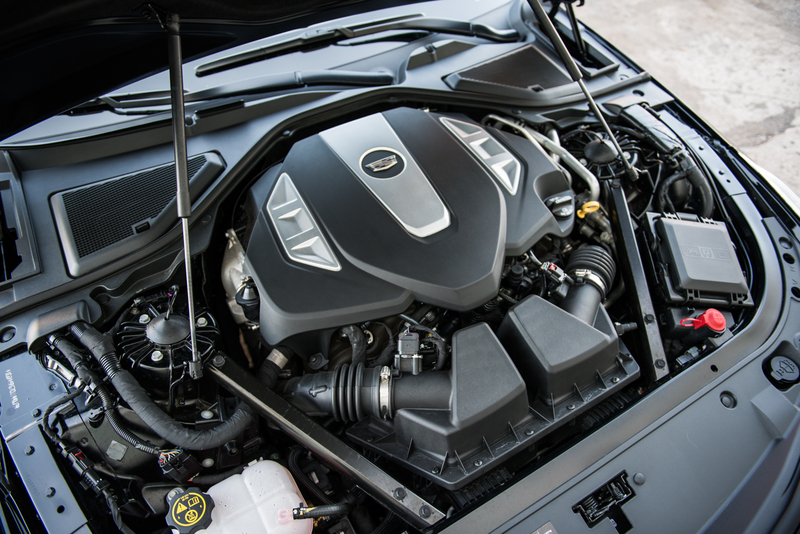 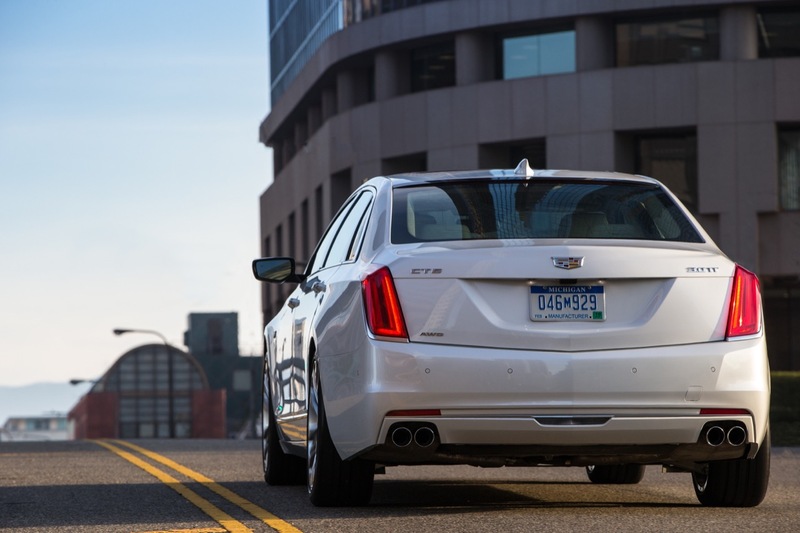 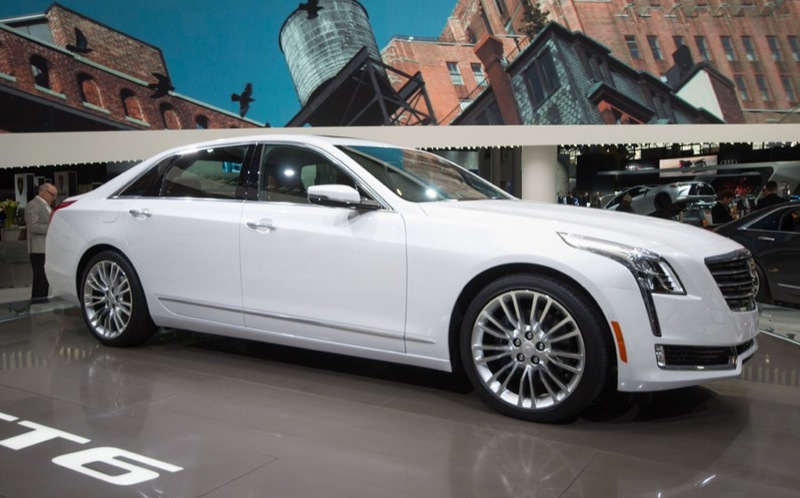 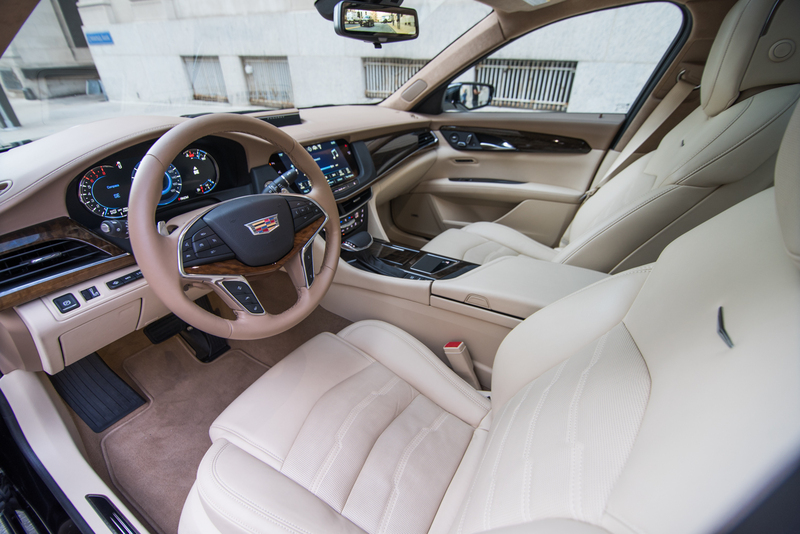 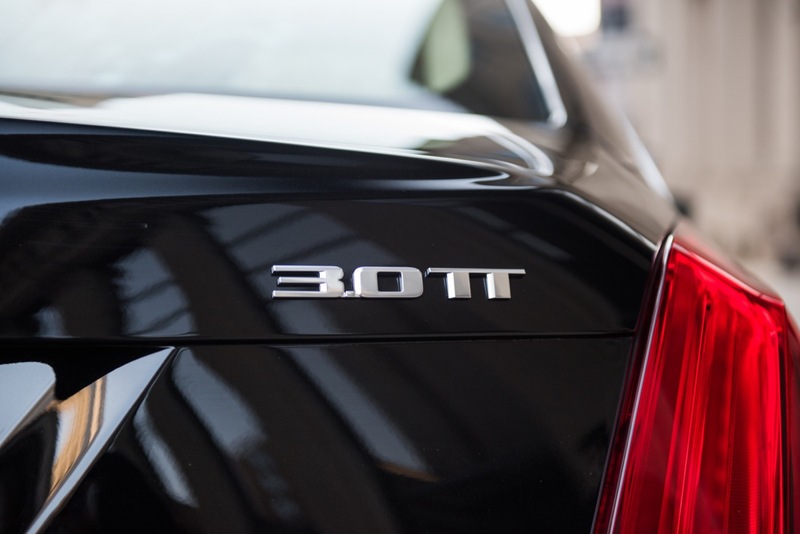 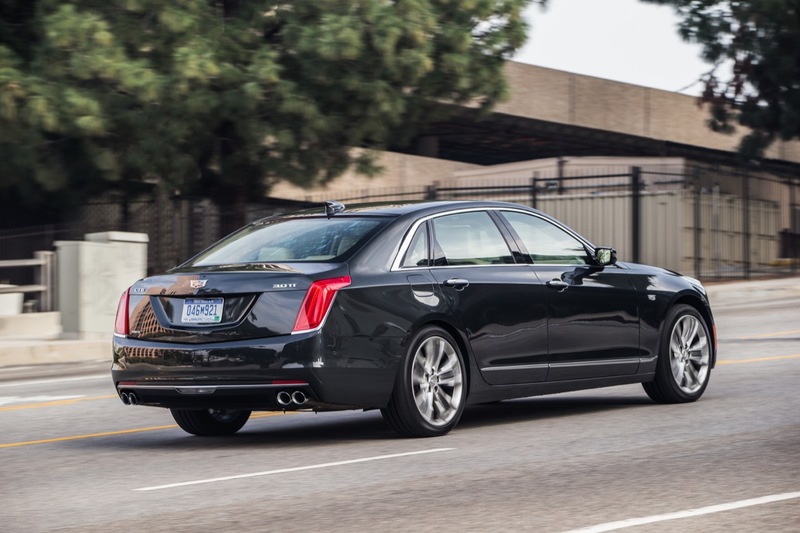 It’s important to note that the 2016 Cadillac CT6 is just the beginning of this full-size luxury vehicle program, as the Omega platform is currently being studied for four additional applications, which may be other rear-wheel drive sedans and even SUVs. 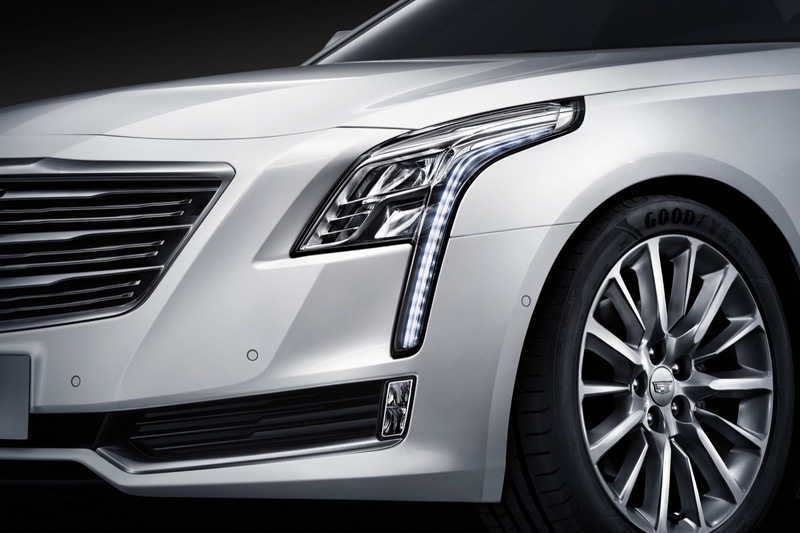 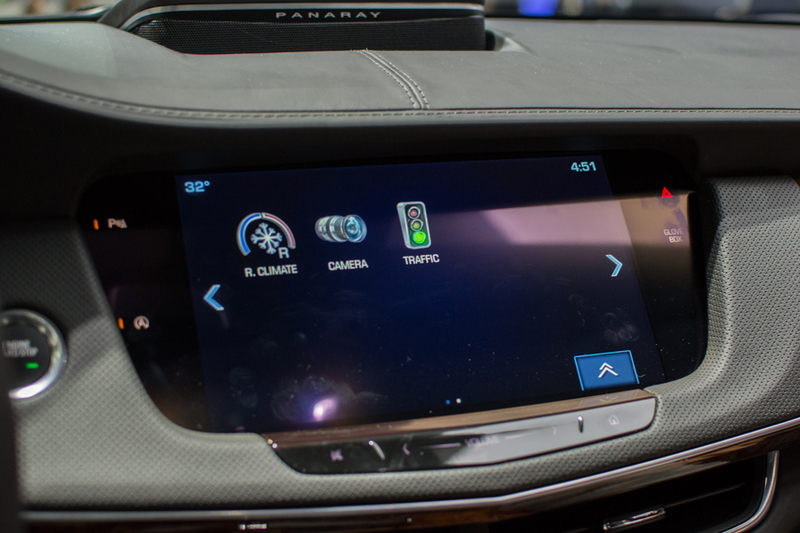 With this kind of advancement, GM would be foolish not to let this innovation trickle down to its other core brands. 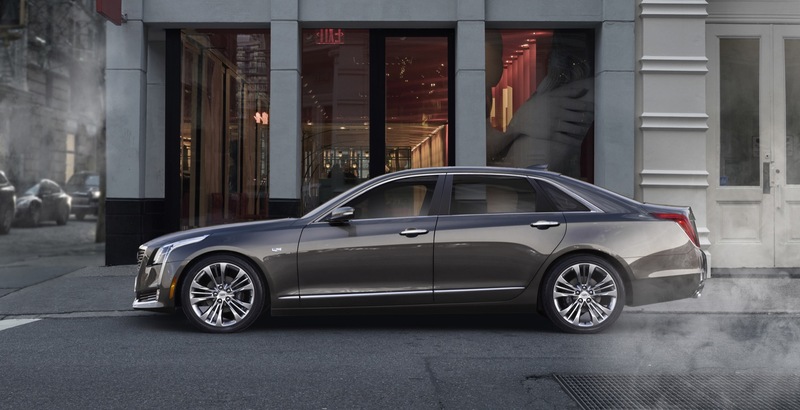 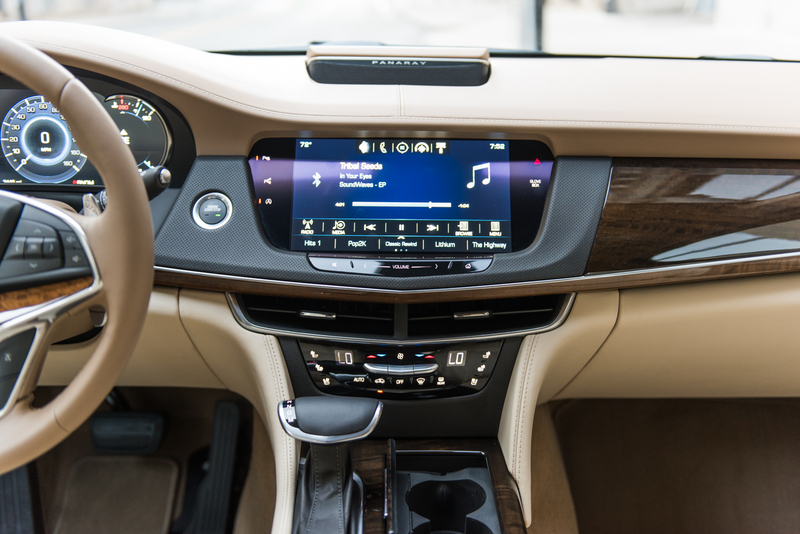 Now, build us that Buick Avenir, would you GM? 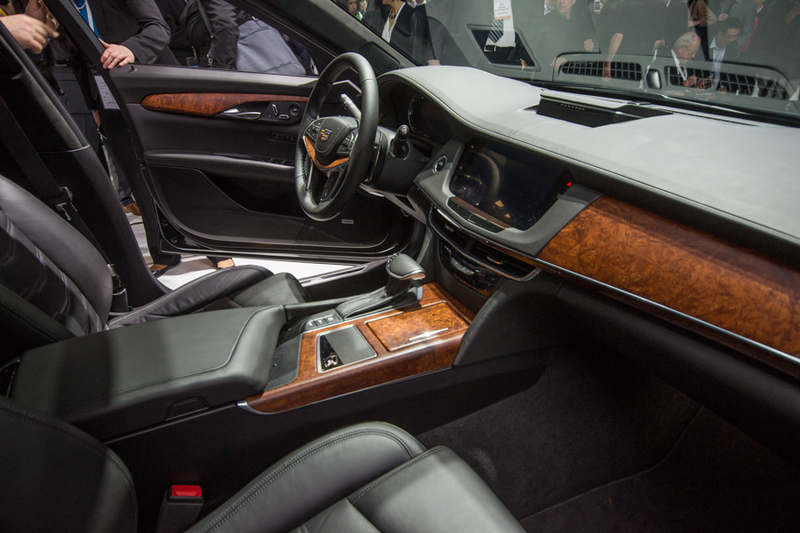 They set some pretty lofty goals with that chassis, and the mixed material production process. 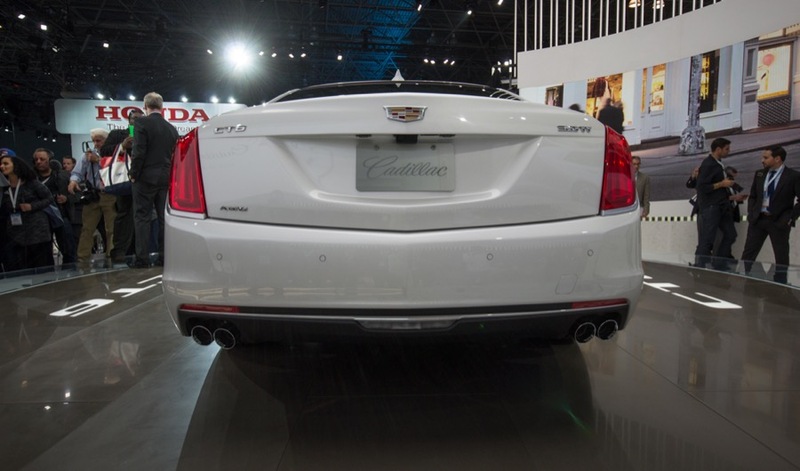 Quite impressive with the weight saving gains. 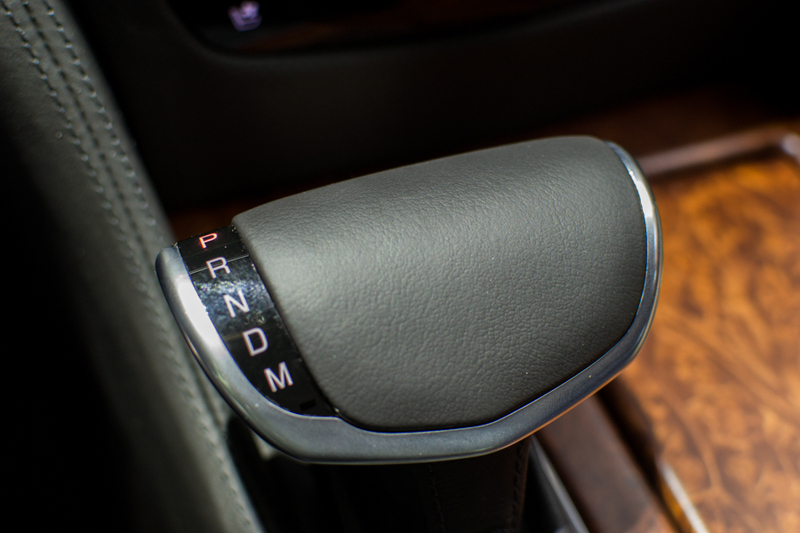 I’m anxious to read about the driving dynamics once the reviewers get their hands on production models. 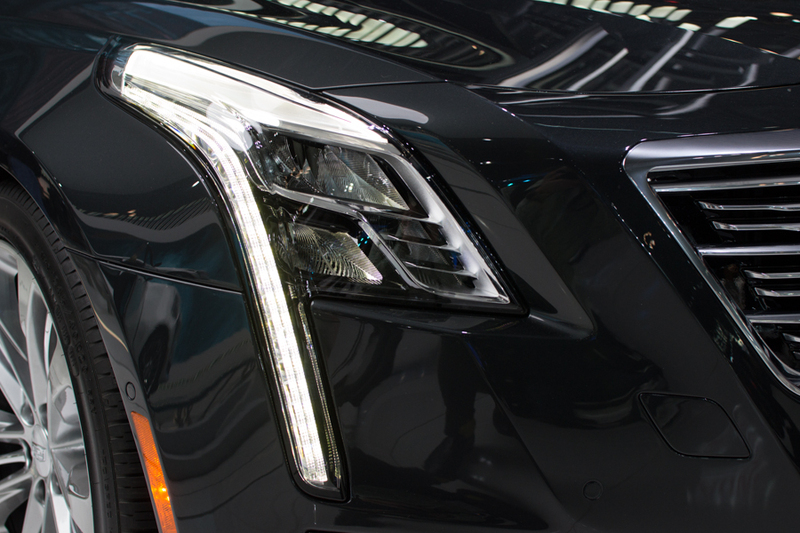 But oh, that front crest! 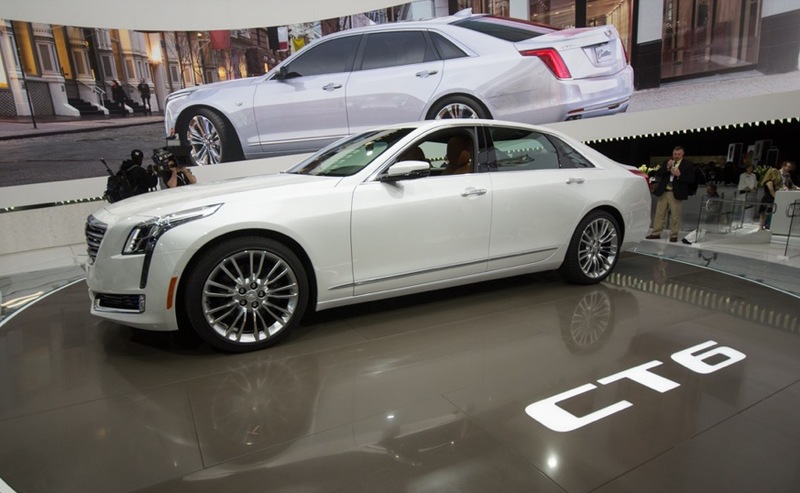 Looks like it belongs on a Roger Rabbit toonmobile. 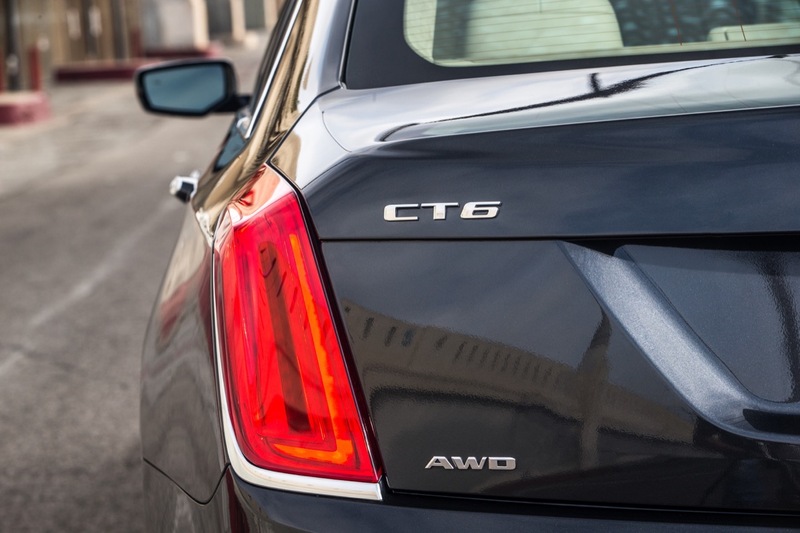 You said the right things until you made that crest comment. 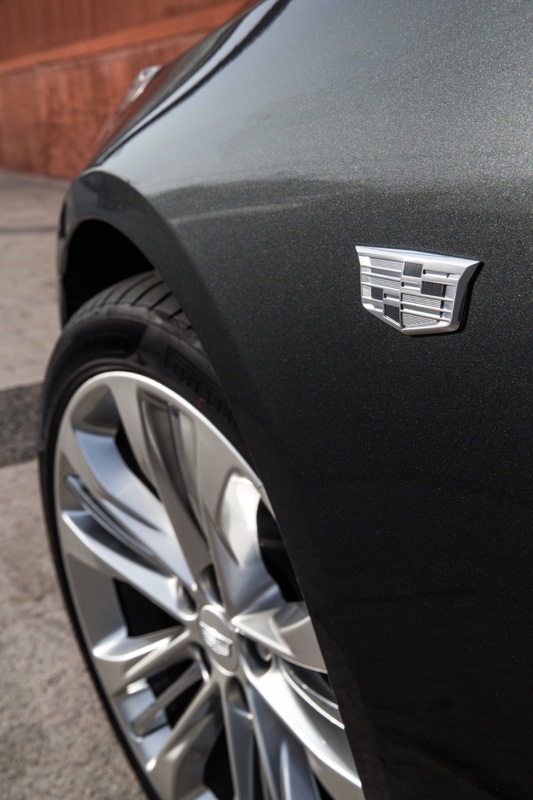 Nothing wrong with the emblem. 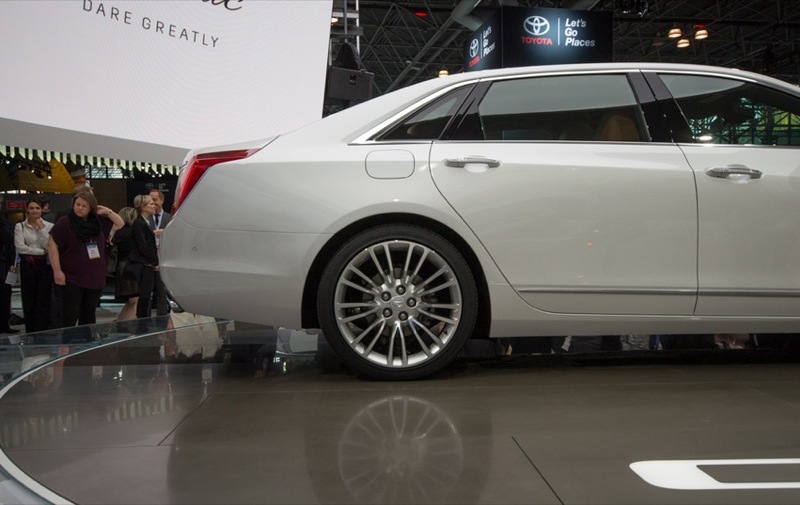 It’s proportionally too big. 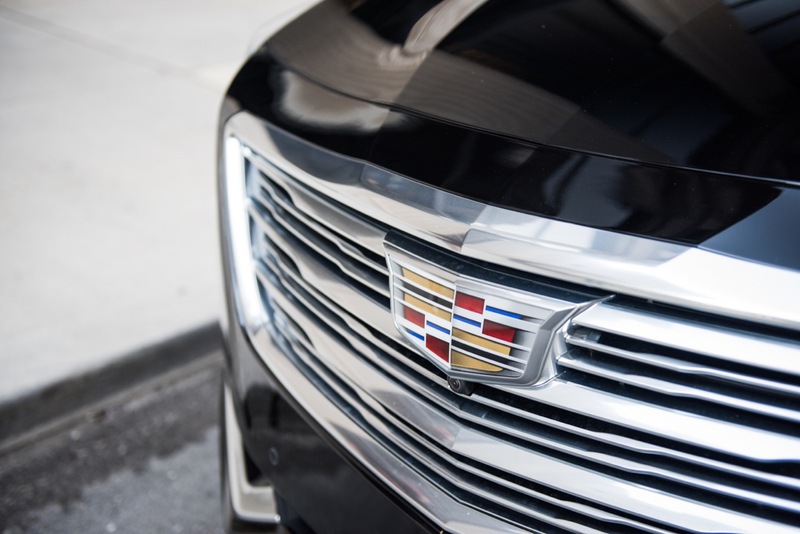 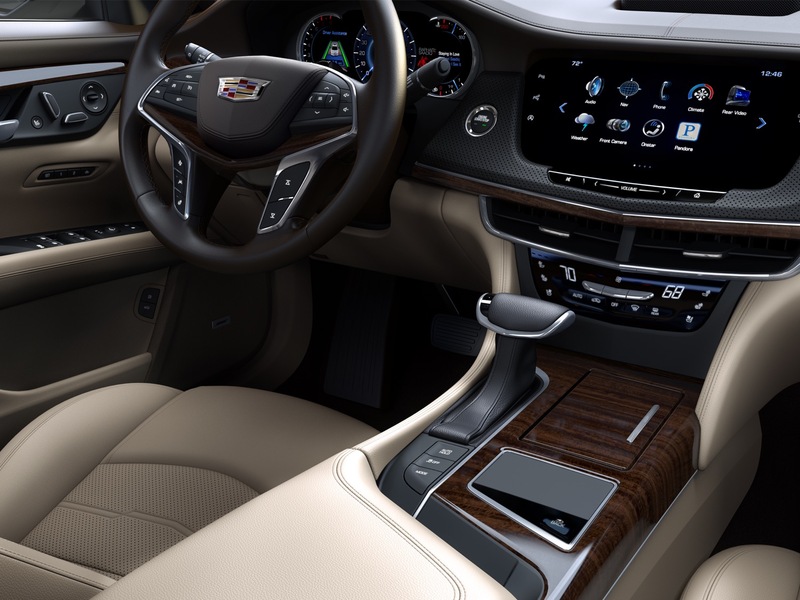 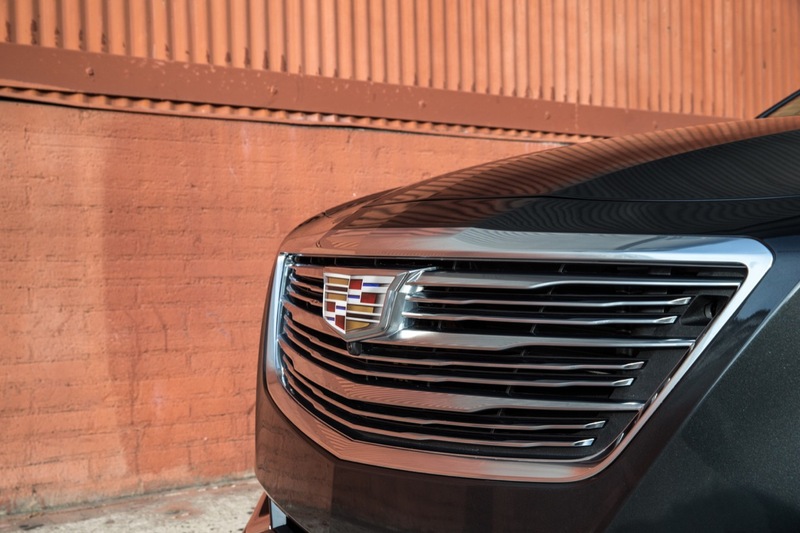 It looks ok on the Escalade’s bigger grille, but it’s not even centered on the CT6’s grille. 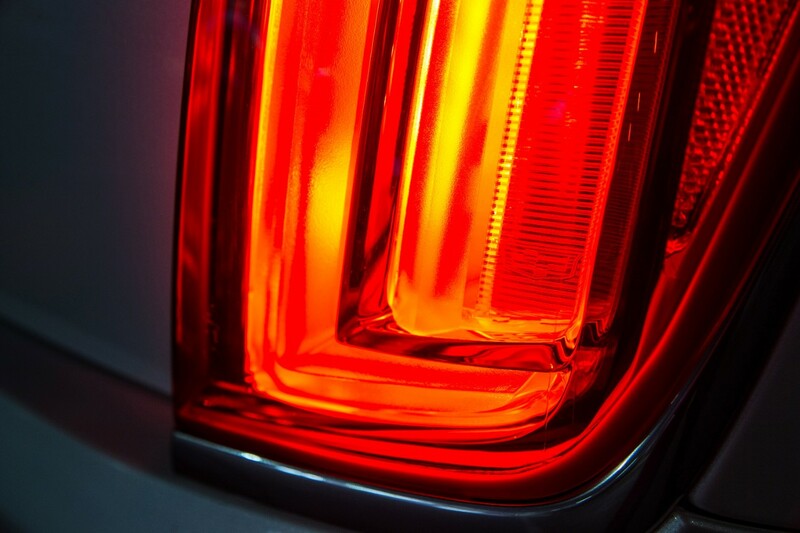 But I guess everyone’s got an opinion. 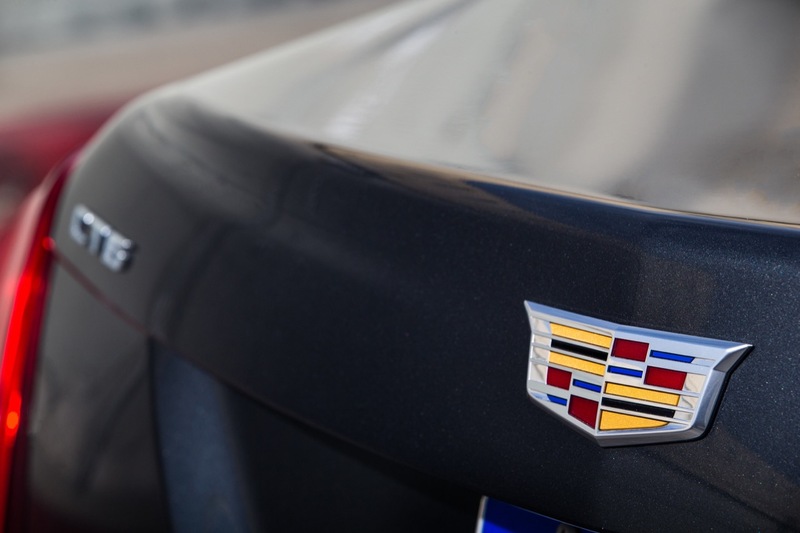 I prefer the old emblem that was surrounded by a wreath, but the emblem design won’t make or break Cadillac. 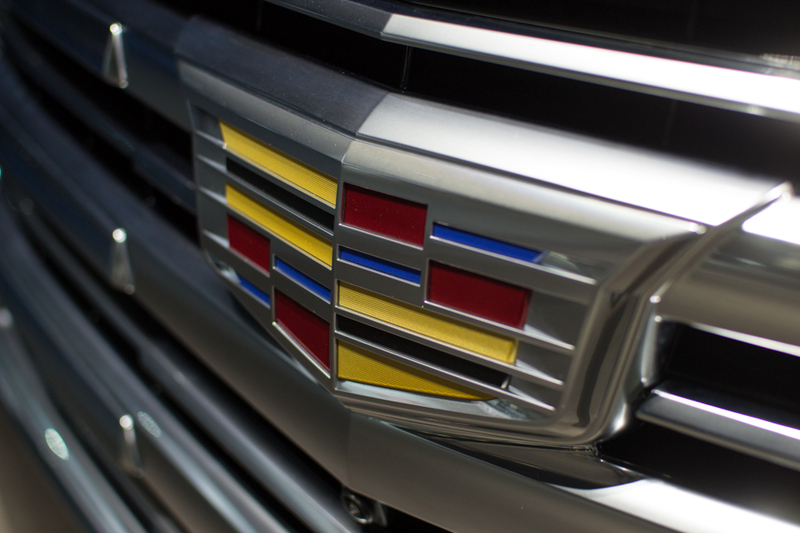 I also liked the old emblem with the chevron under it–very retro. 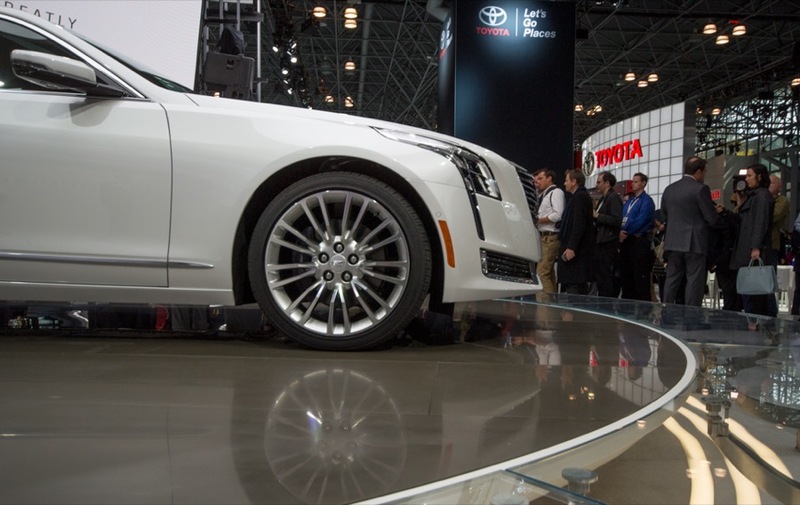 This killer platform will helps create some wonderful following cars . 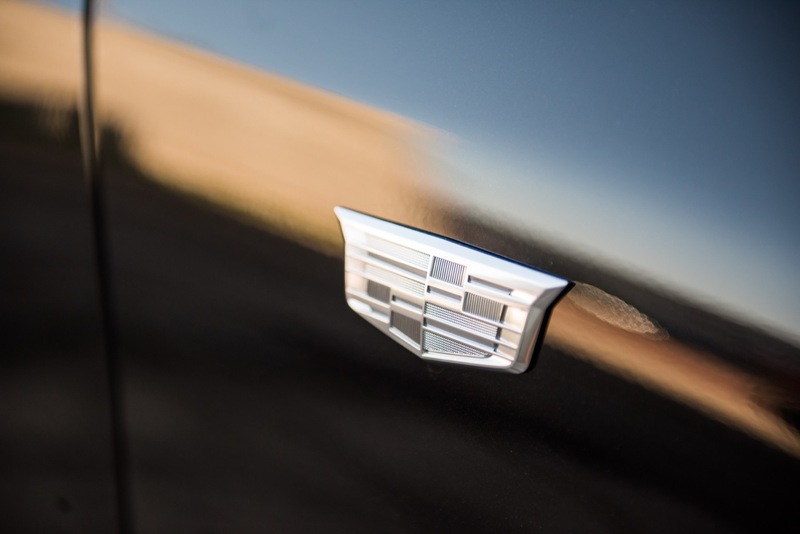 GM has put the seed, we now expect to see the trees grow.